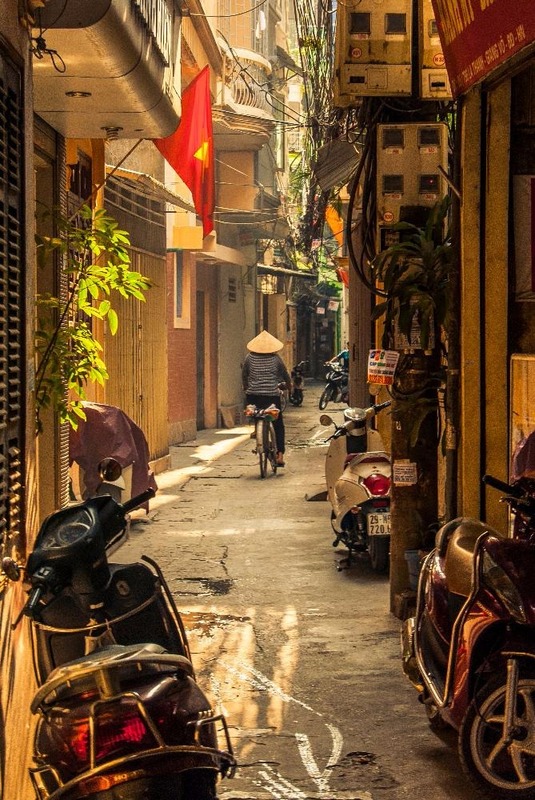 Vietnam is possibly my favourite country in South East Asia. 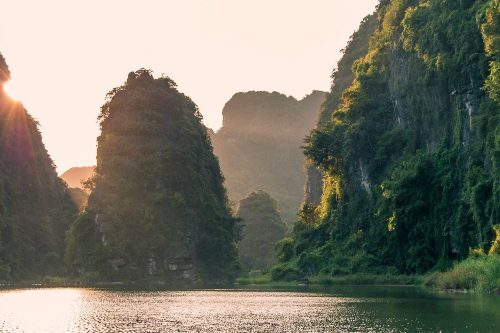 Any photographer will fall in love with the charming towns, dramatic mountains, remote valleys, stunning beaches, unique limestone formations, massive sand dunes, chaotic cities, and so on. I traveled through the country from south to north for four weeks between November and December 2016. 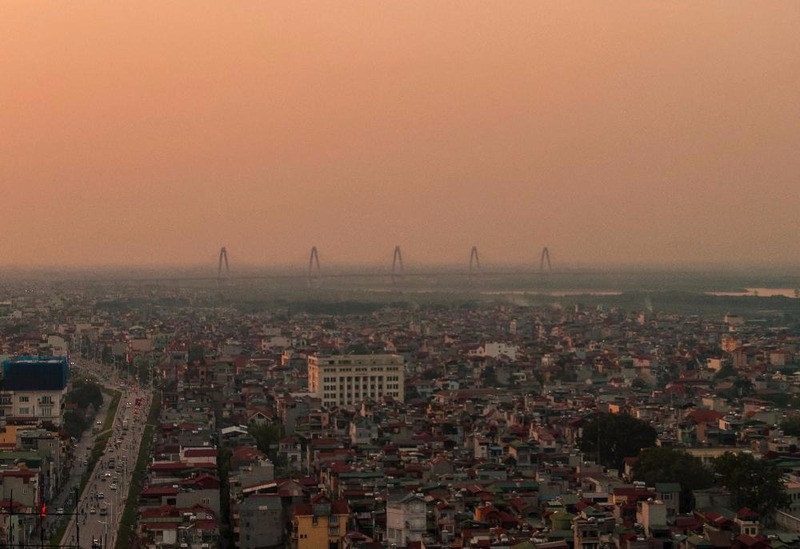 At the end of the trip, I chose to stay in Hanoi for a while, working as an english teacher and getting to experience how life is when you’re surrounded by all this beauty, as well as some of the nicest people I’ve ever met in my life. 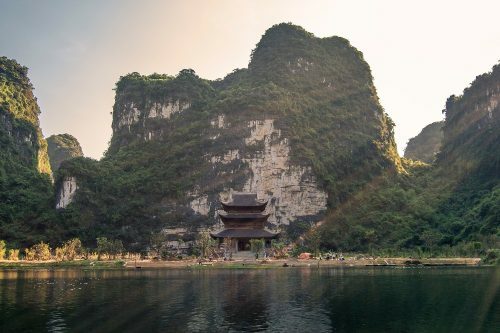 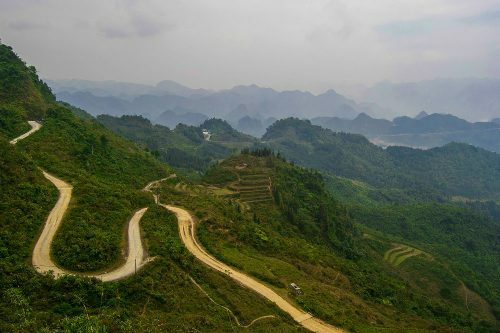 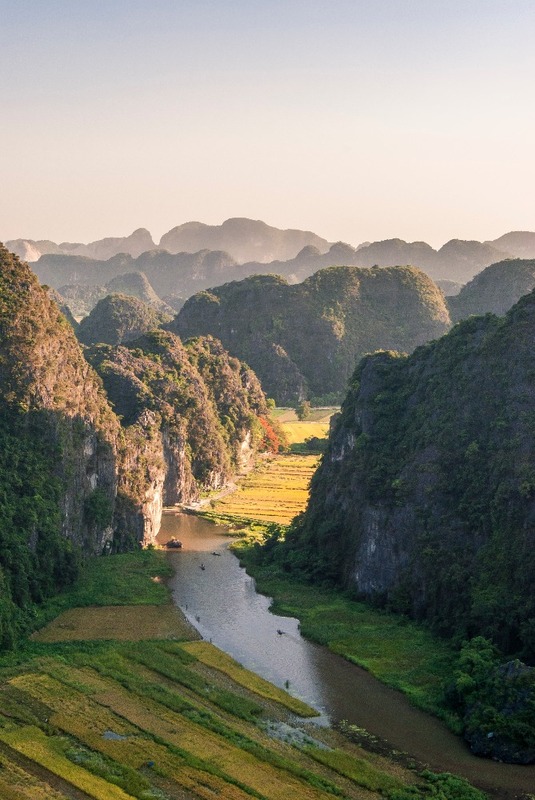 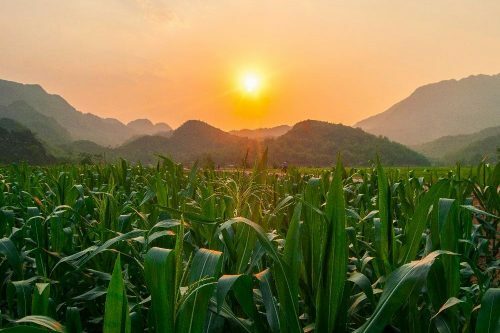 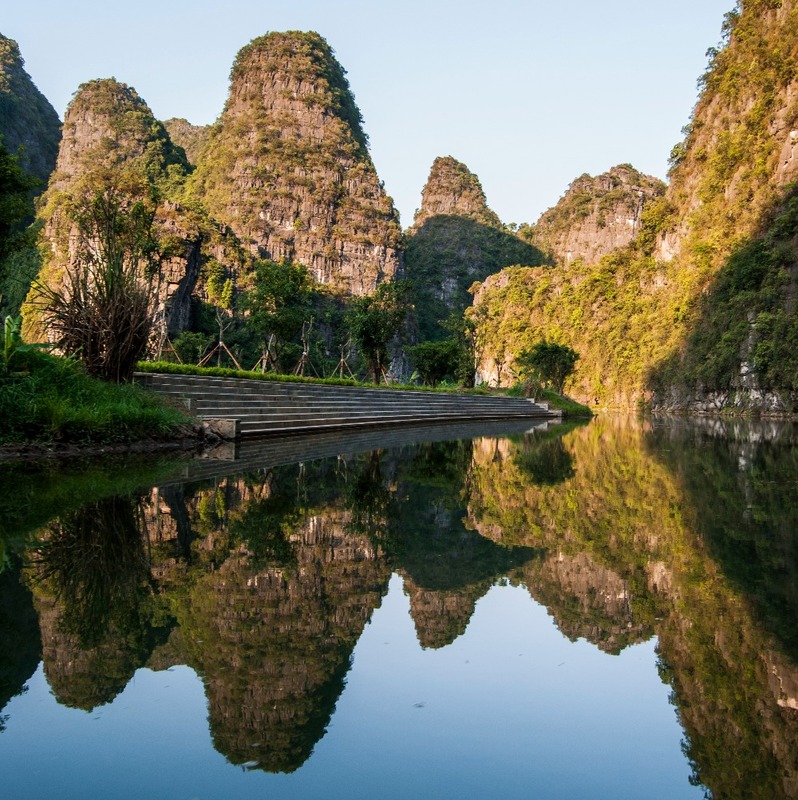 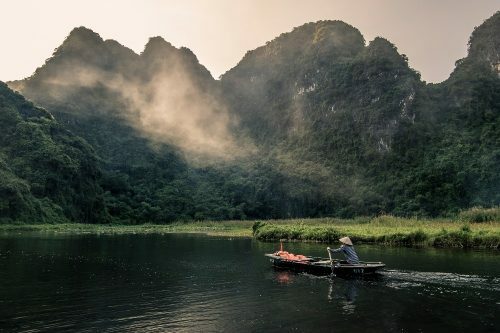 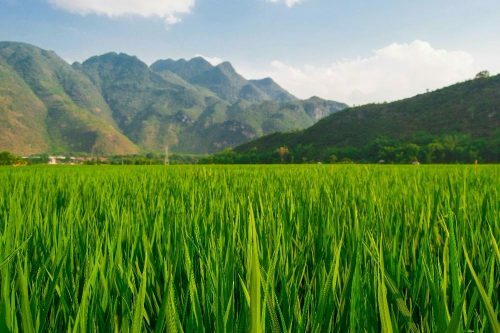 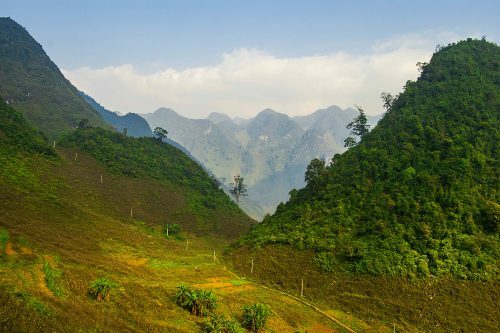 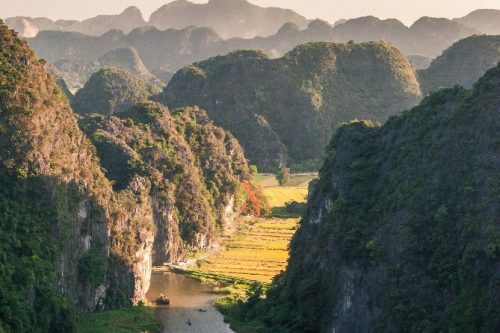 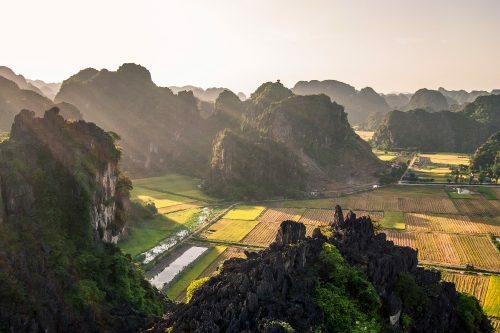 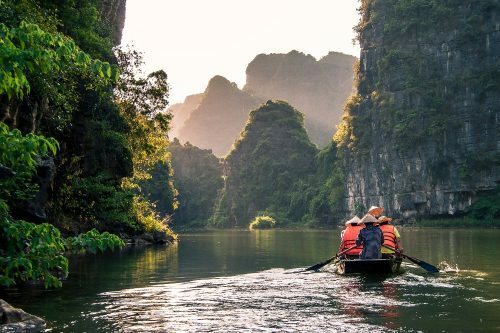 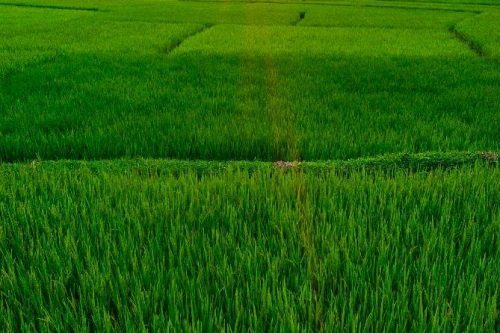 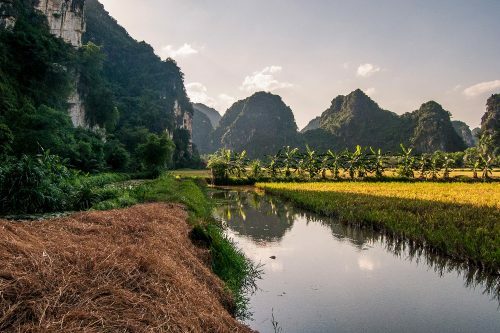 I personally recommend the north over the south, only because you can’t compete with the natural beauty and charm of the regions around Hanoi (Ha Giang, Sapa, Ninh Binh, Halong Bay). 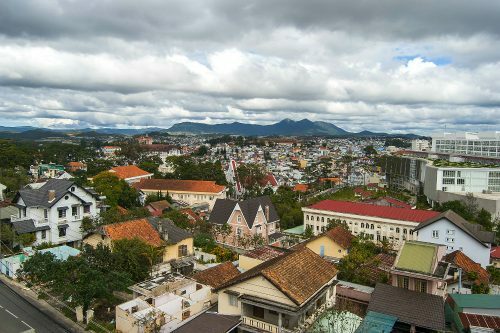 If you travel during the winter (November-April), don’t forget to pack a warm jacket since the northern regions, as well as highlands towns such as Da Lat, do get quite cold, especially when you’re driving a motorbike all day. Since I ended up staying in Hanoi for a while, here is the itinerary from the original trip before I settled down. 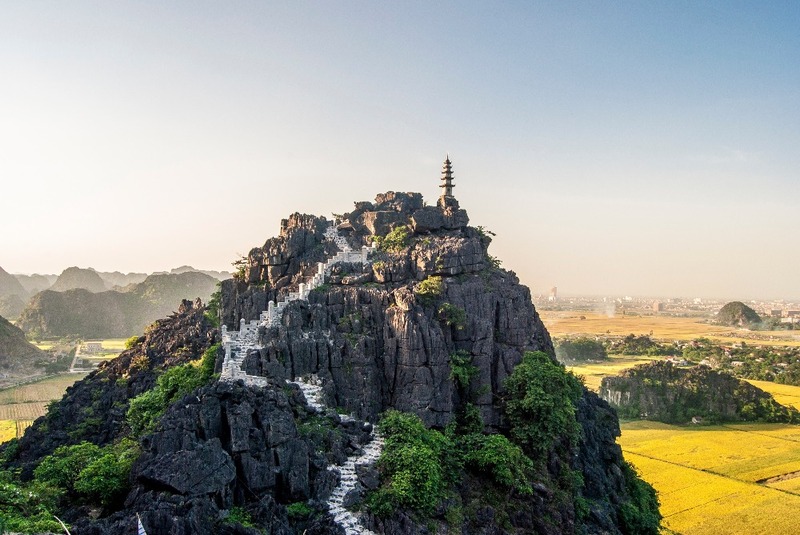 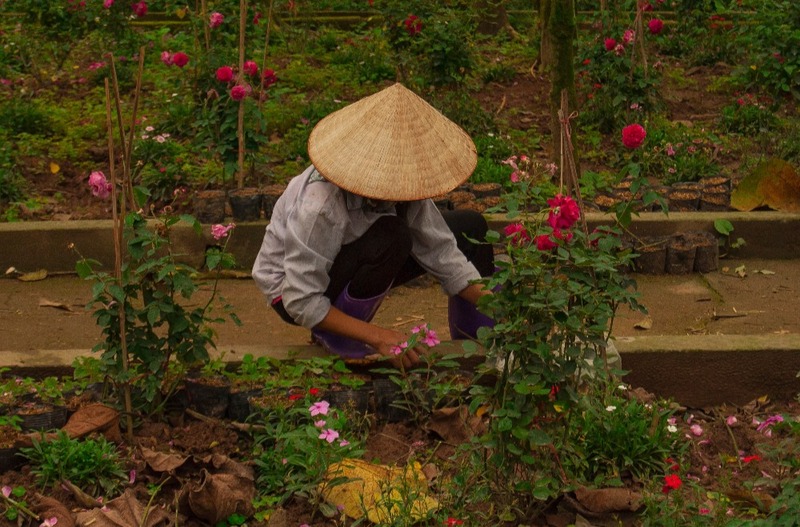 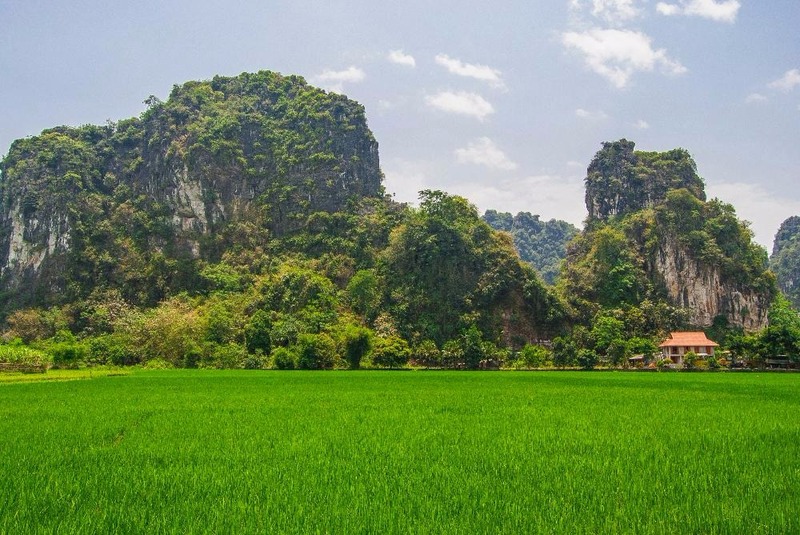 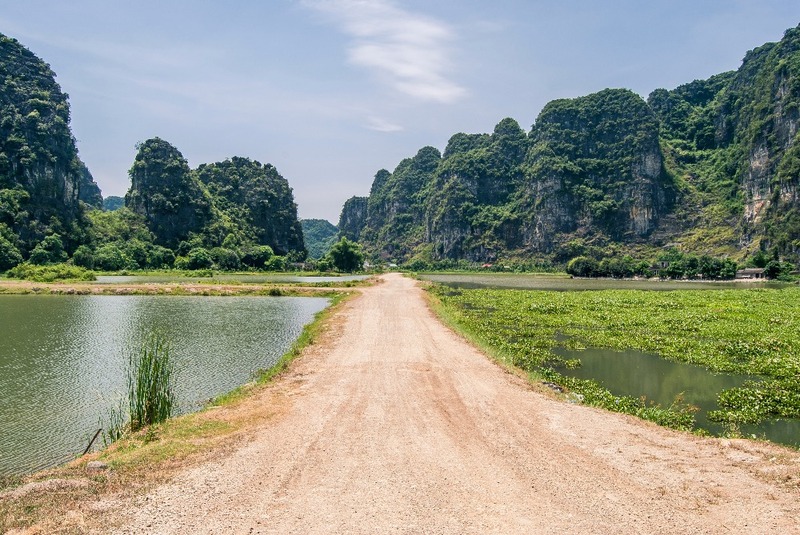 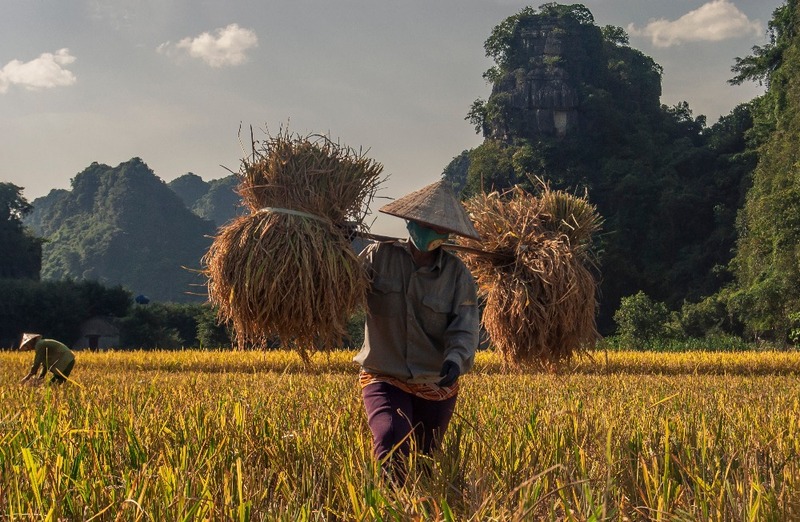 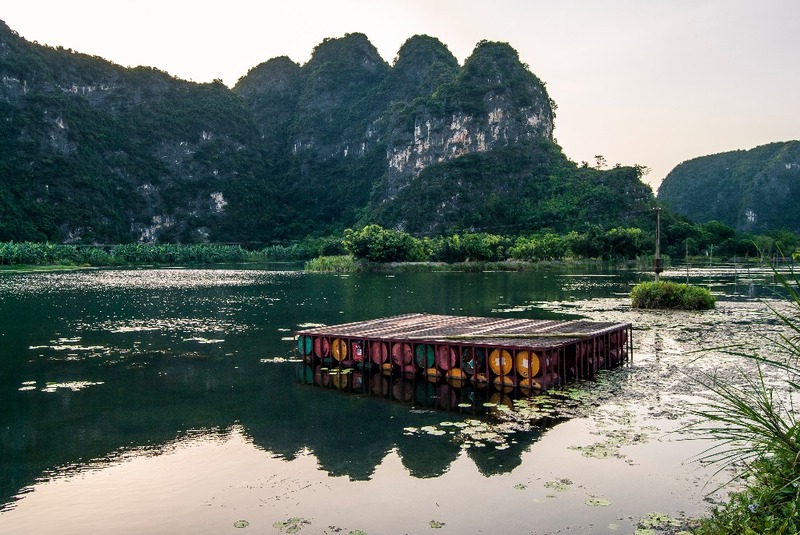 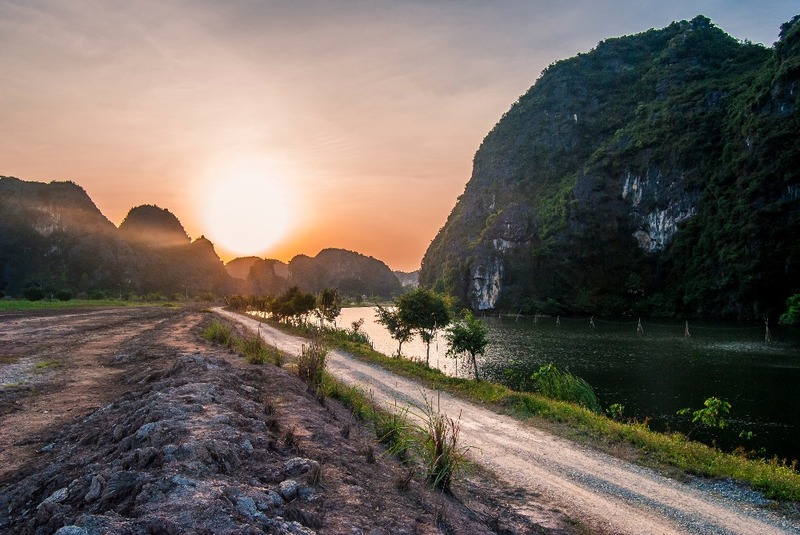 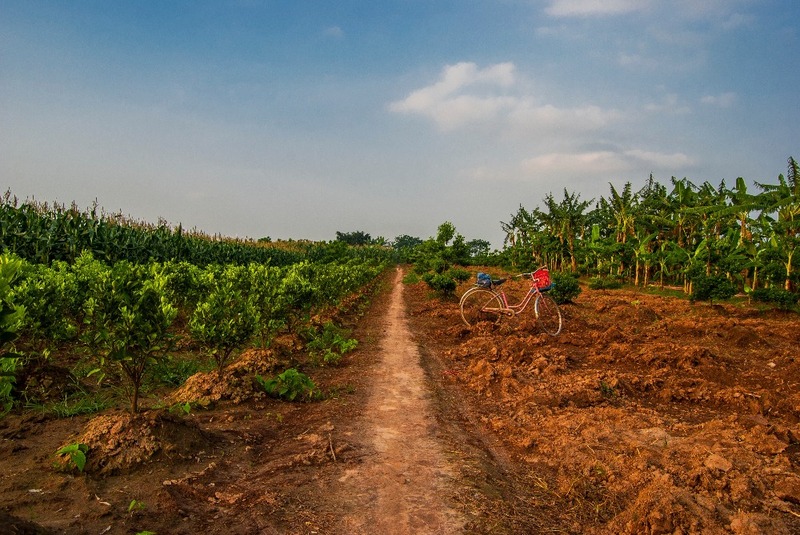 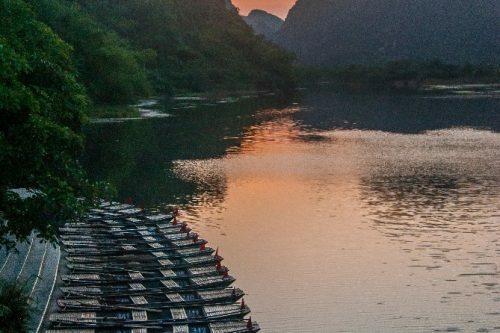 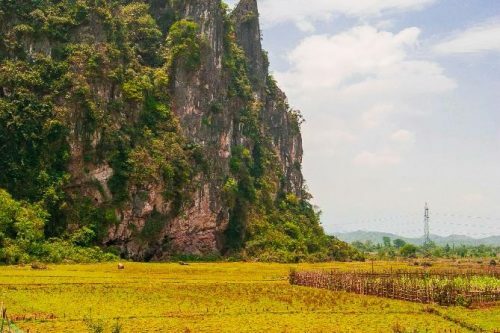 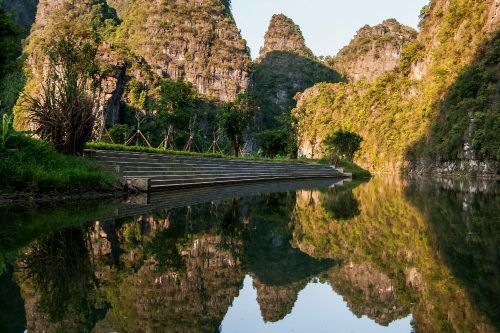 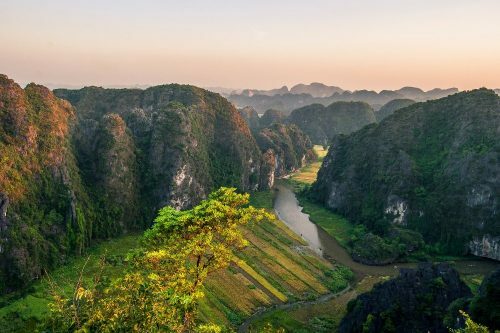 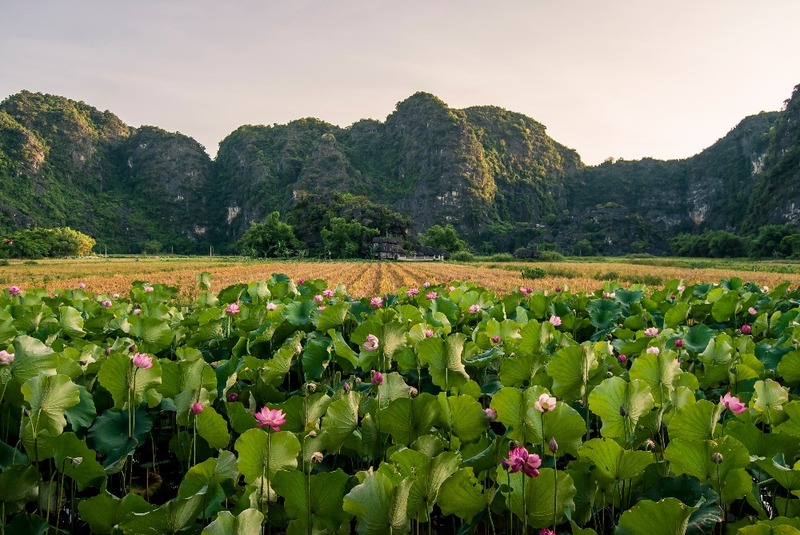 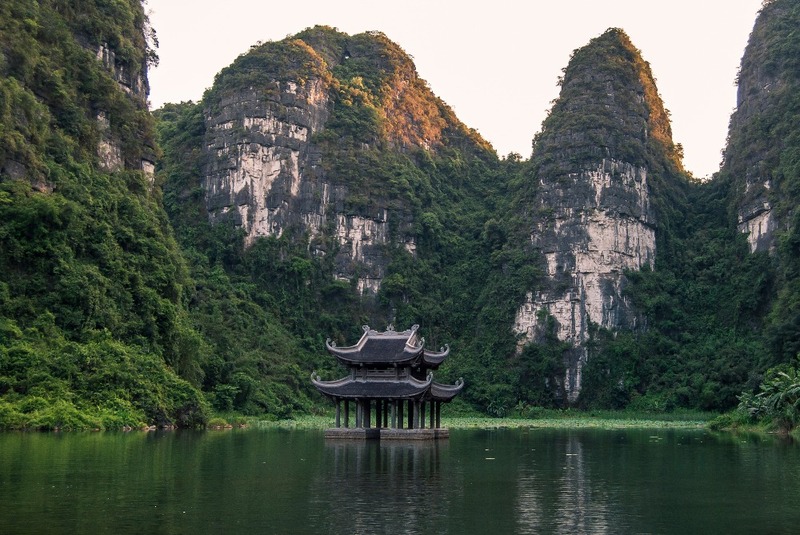 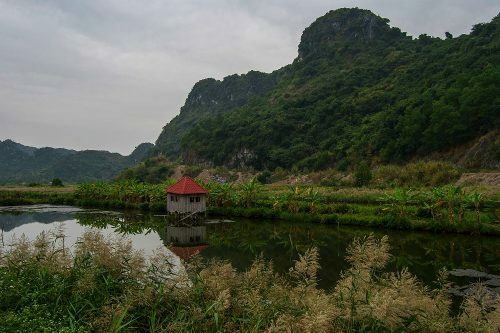 If you want to add Ninh Binh, Ba Vi or Mai Chau to your itinerary, check them out below for recommendations. 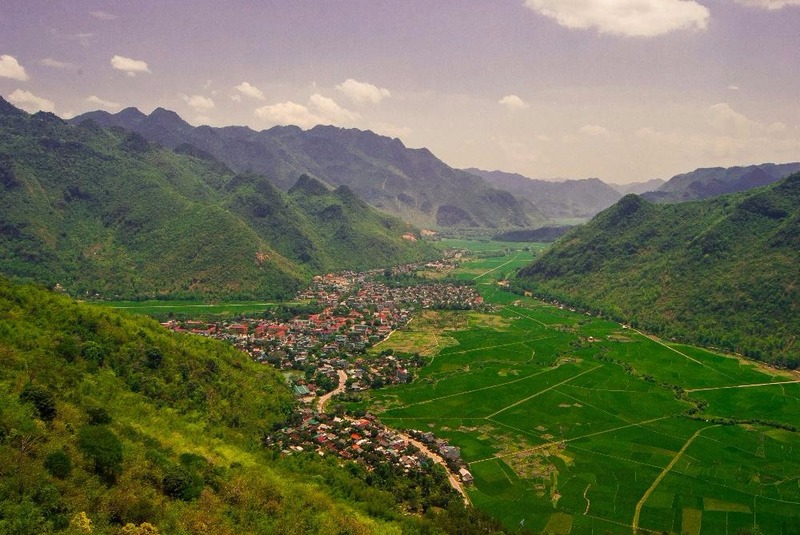 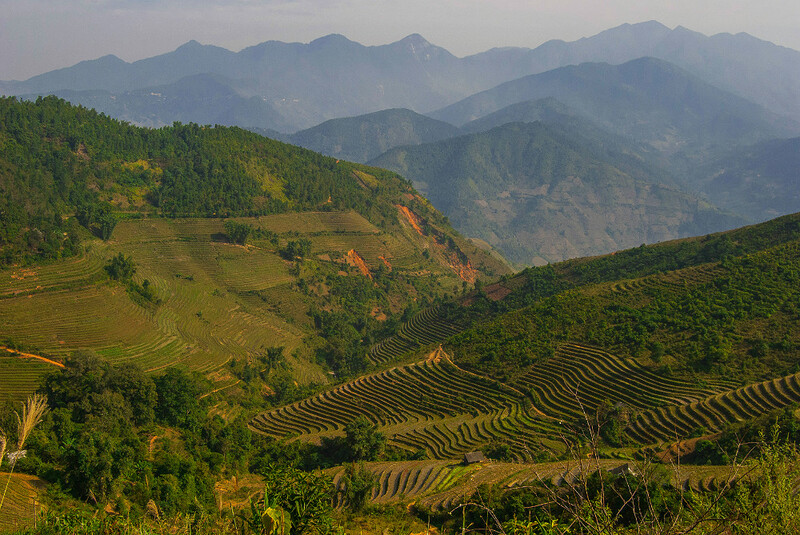 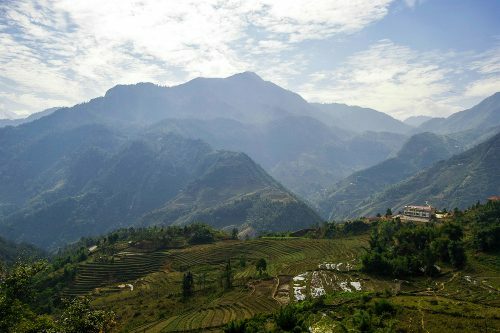 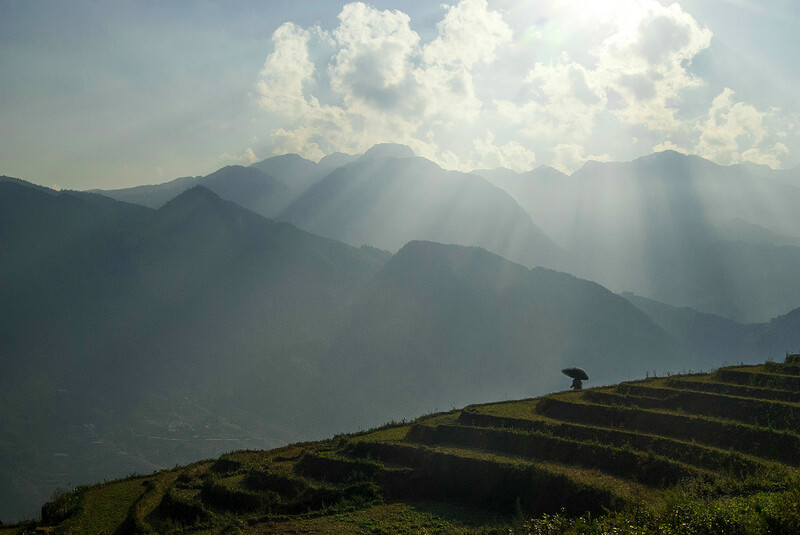 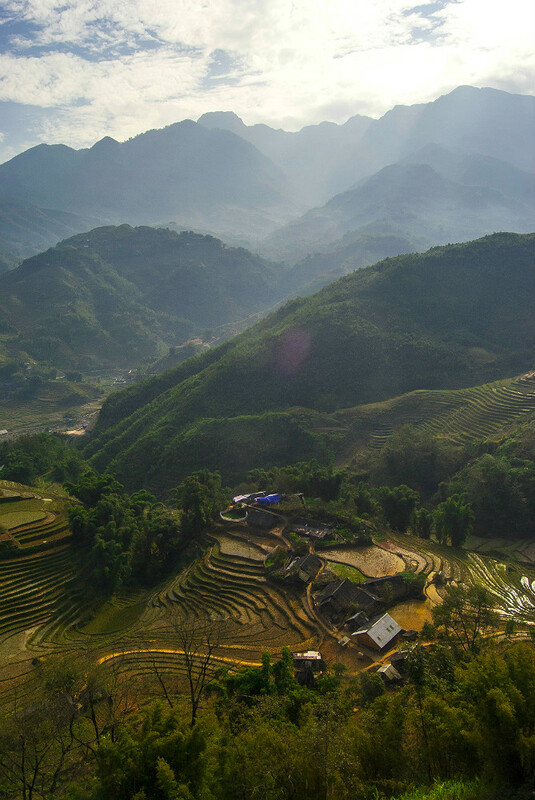 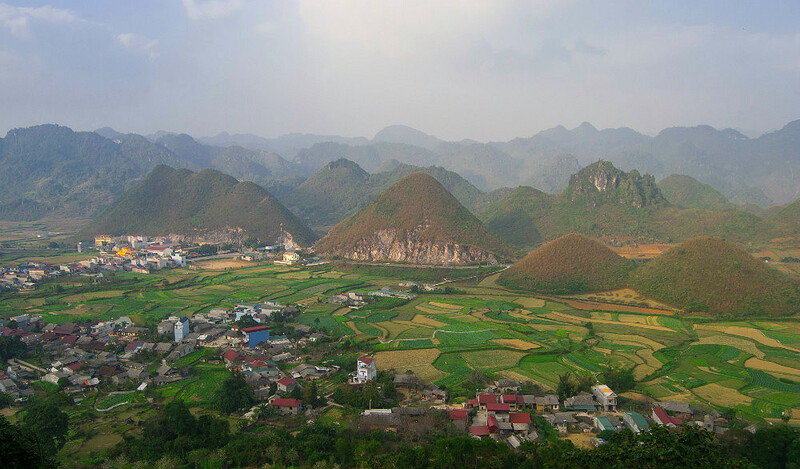 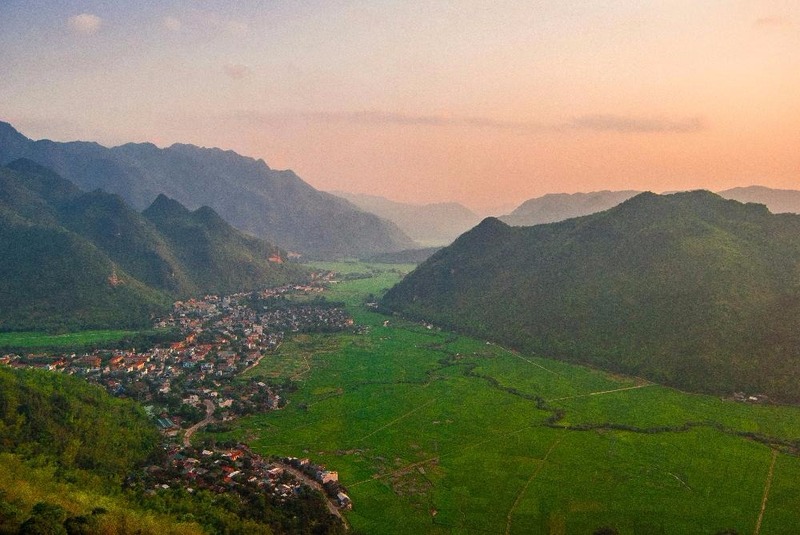 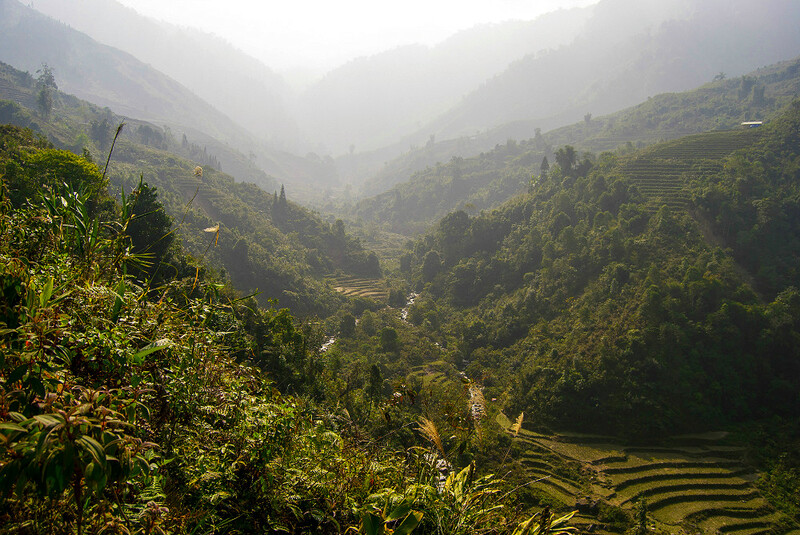 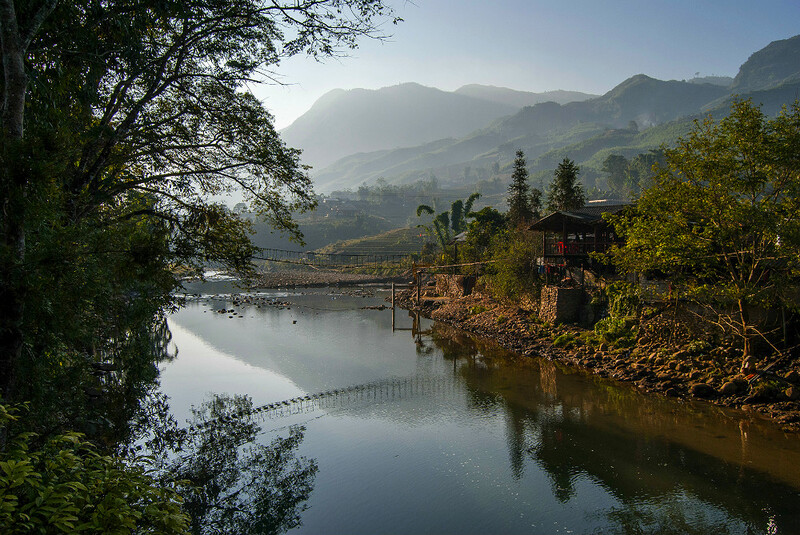 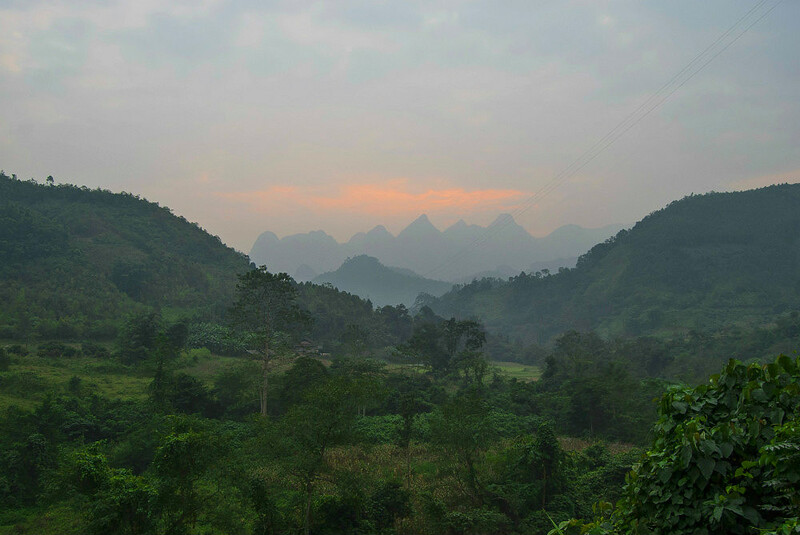 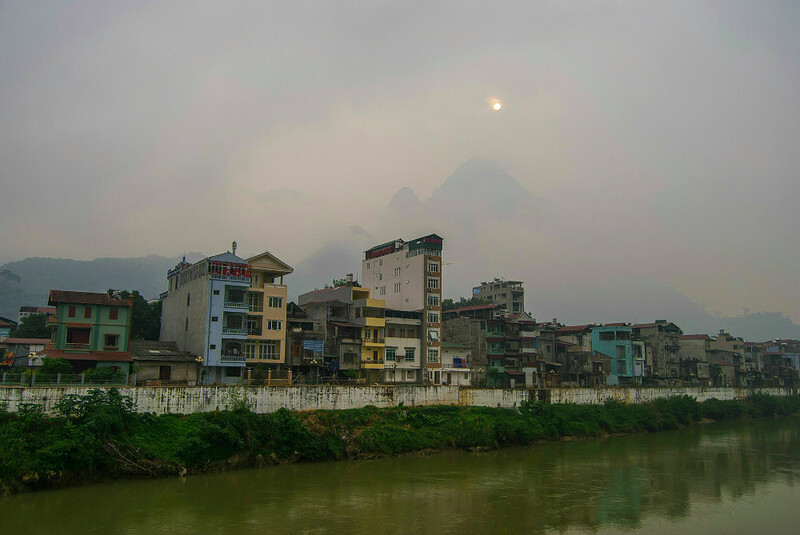 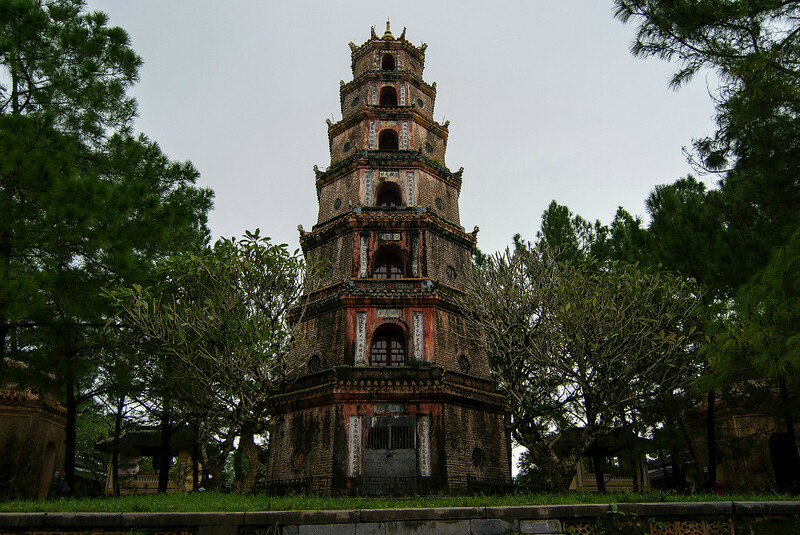 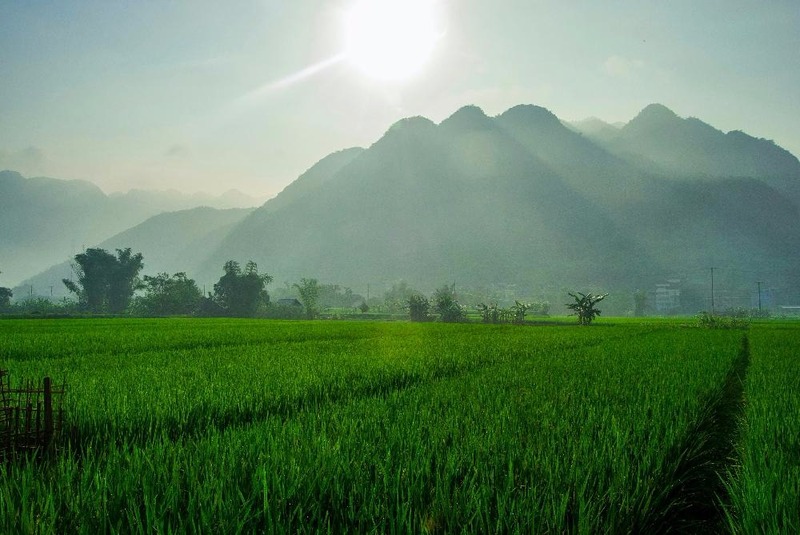 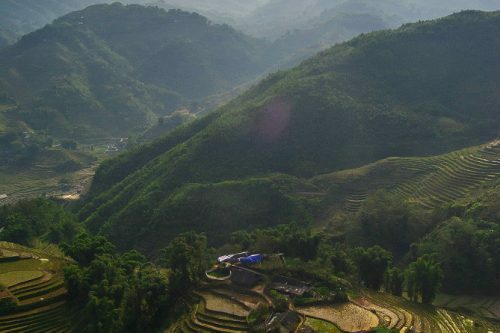 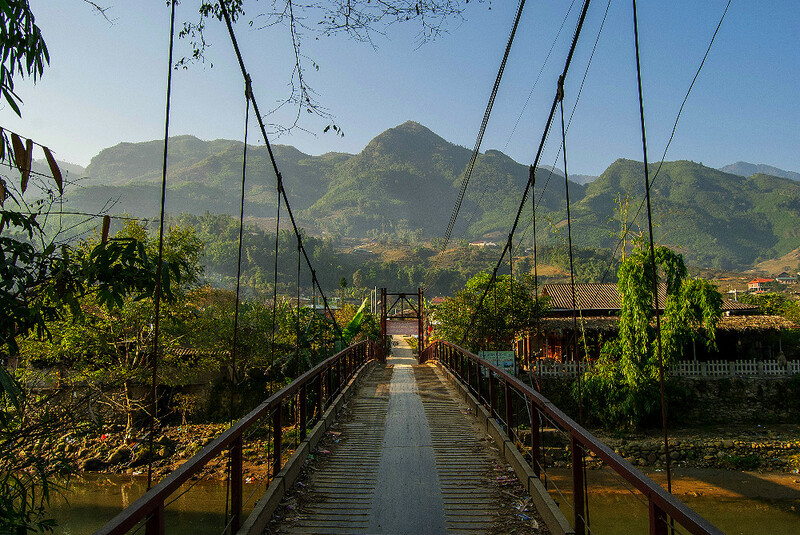 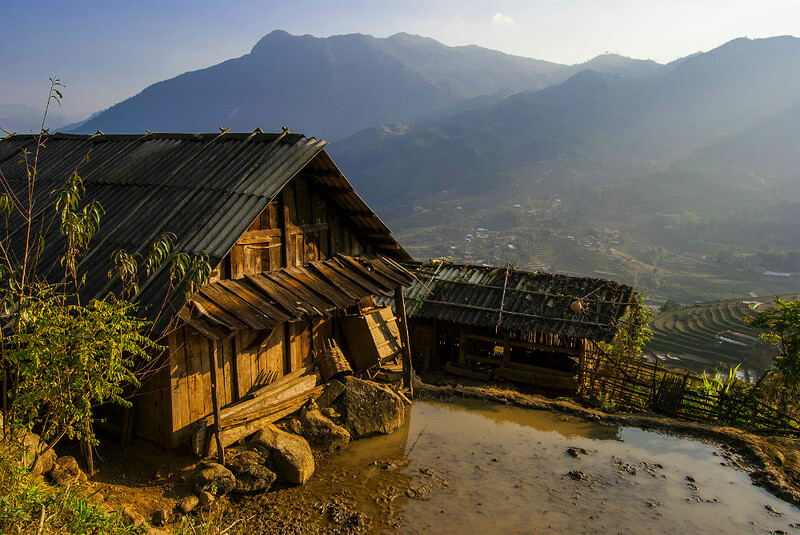 Ha Giang is a town located near the Chinese border and is virtually untouched by tourism. 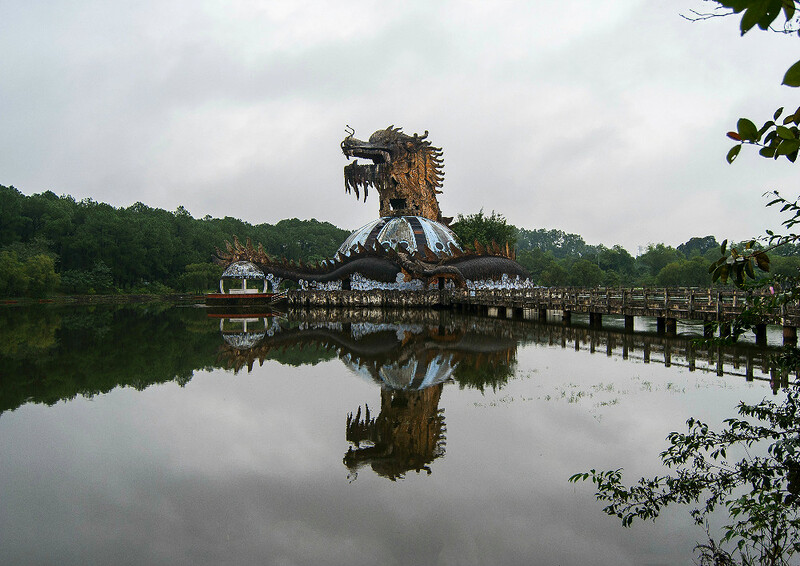 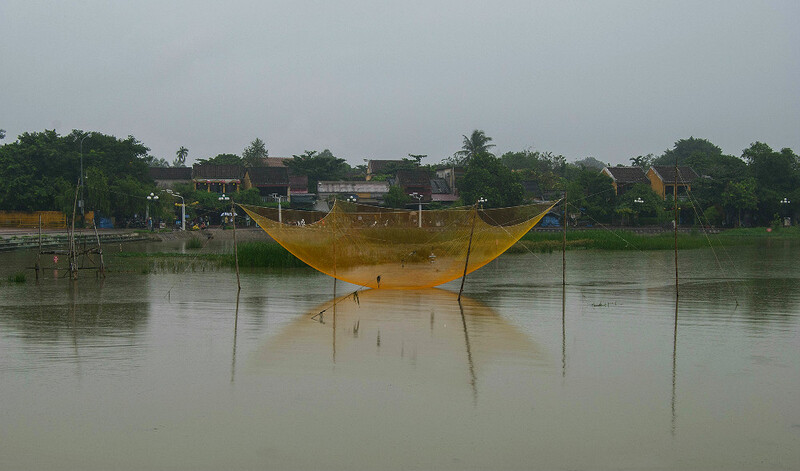 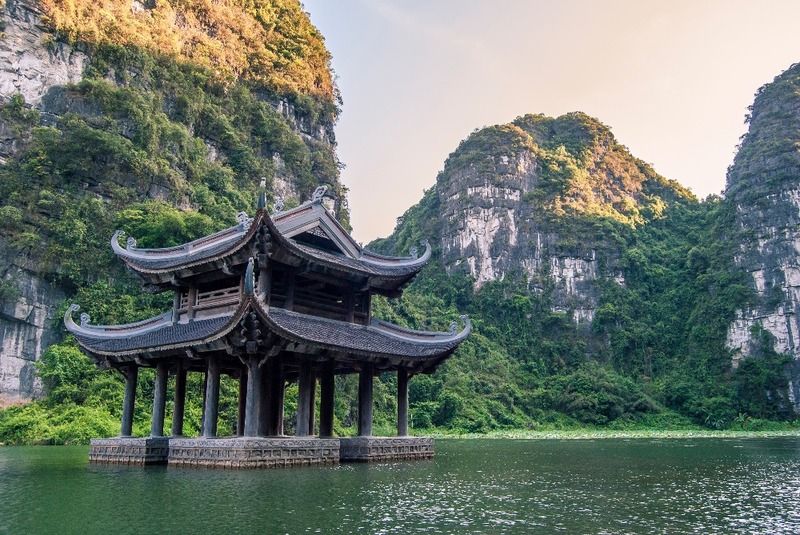 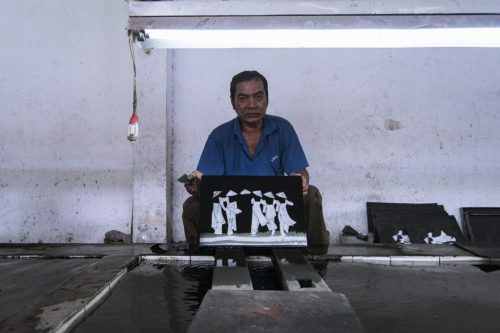 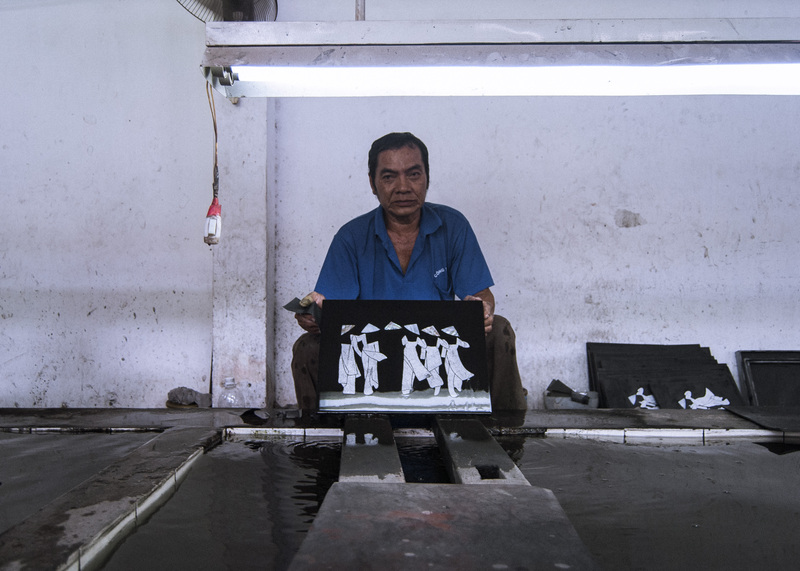 It is the perfect destination for anyone looking to get away from the crowds and get closer to the traditionnal vietnamese culture. There you will find several homestays with caring families that will take care of you for as long as you feel like staying there. 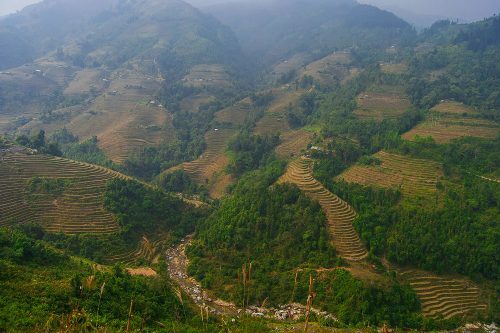 During the day, grab a motorbike and drive around the gigantic mountains that offer surreal views over valleys covered in rice fields. 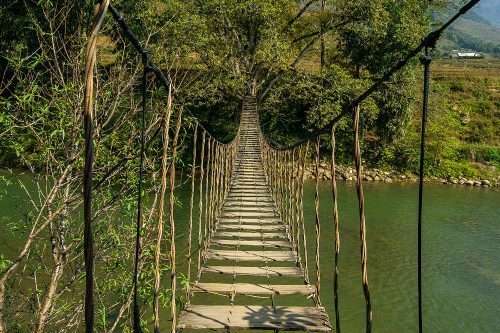 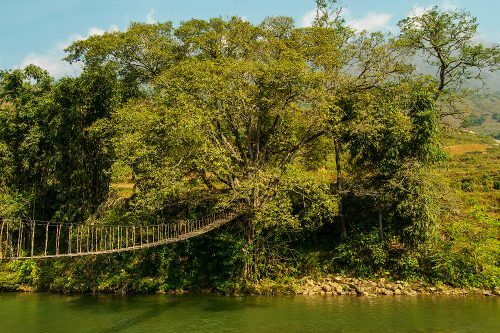 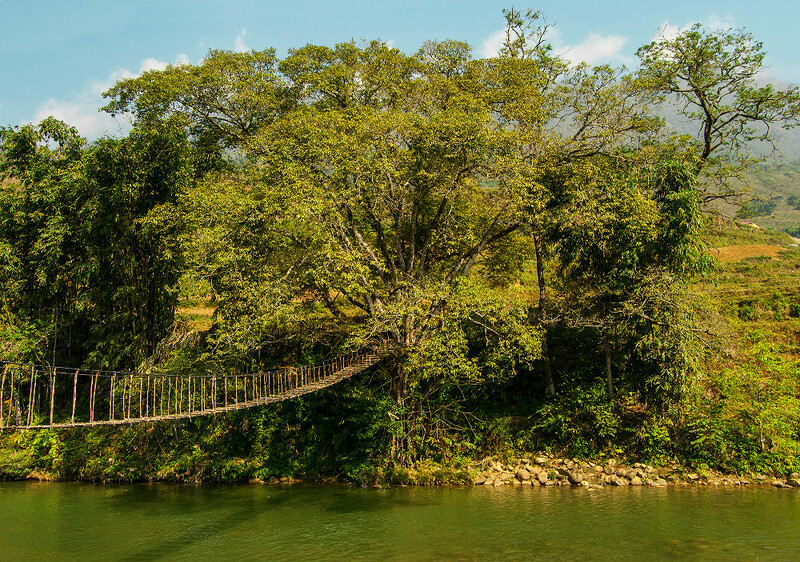 If you have enough time, there is a famous loop that you can drive over two or three days that will take you to several villages and remote, unexplored areas in the countryside. 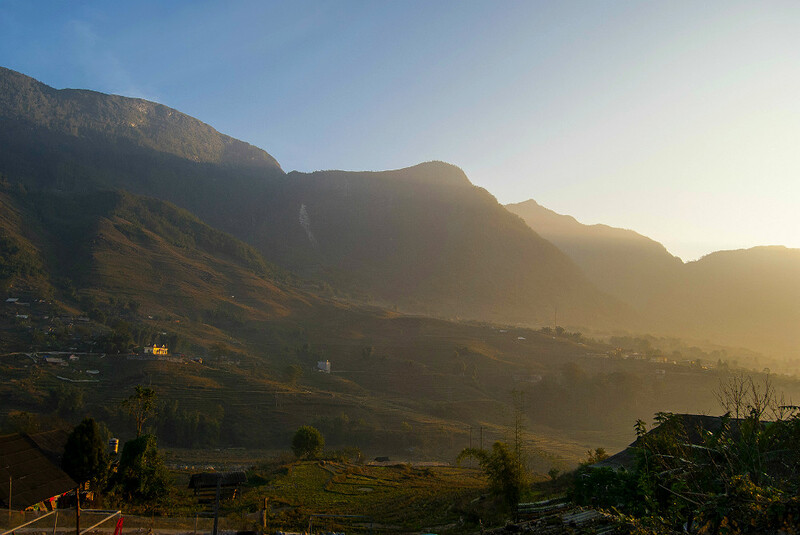 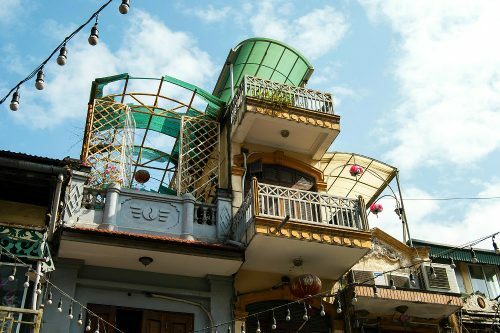 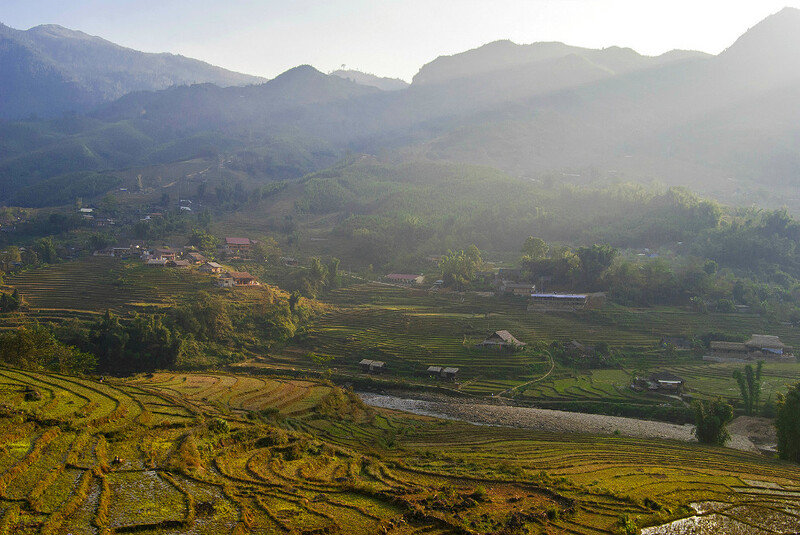 Sa Pa is essentially a more touristy version of Ha Giang, also located within the mountain range near the Chinese border. 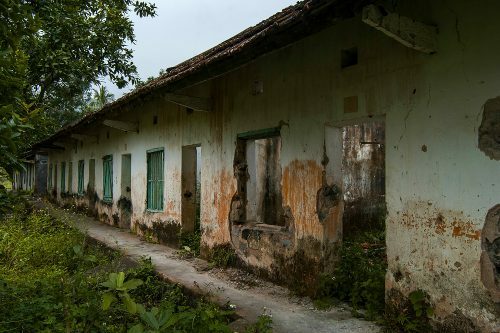 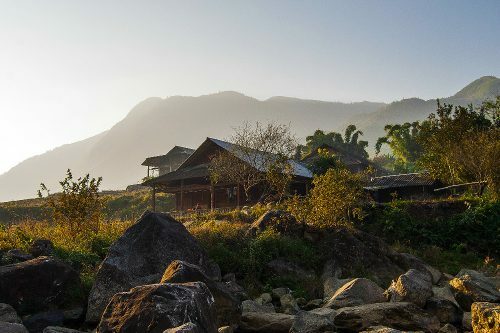 Despite being a popular destination for tourists, it is really easy to get away from the crowds by staying in one of the many homestays in nearby towns. 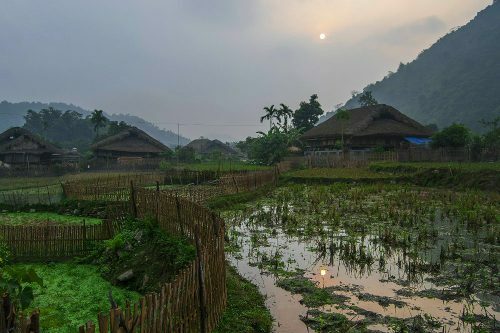 I strongly recommend staying at the My Tra homestay if you’re on a hostel budget and want to be closer to the locals. 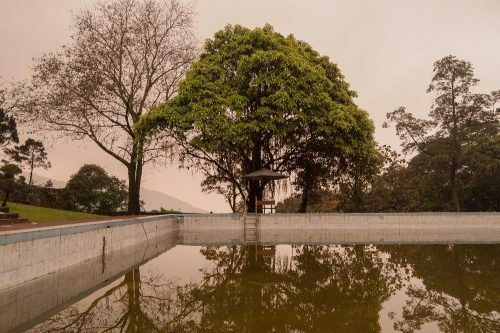 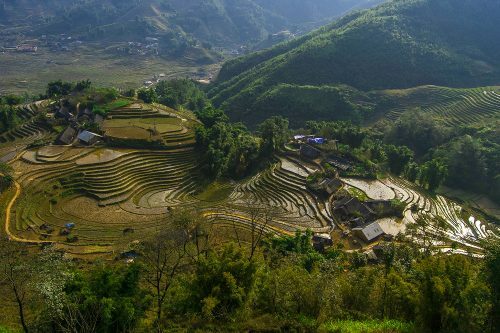 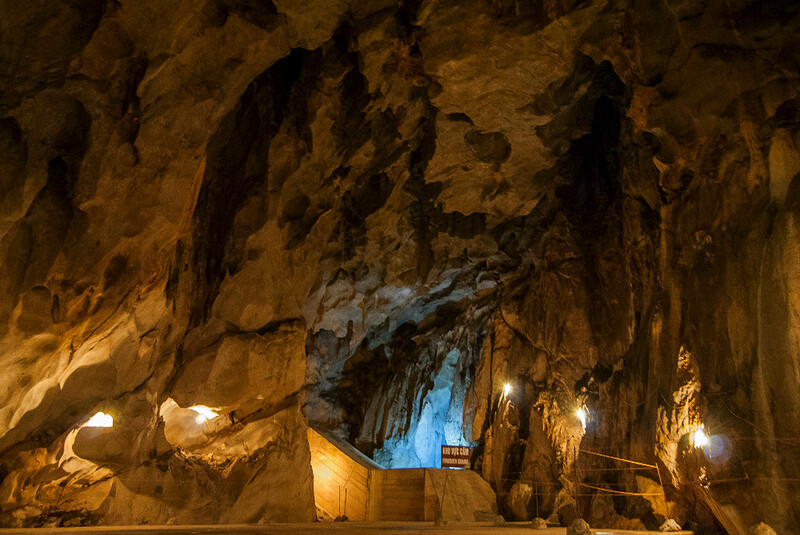 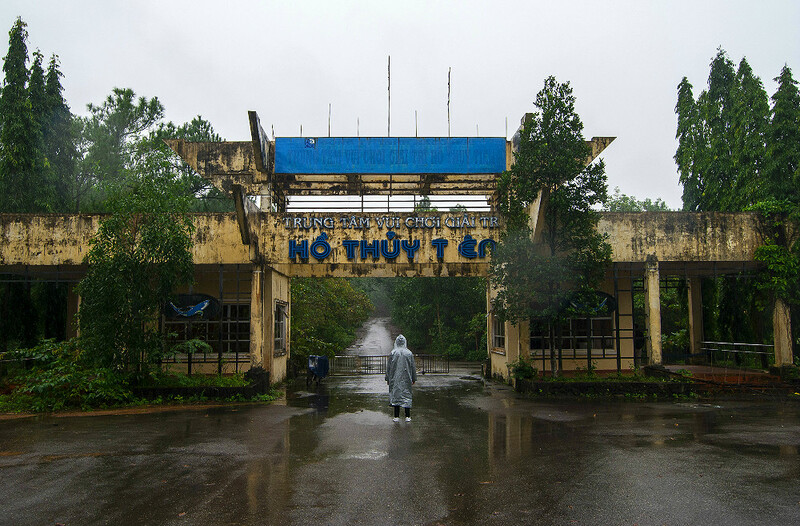 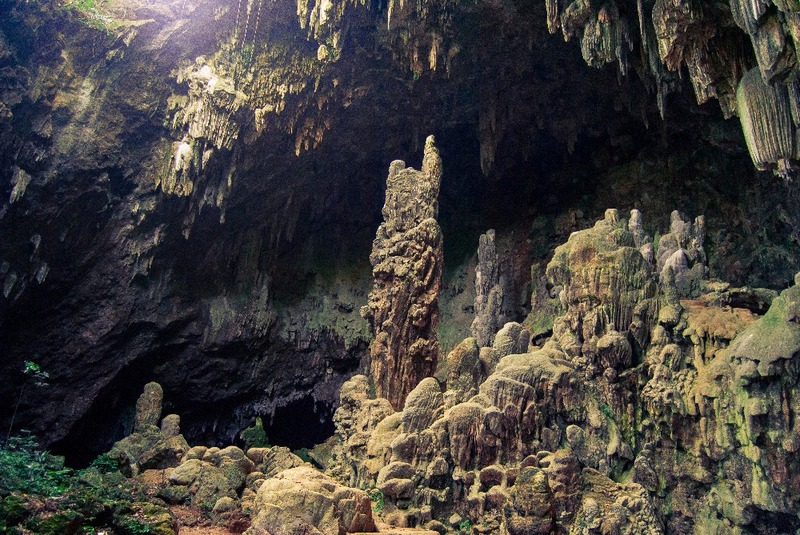 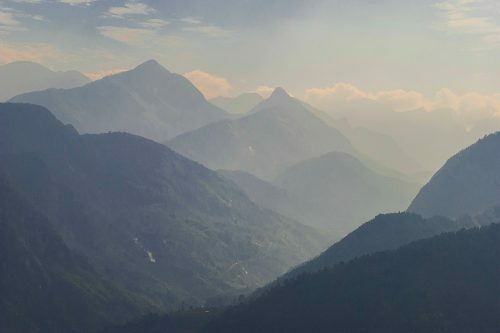 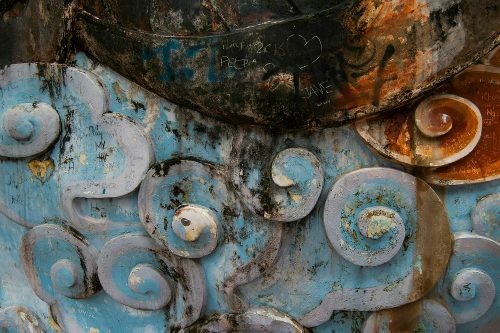 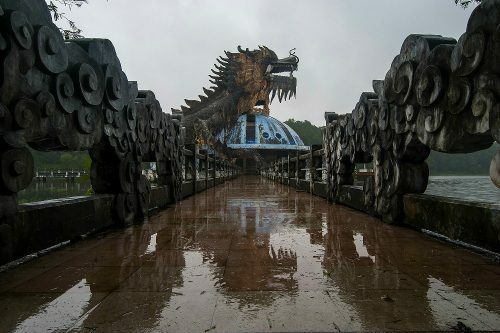 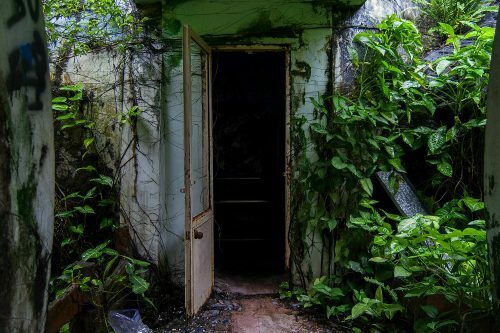 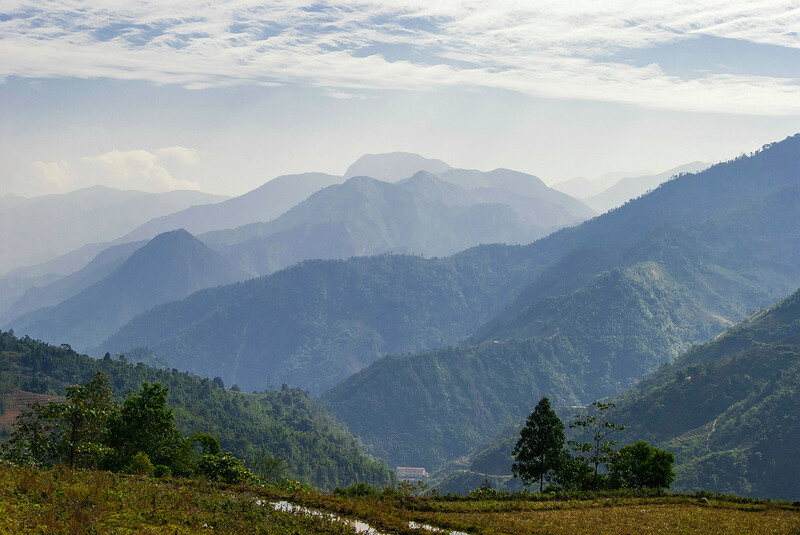 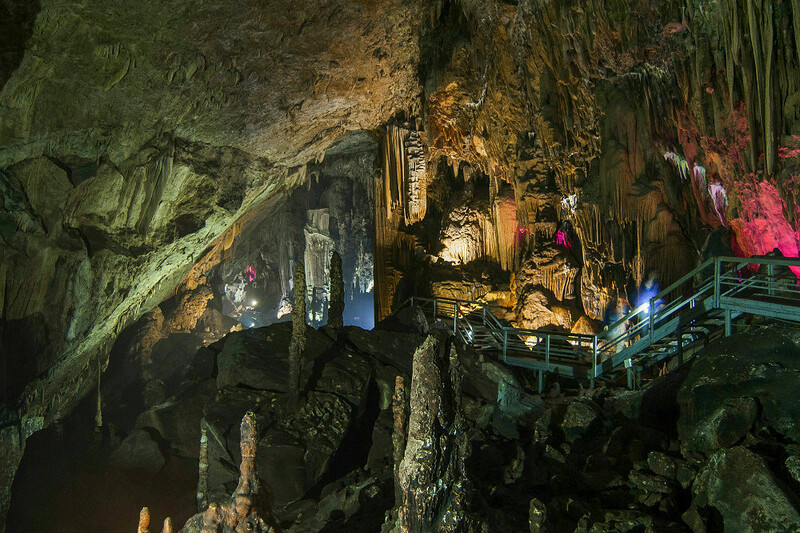 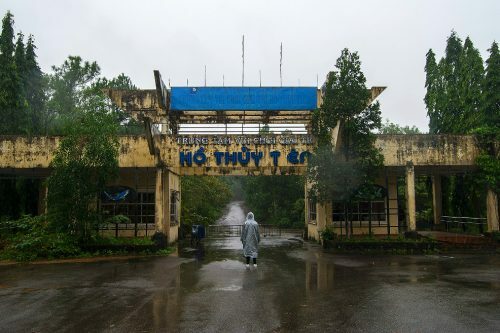 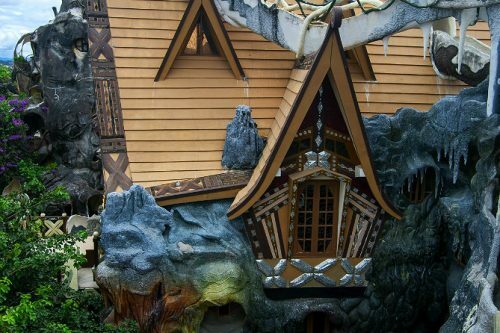 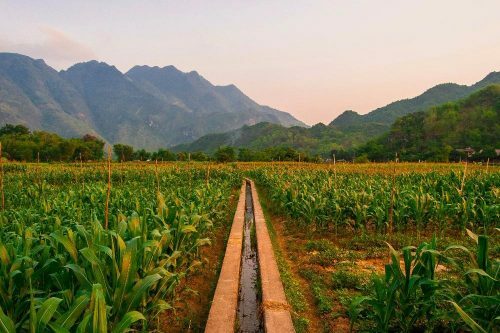 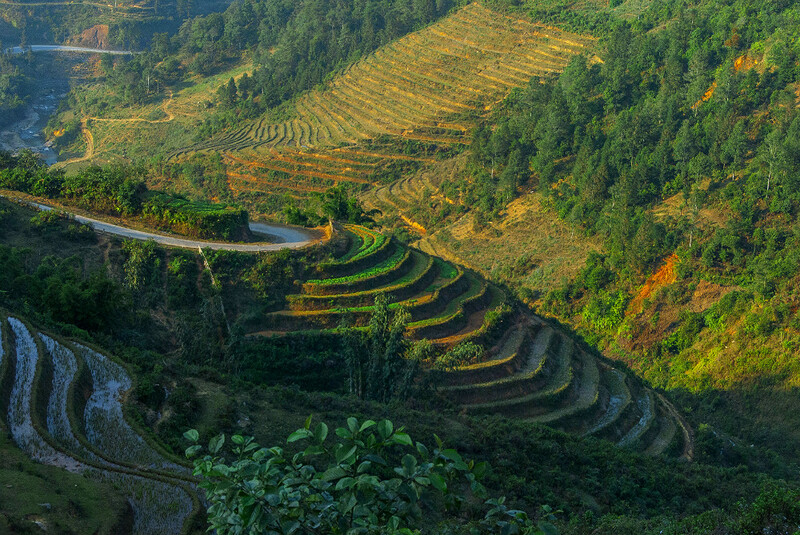 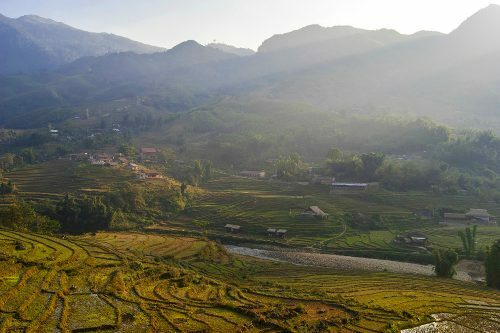 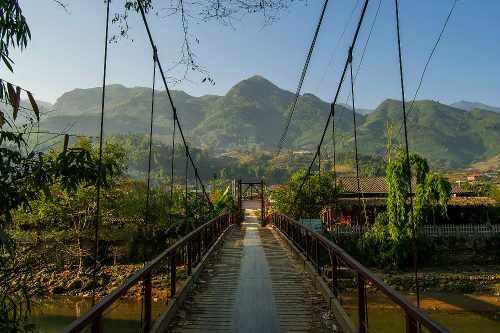 It is located in Hàu Thào, a village roughly twenty minutes away from Sapa, at the bottom of an immense valley where you can spend your days hiking or driving around on a motorbike. 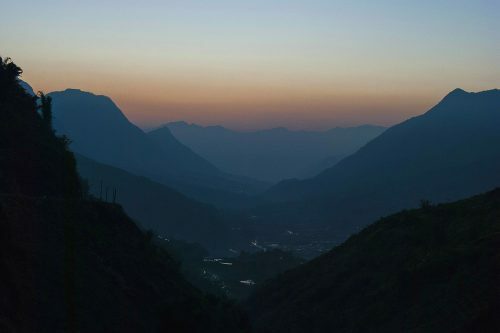 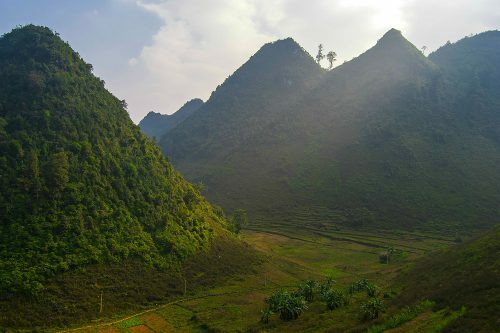 It is, in my opinion, just as beautiful as Ha Giang, while being more convenient for people looking for some western comfort. 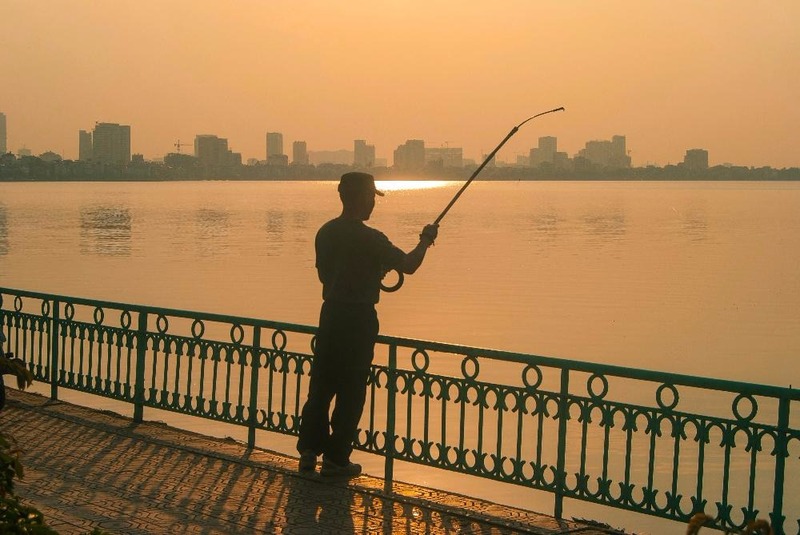 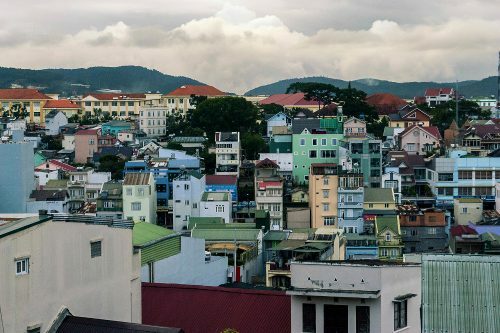 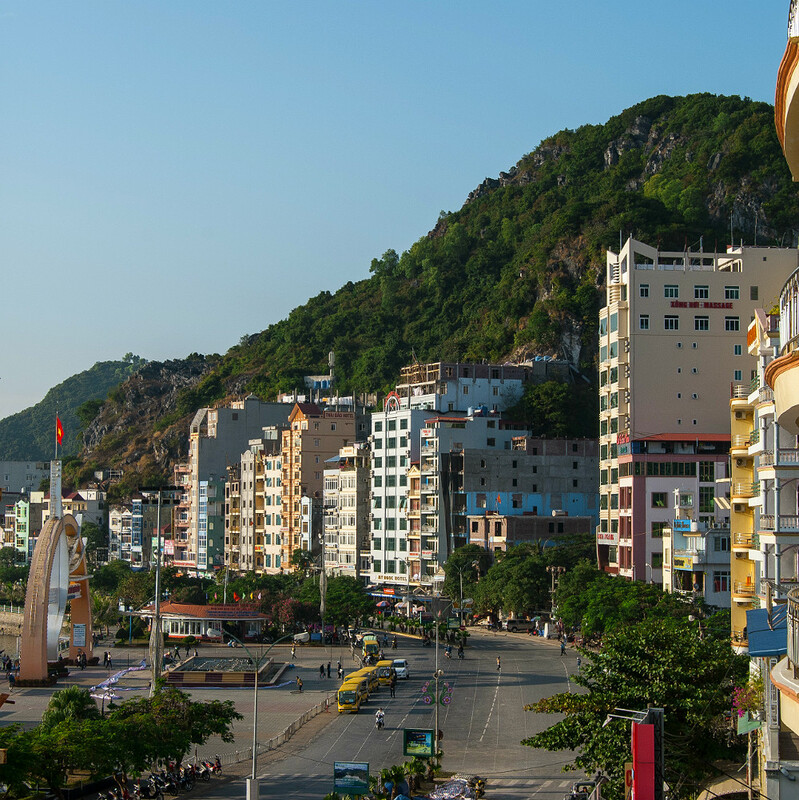 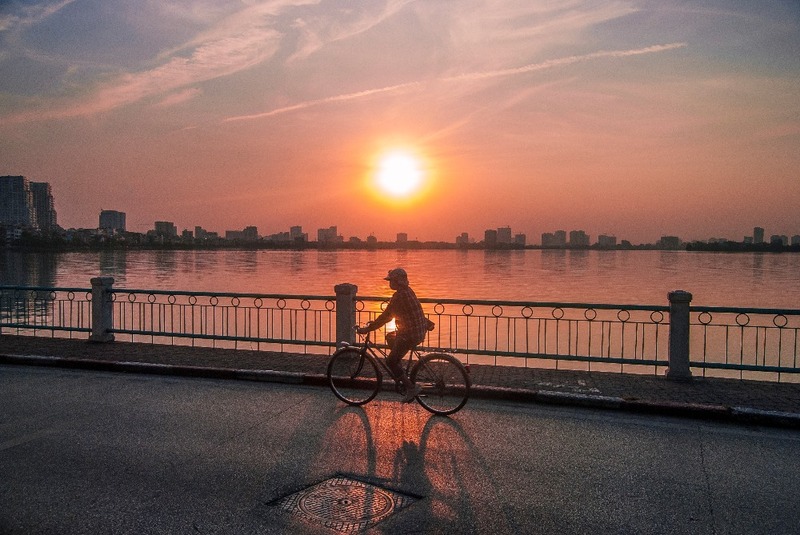 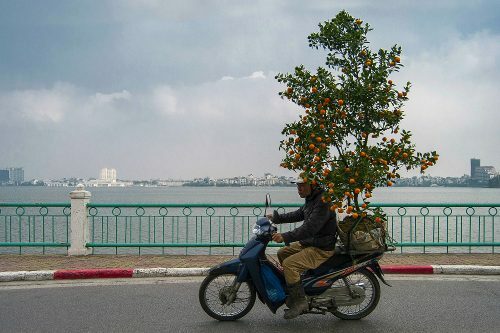 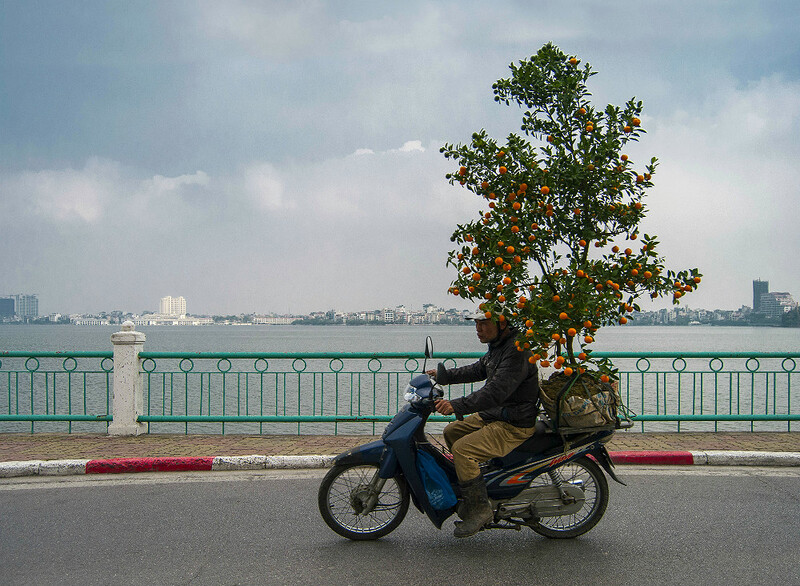 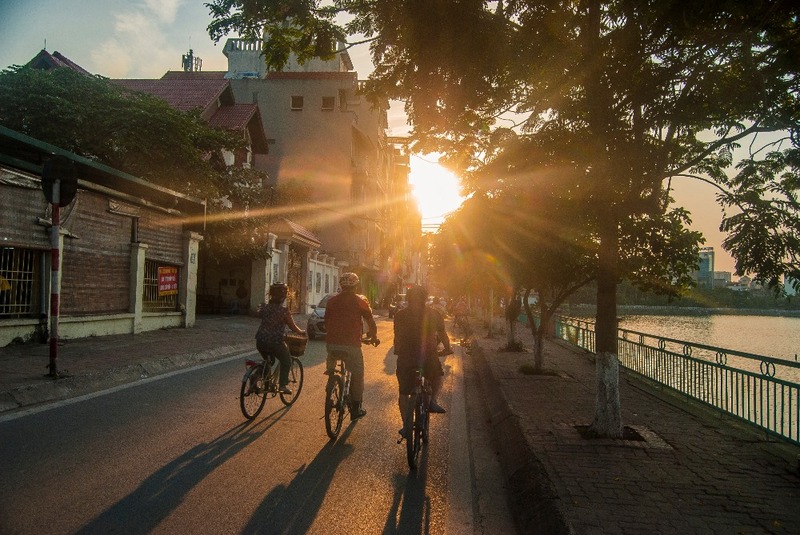 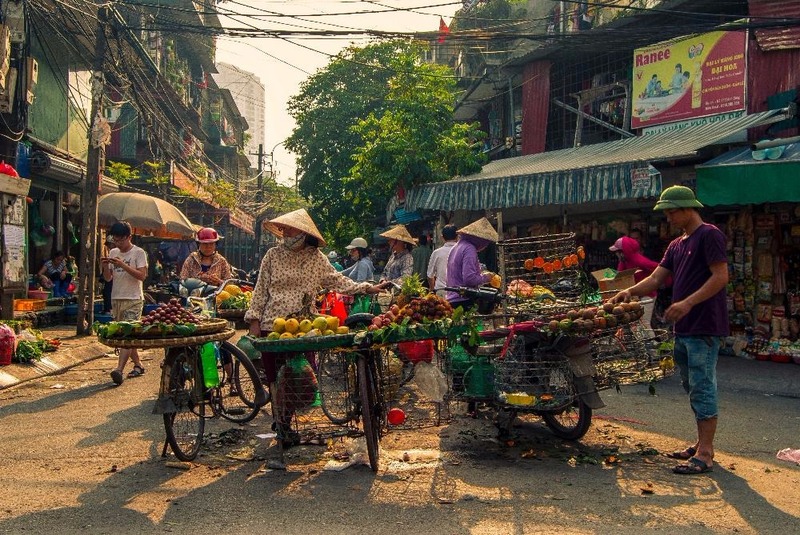 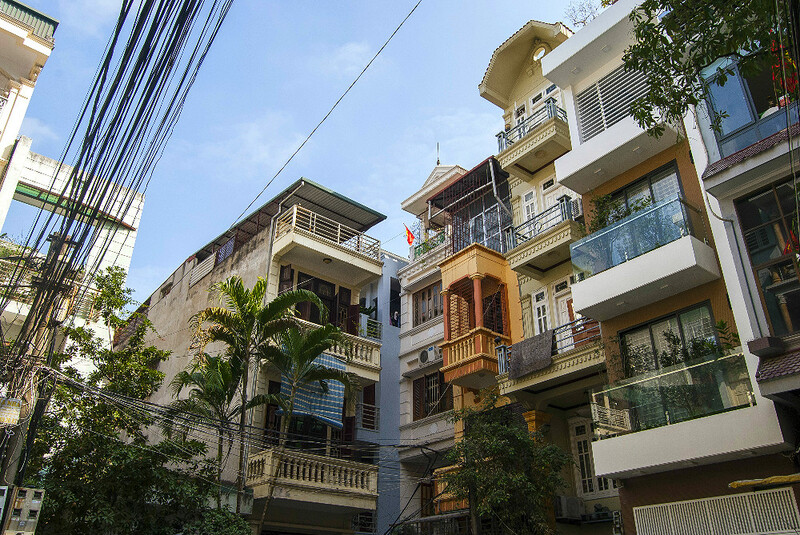 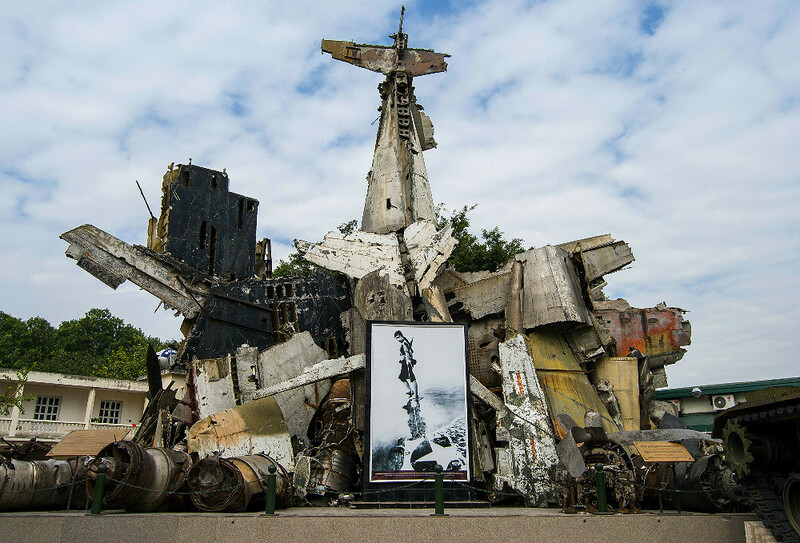 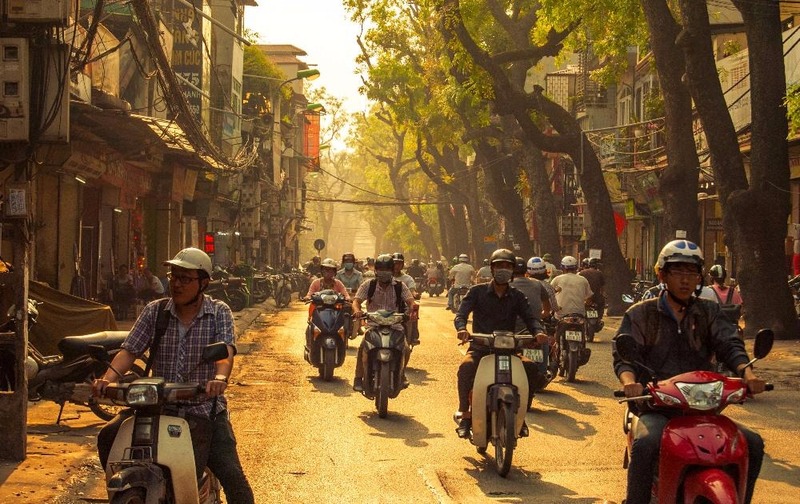 If you’re traveling in Northern Vietnam, you will inevitably stop by Hanoi, Vietnam’s capital city. I’ve been calling this city home for over three months now and I’m happy to give personalized recommendations to anyone who wishes to spend a few days there. 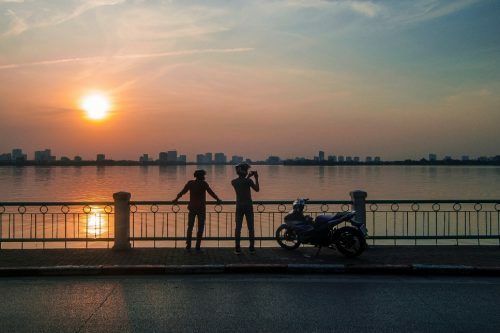 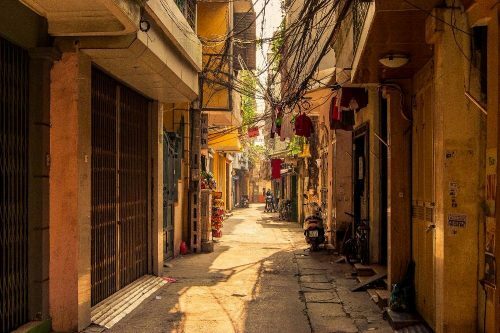 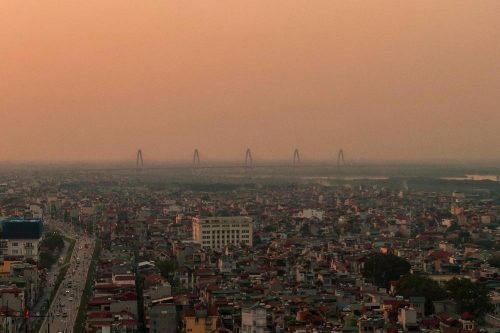 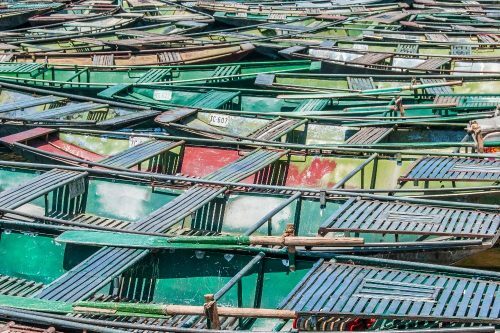 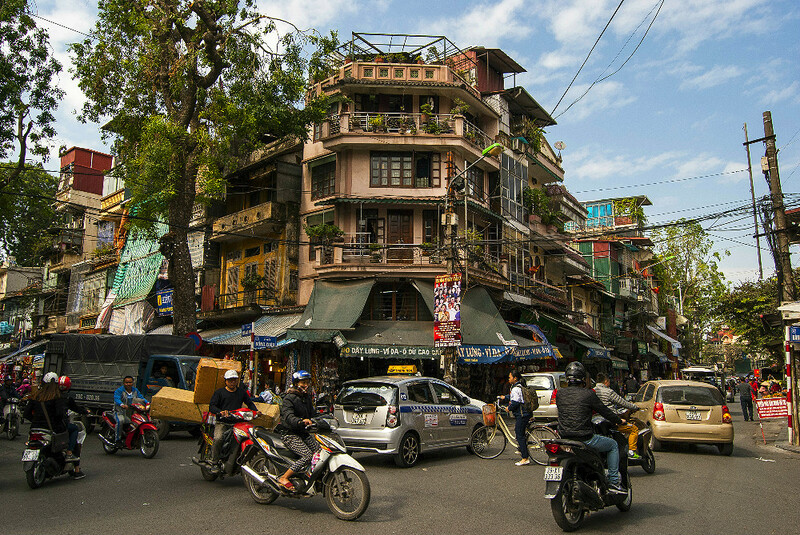 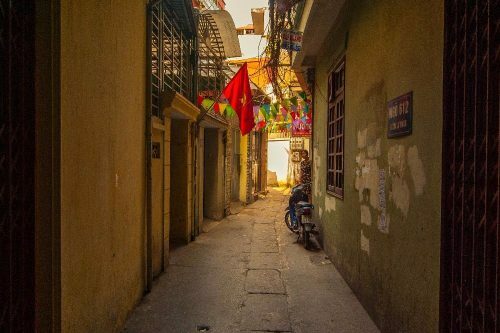 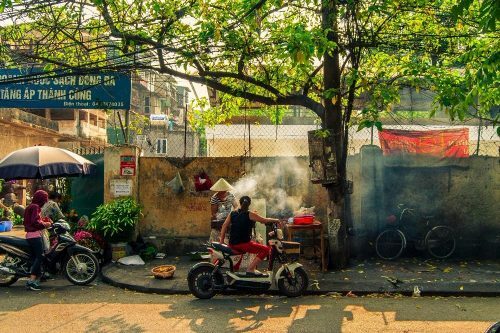 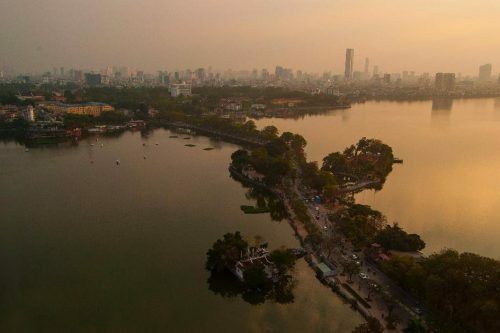 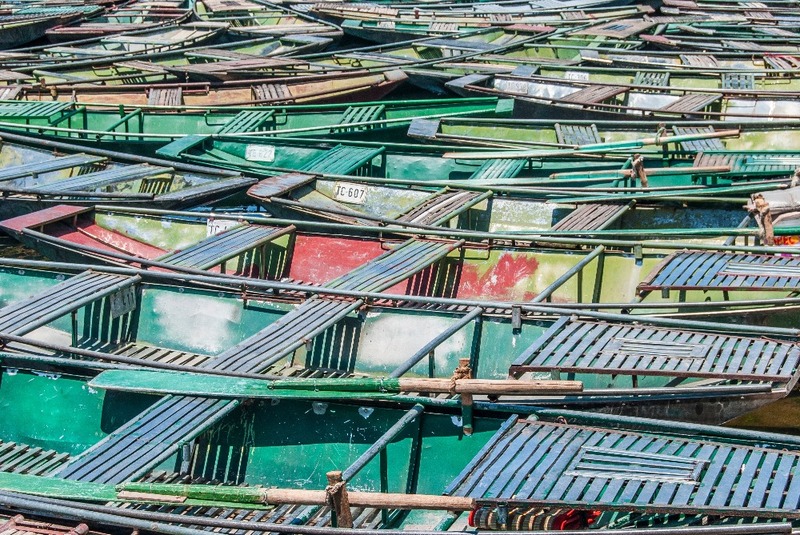 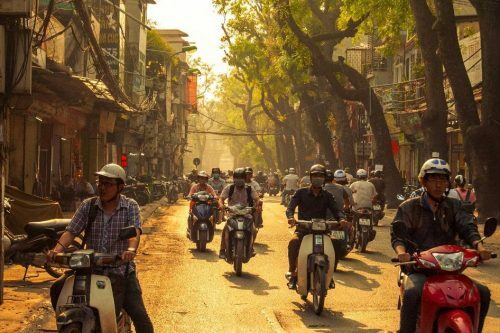 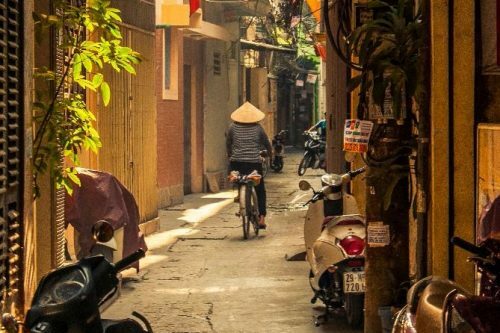 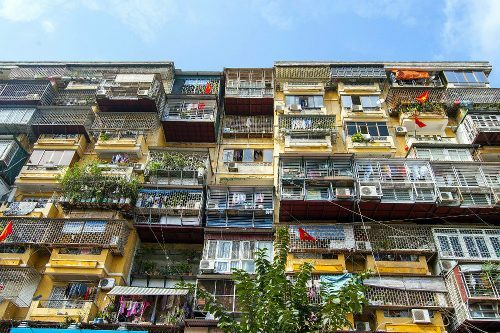 Hanoi is a massive, chaotic city filled with hundreds of thousands of scooters that can be overwhelming at first, but it certainly is worth exploring anyway. 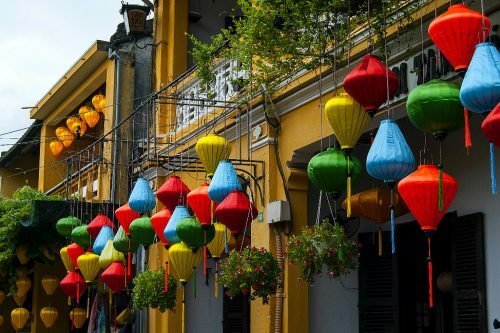 The old quarter is where most tourists will stay, and there are plenty of good restaurants (Noodle & Roll!!!) 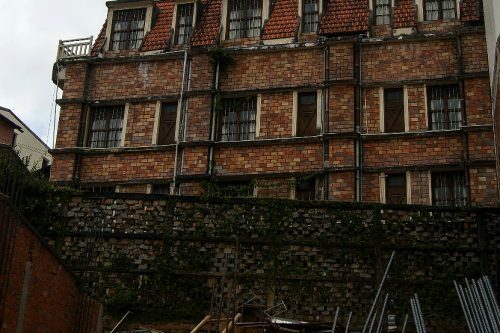 and bars in that area. 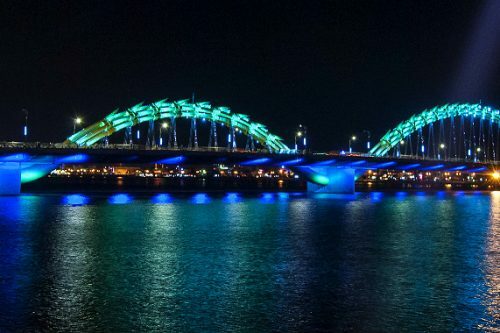 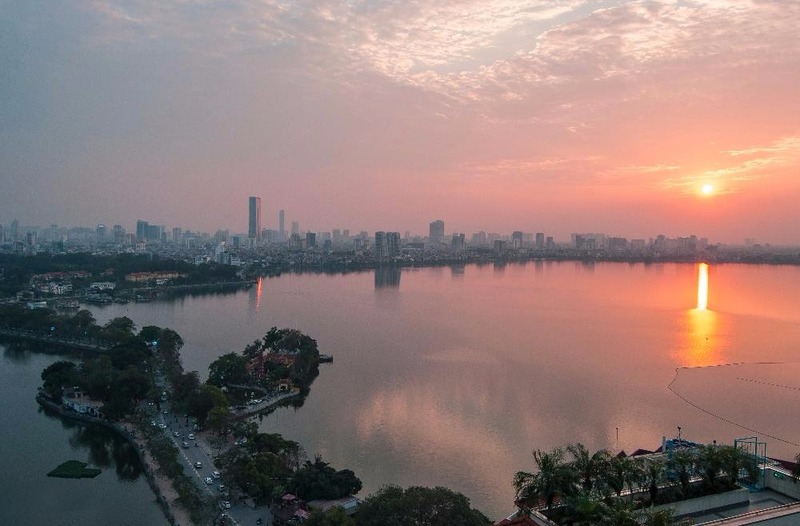 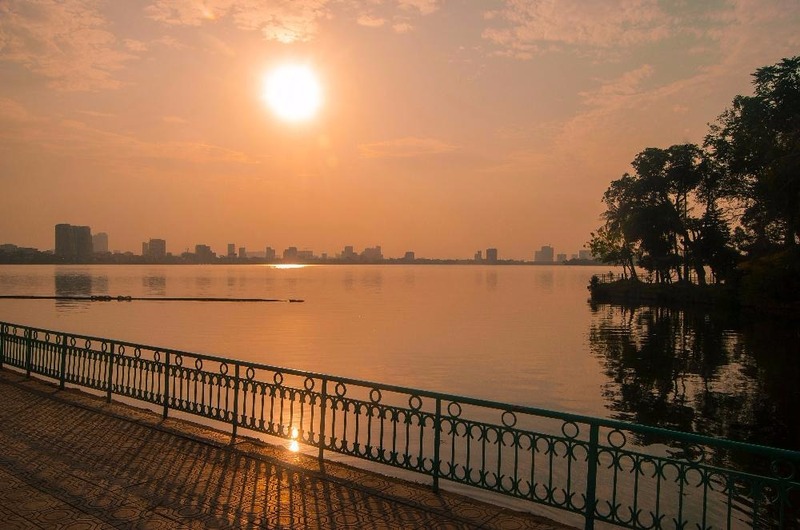 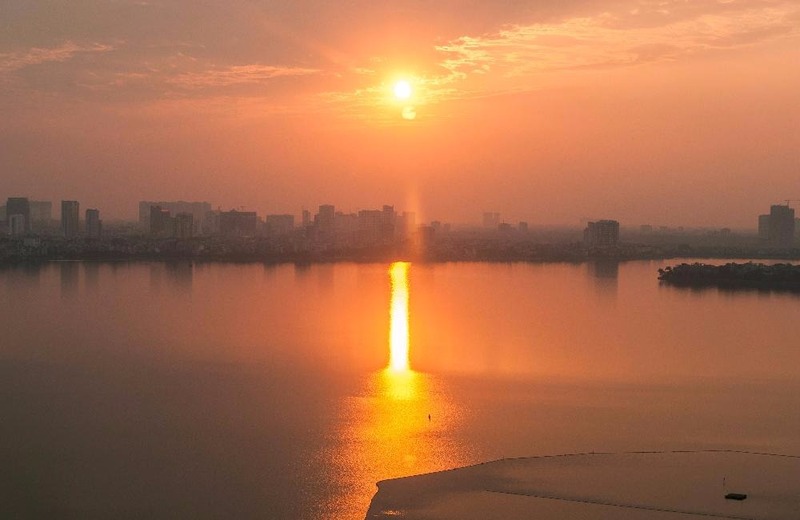 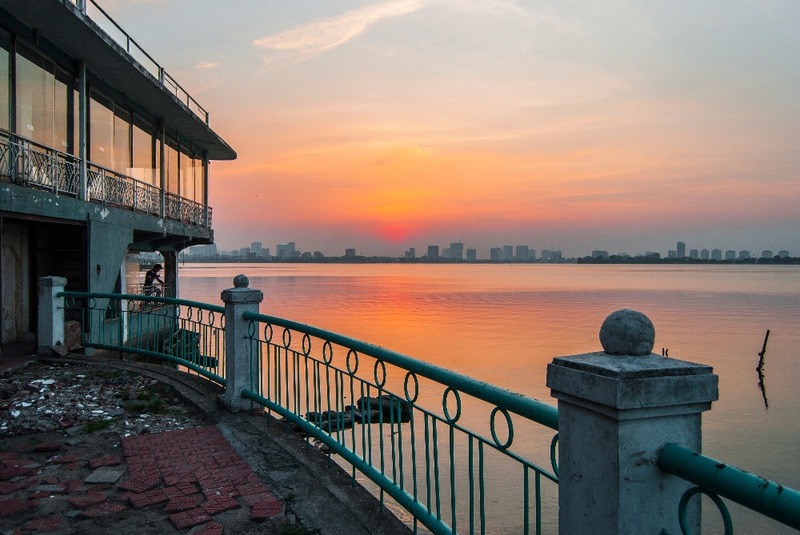 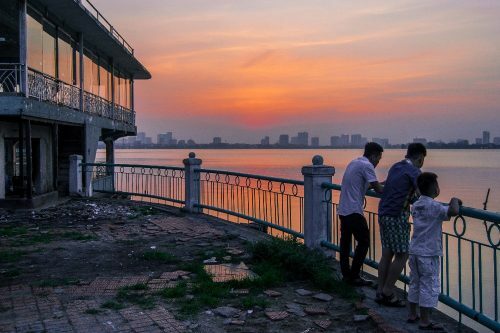 The women’s museum, the west lake, the Lotte Tower observation deck, the Tay Ho district and the Long Bien bridge are all worth checking out. 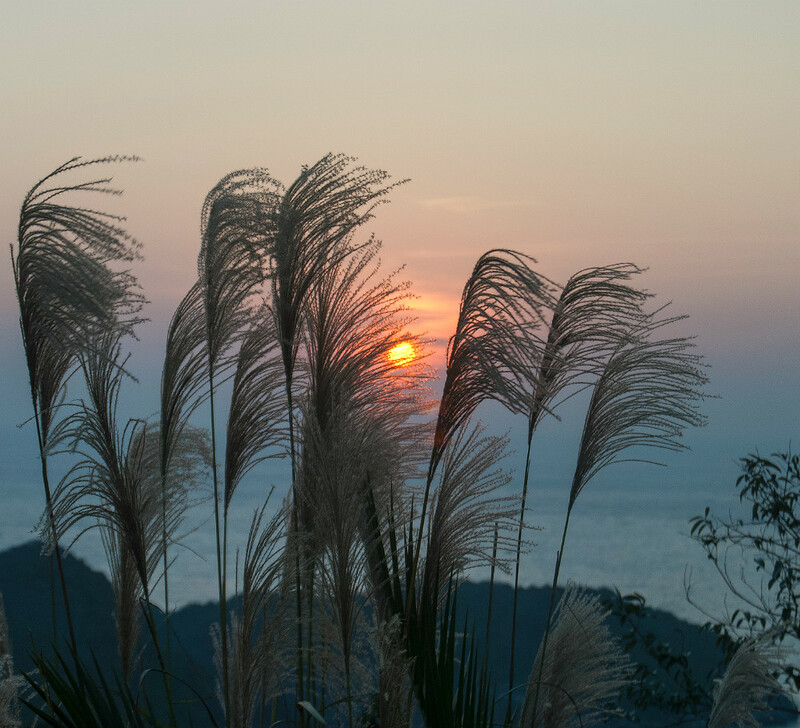 For great spots for photos, check out my pictures. 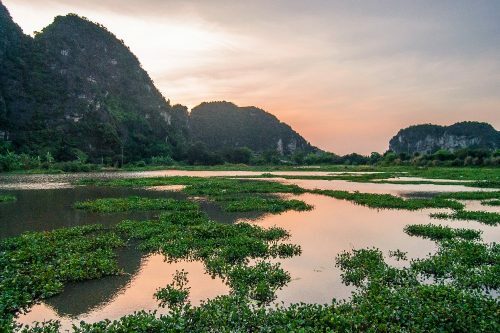 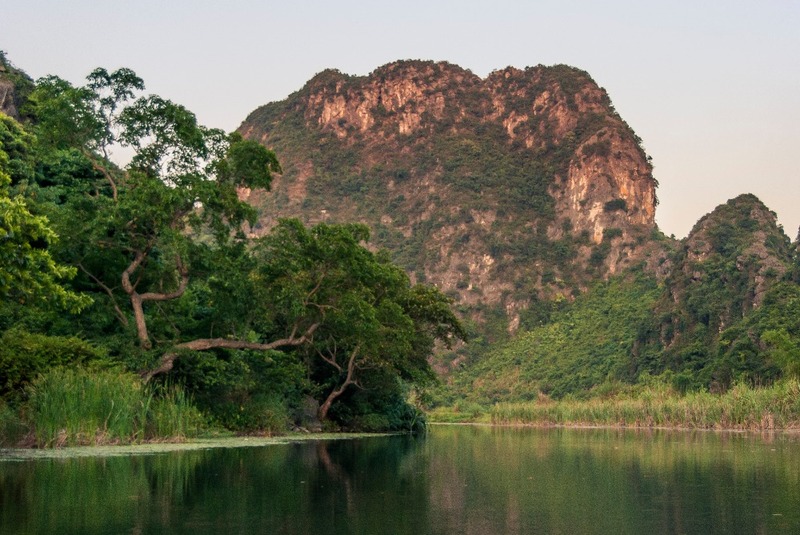 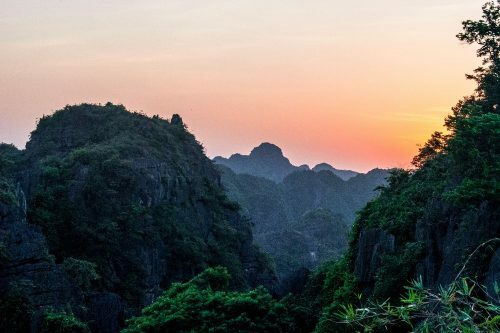 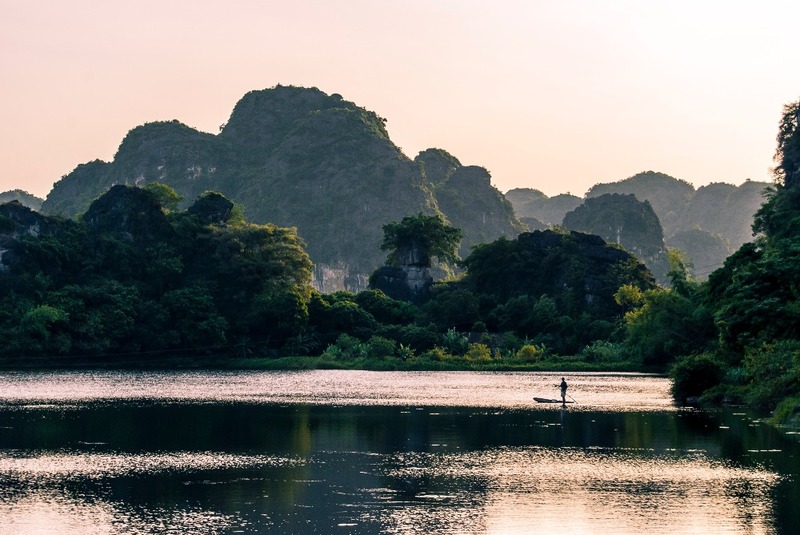 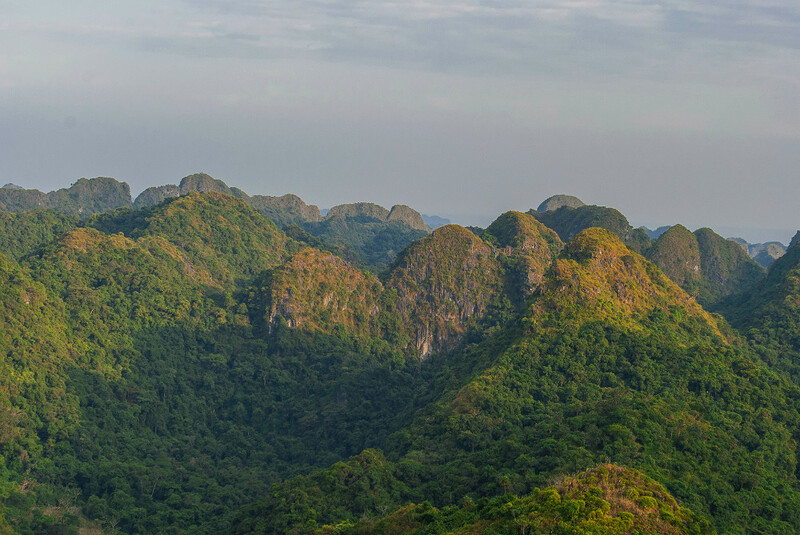 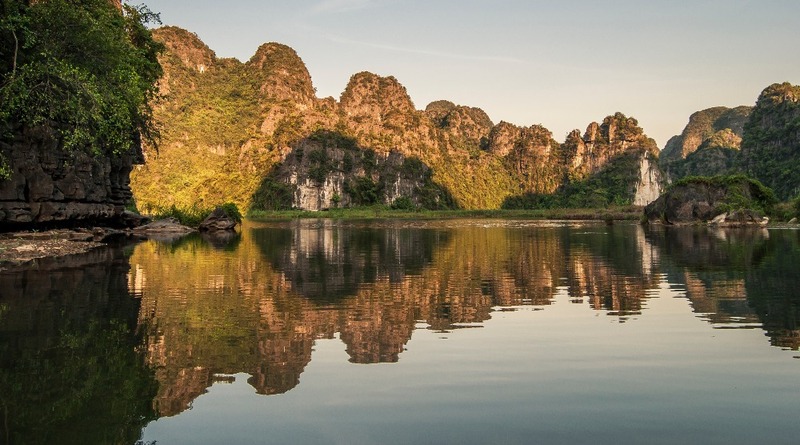 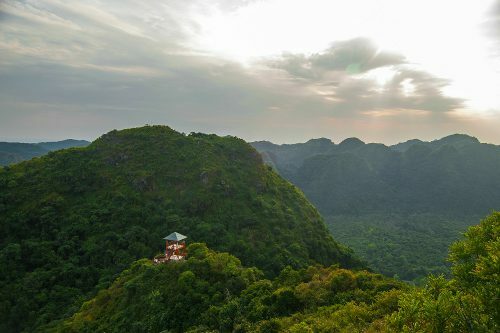 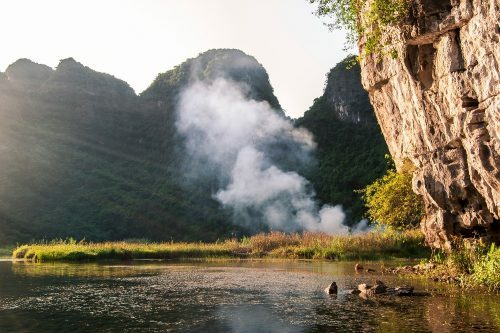 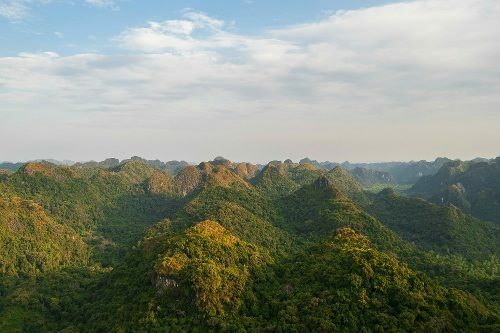 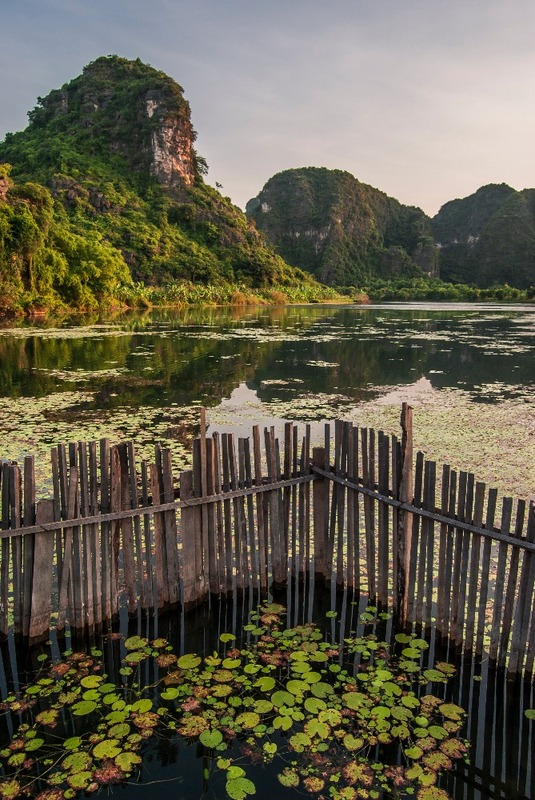 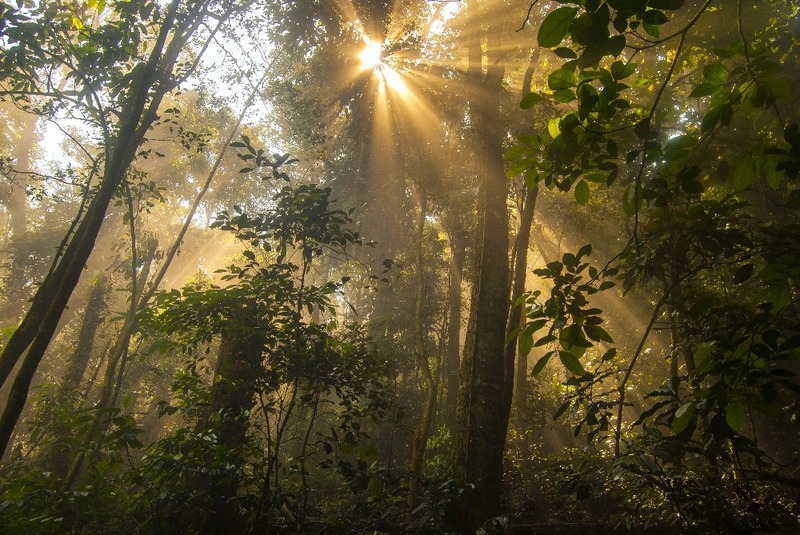 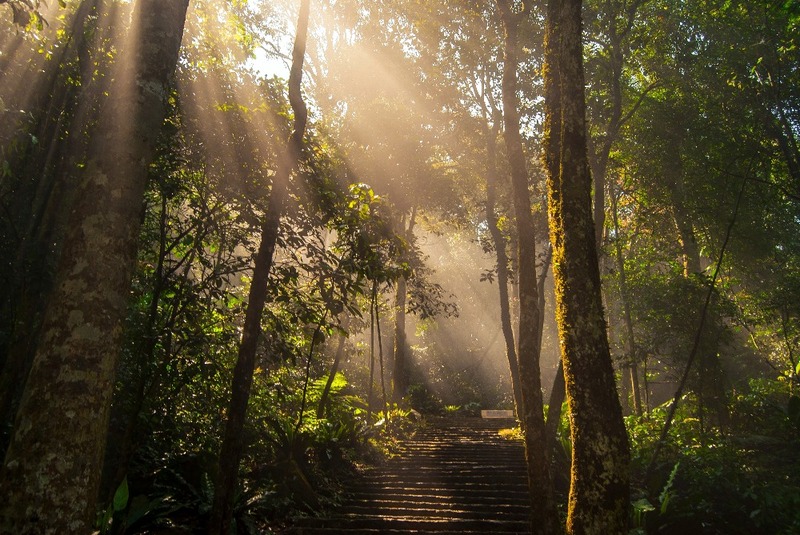 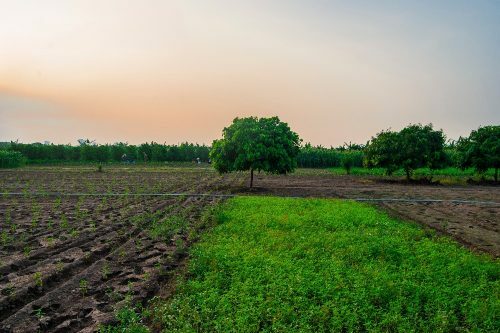 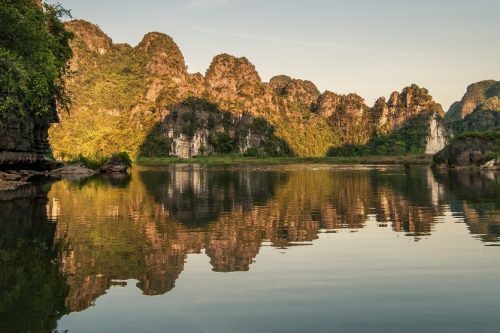 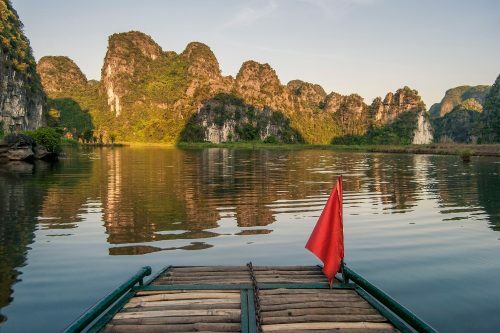 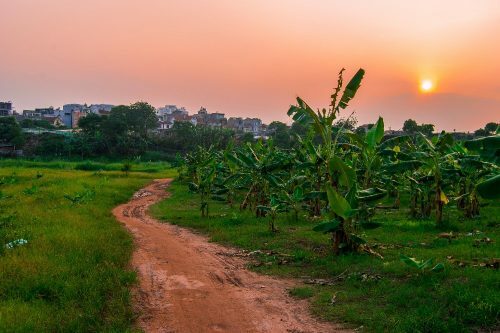 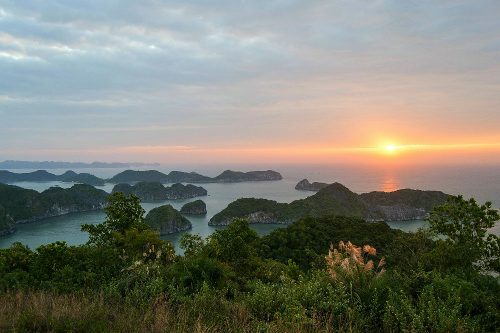 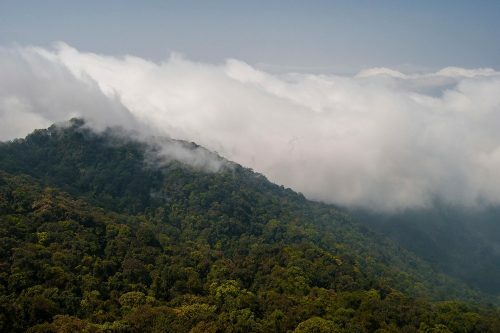 Ba Vi is a national park located just a couple hours away from Hanoi and makes for a great day trip if you want to escape Hanoi’s chaos for a short while. 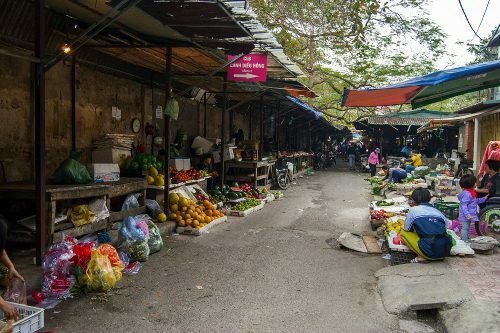 If you go on a public holiday like I did, expect the place to be extremely busy as it is a popular destination for locals. 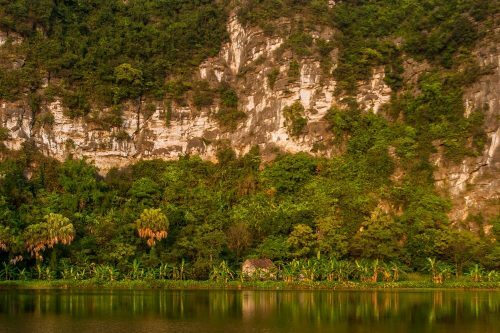 You can also go camping near the lake located at the bottom of the mountain if you have some extra time to spend in the area. 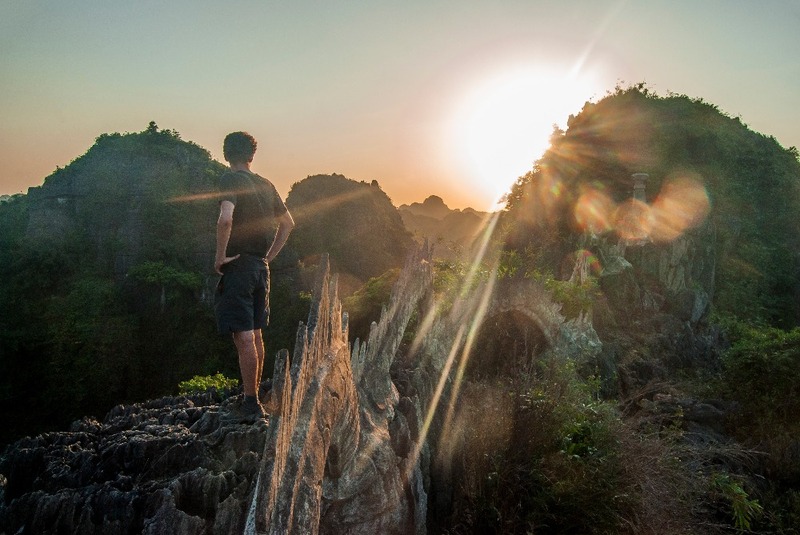 If you’ve got limited time to spend in Vietnam, I do not recommend going to Ba Vi since you’ll find much more impressive scenery elsewhere. 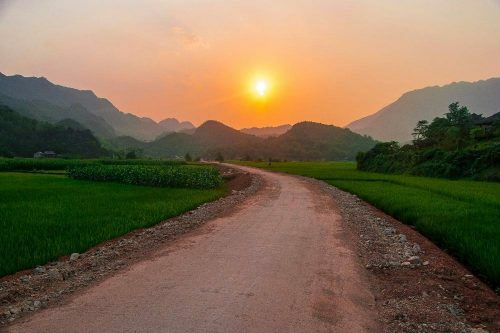 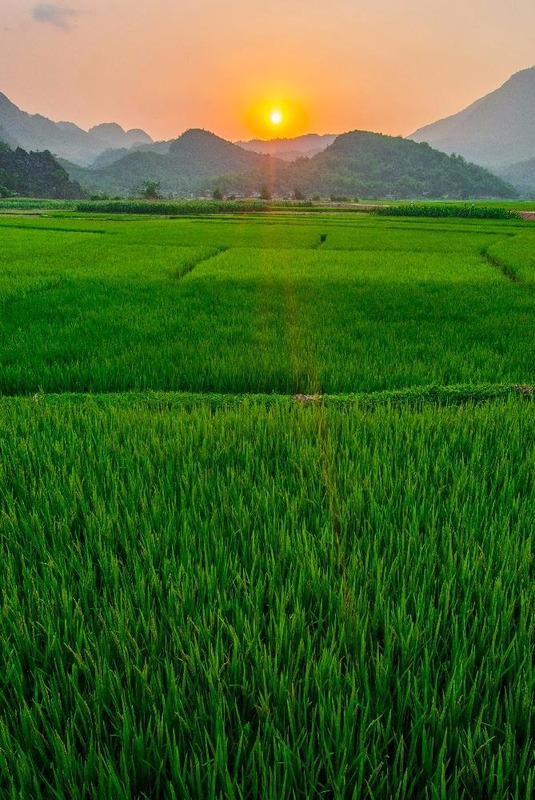 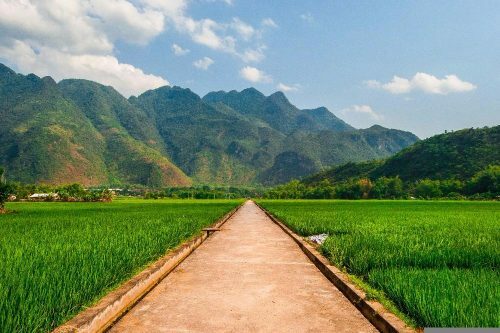 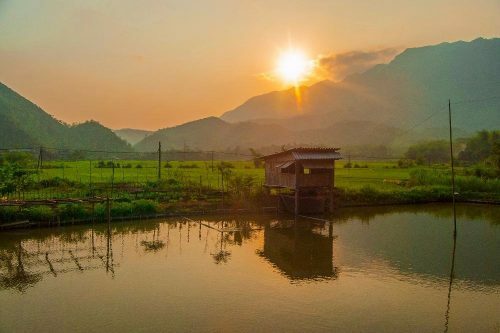 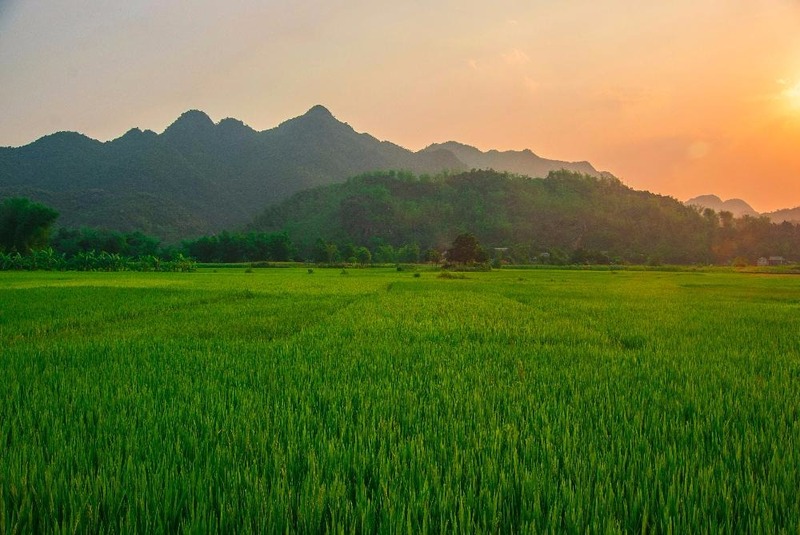 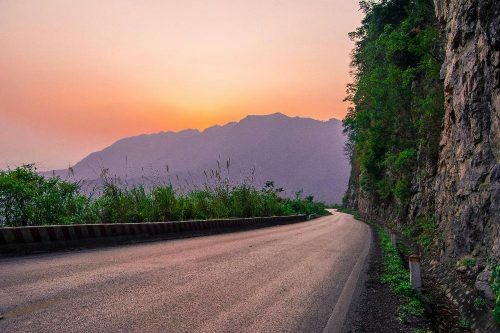 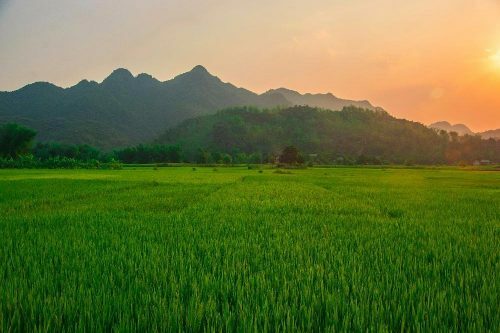 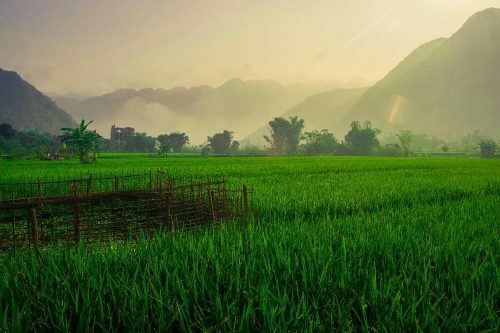 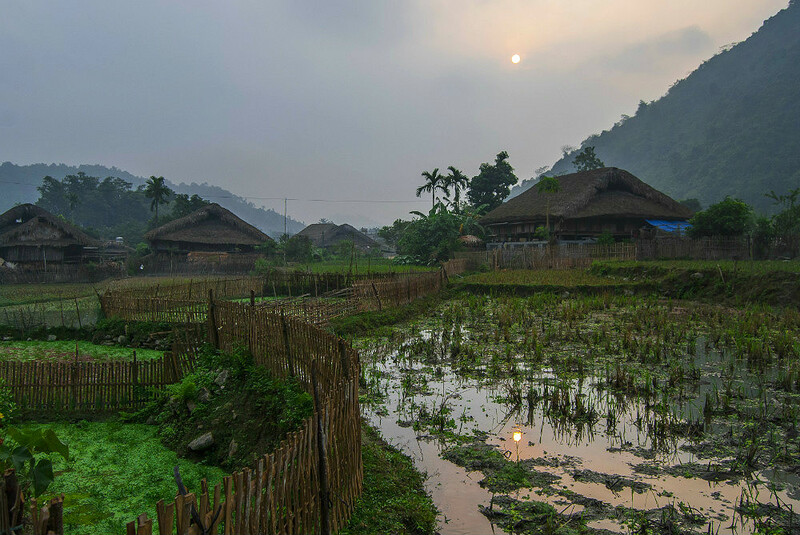 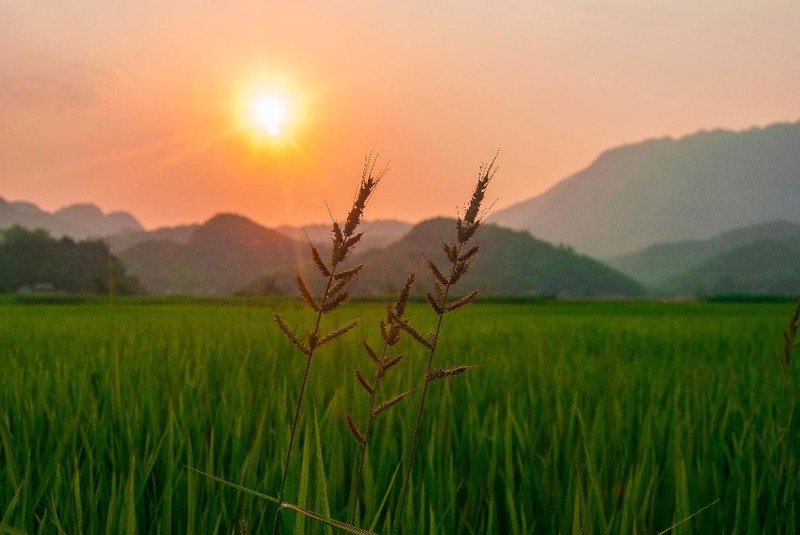 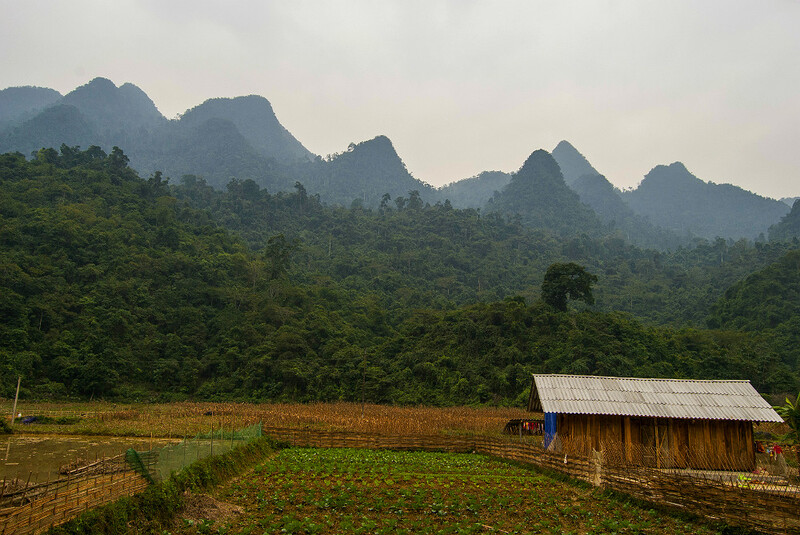 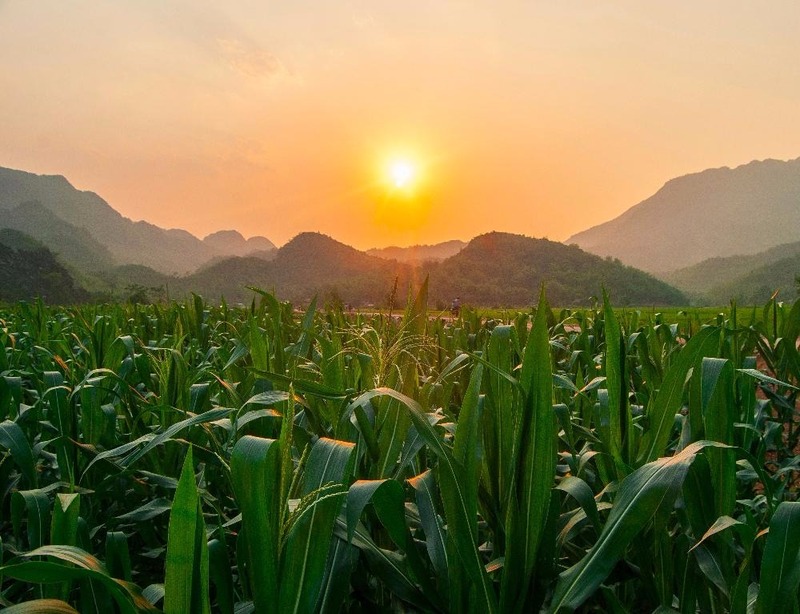 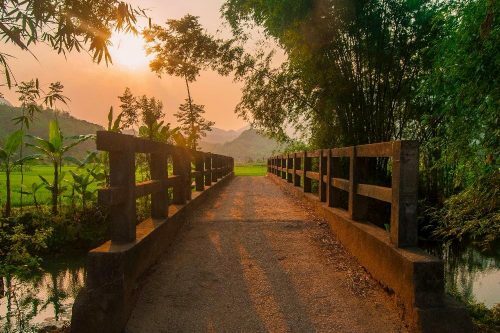 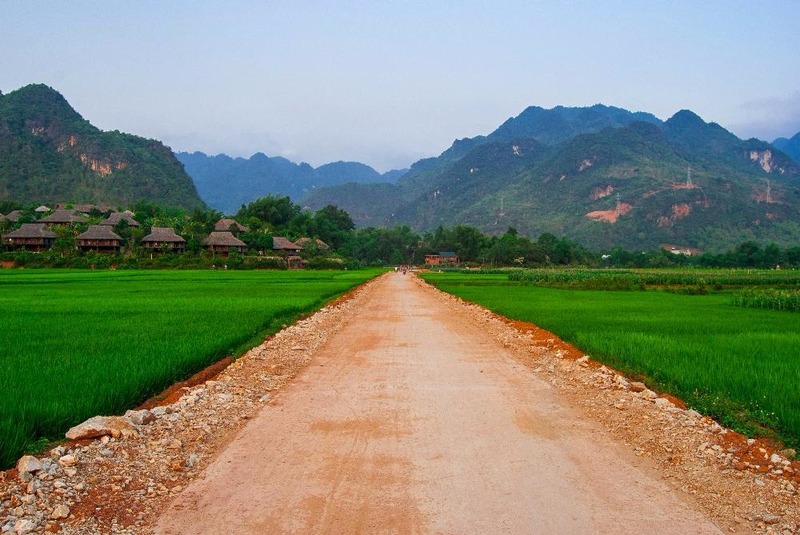 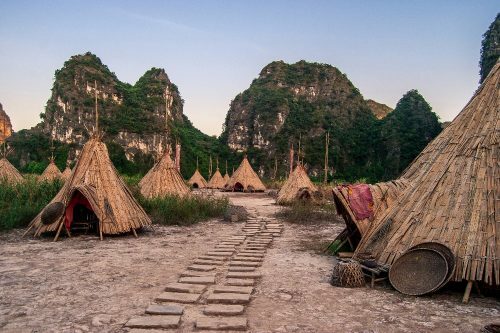 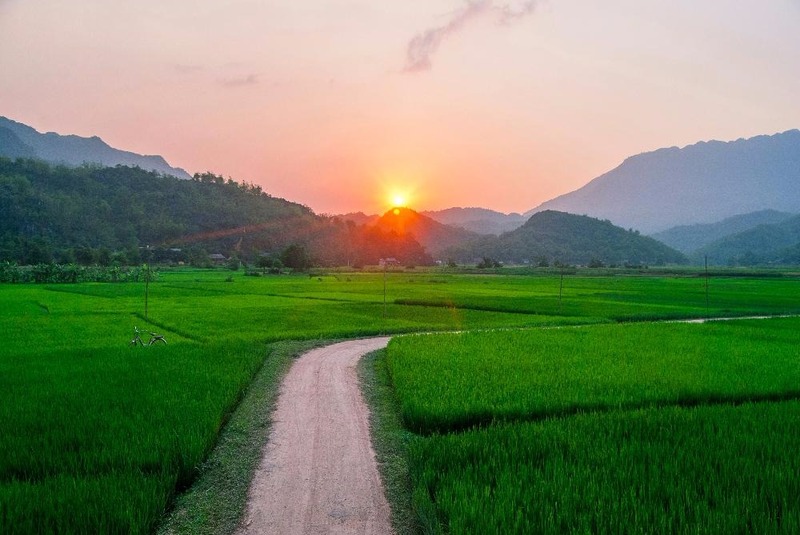 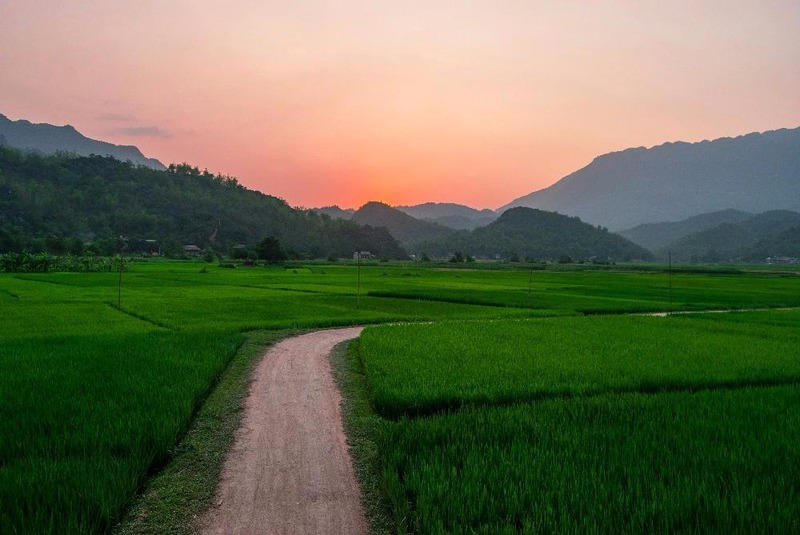 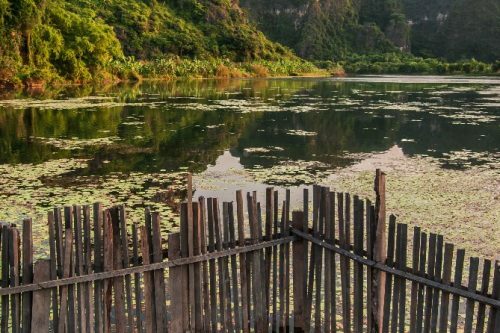 If you still have some time to spend around Hanoi after visiting Halong Bay, Sapa / Ha Giang and Ninh Binh and need a place to relax, Mai Chau is a great option. 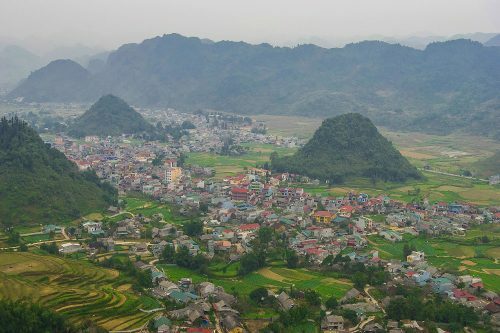 The small town is located in the mountains a few hours away from Hanoi and makes for a wonderful motorbike weekend road trip destination. The lush rice paddies surrounded by dramatic mountains will give you plenty of great photo opportunities. 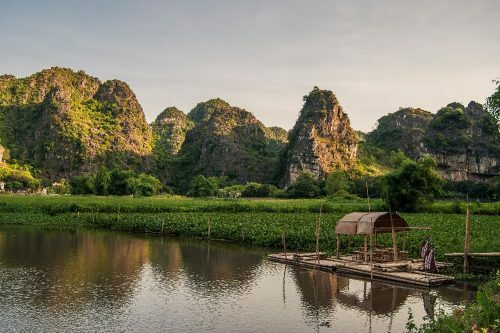 While there isn’t that much to do in town, you can take a couple days to cycle around, walk through the fields and hangout by the pool at the eco-lodge resort. 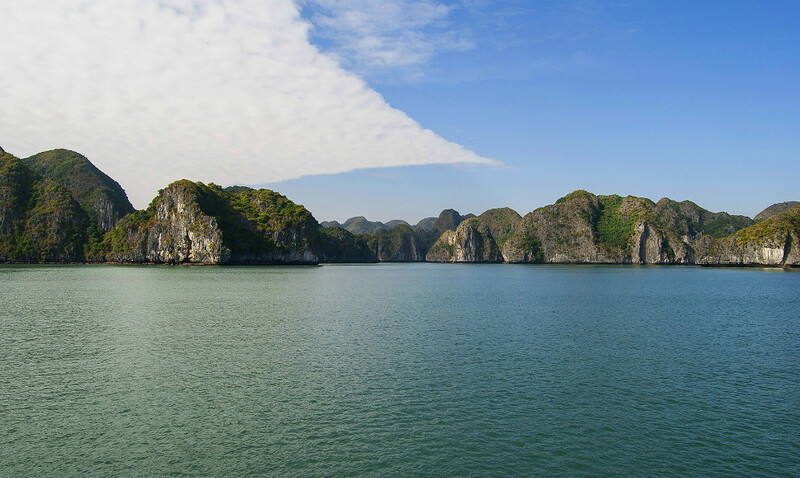 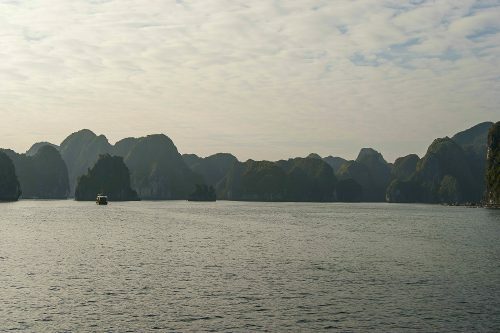 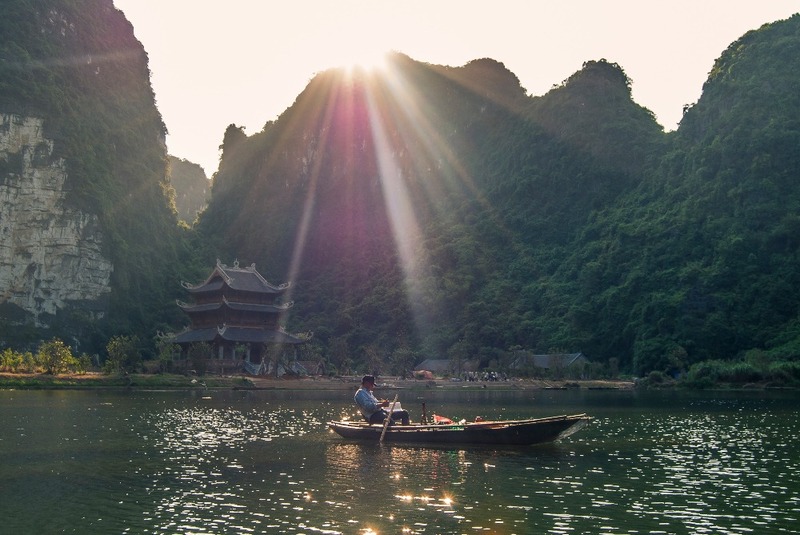 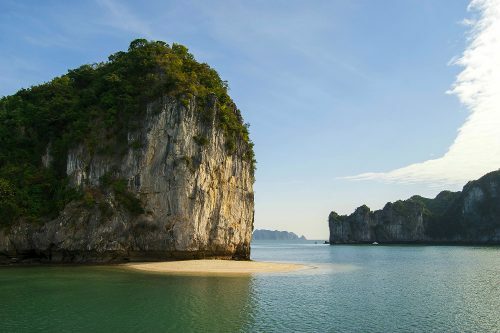 No wonder why Halong Bay is Vietnam’s biggest tourist attraction : it is absolutely stunning. Visiting the area has been one of the definite highlights of my trip, so much that I went back a month later because I couldn’t get enough of it. 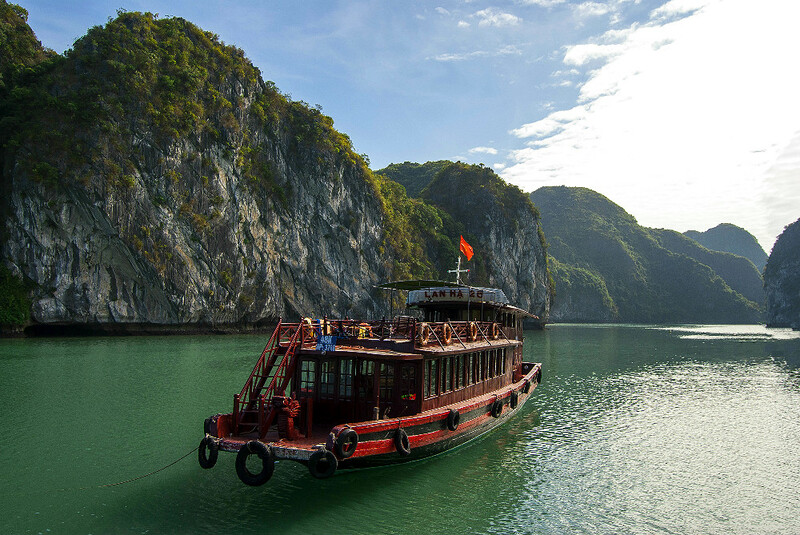 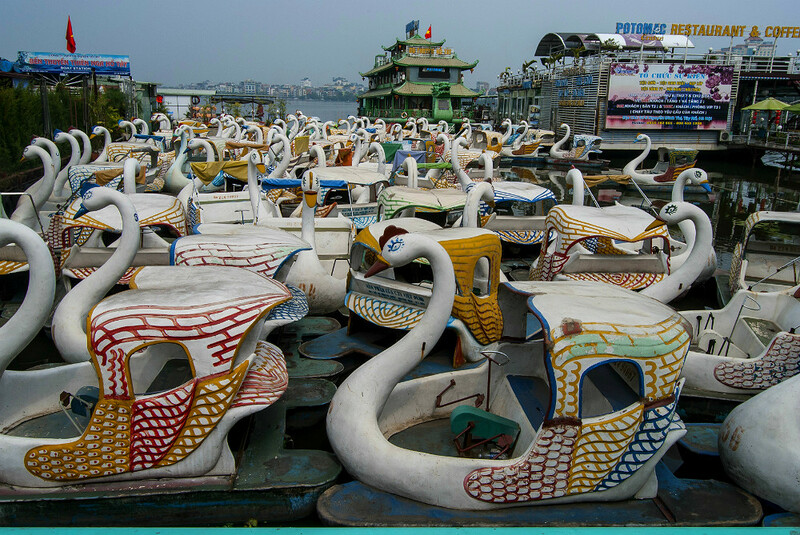 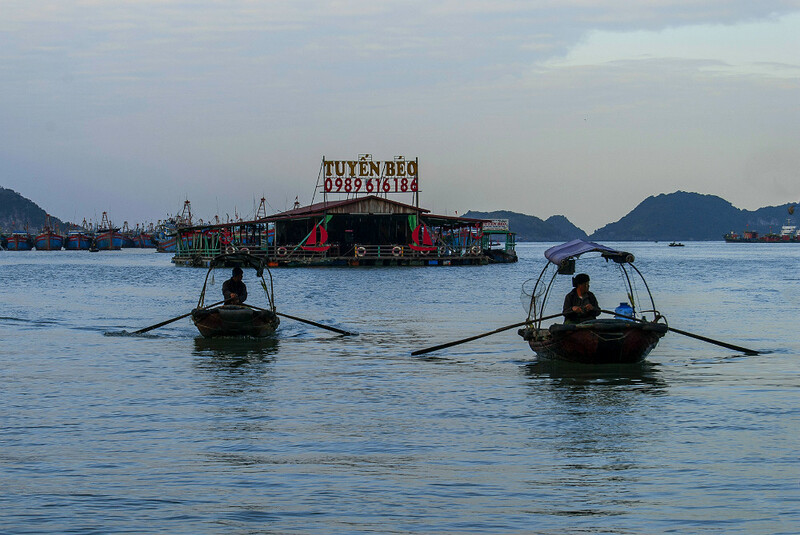 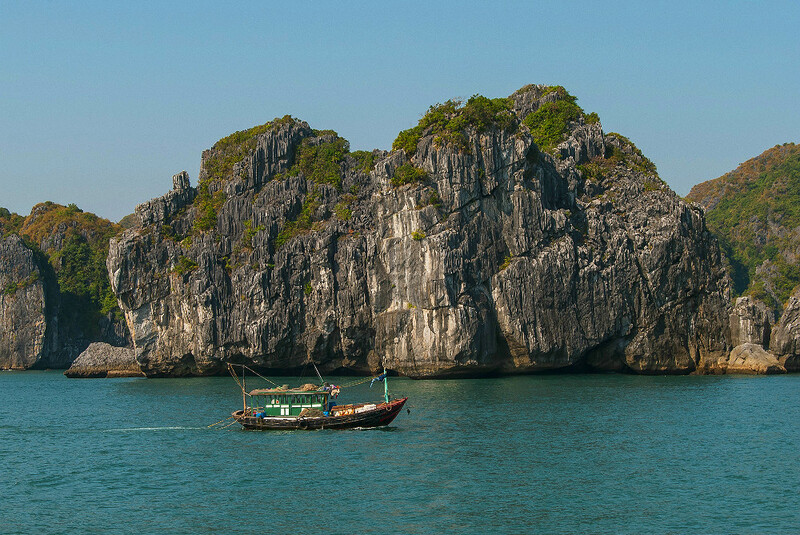 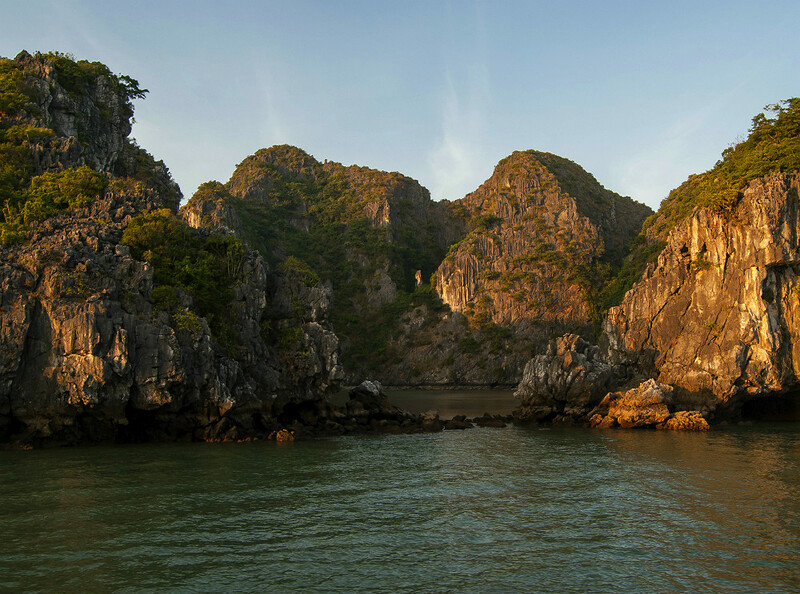 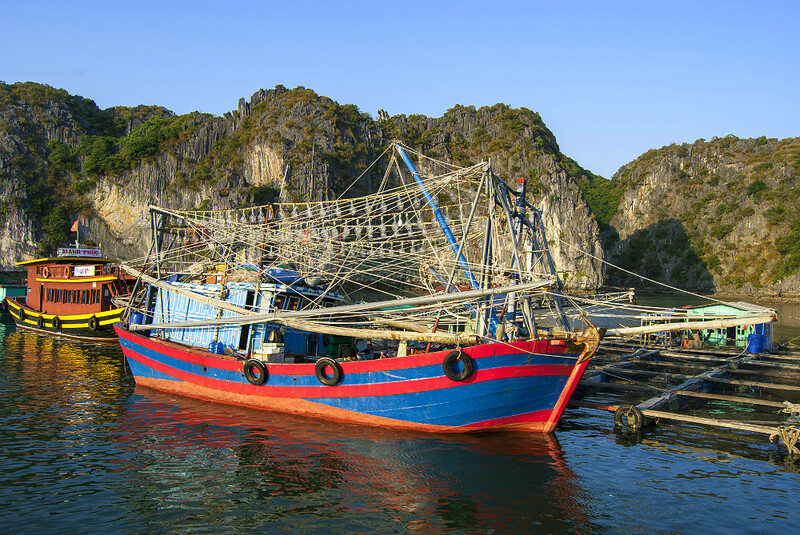 Like every major touristy attractions, organizing a boat tour in Halong Bay can be confusing and overwhelming. There are hundreds of options for you to choose from, but I strongly encourage you to go to Cat Ba Island and book a day tour from there. 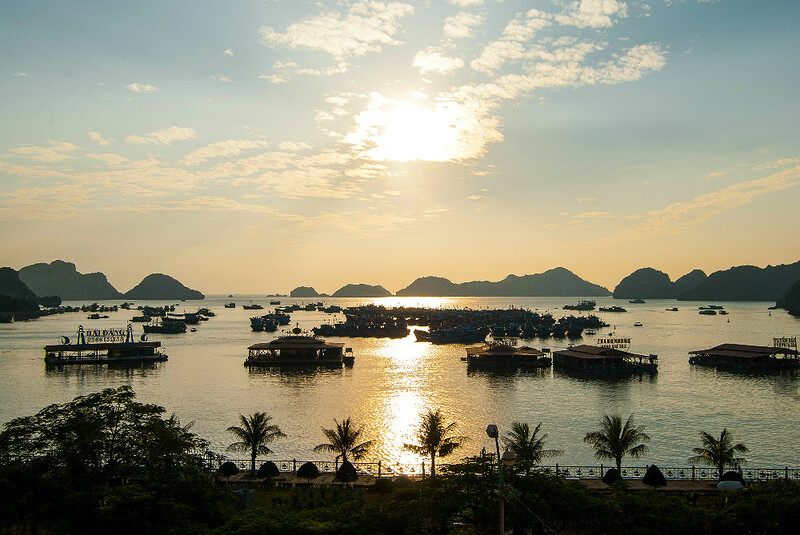 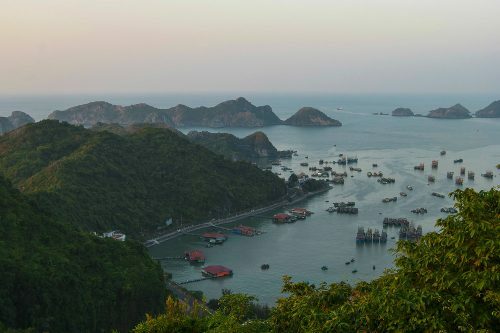 Cat Ba Island itself is absolutely gorgeous and fun to explore, and buying a day tour from there will cost you much, much cheaper than buying a package from Hanoi or Ha Long. For $15 USD, we were on the boat from 8am to 5pm, kayaked through the caves, jumped off the boat in a couple of breathtaking locations, stopped on the famous Monkey Island to get a cool panoramic view of the area and had a really decent lunch prepared by the lovely staff on board. 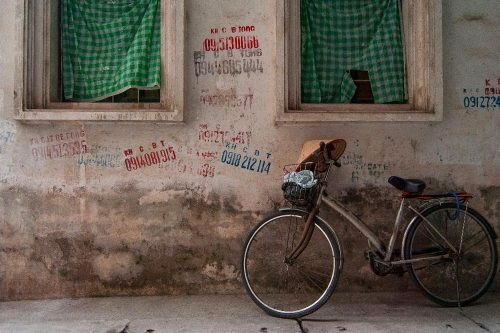 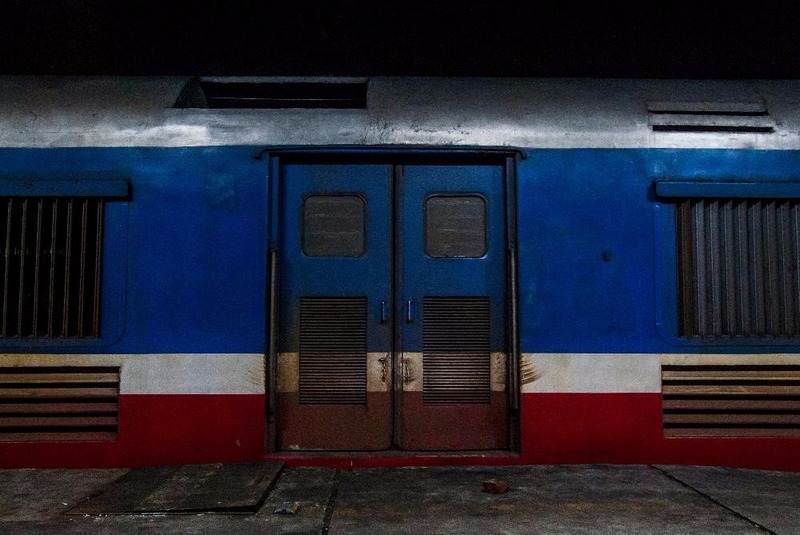 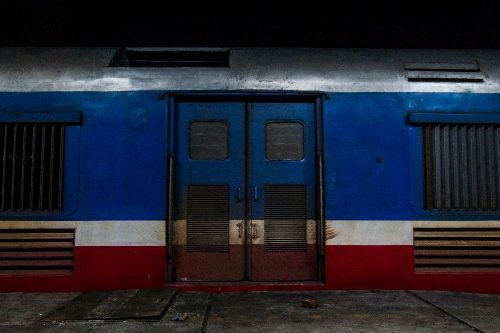 You can book that particular tour from the Full Moon Party Hostel tour desk (you might as well book your stay there as the dorms are some of the nicest we’ve had in Asia and the private rooms are ridiculously cheap). 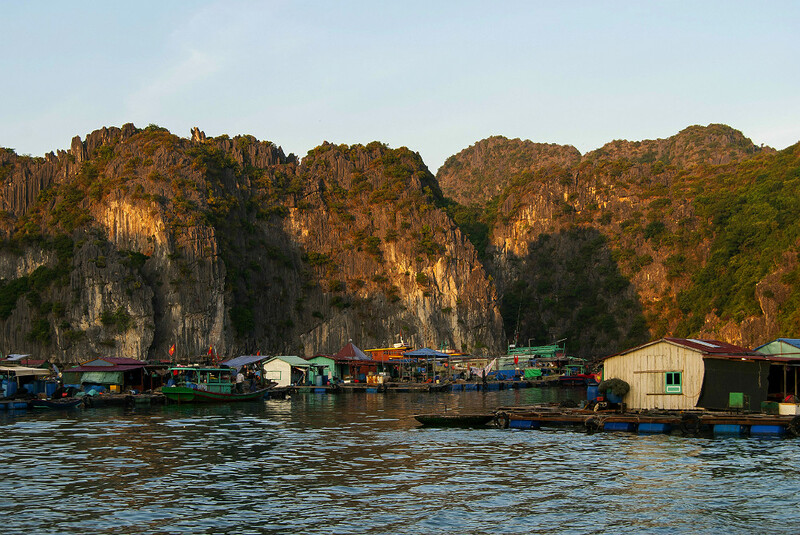 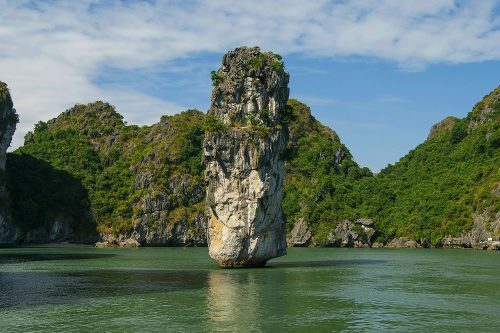 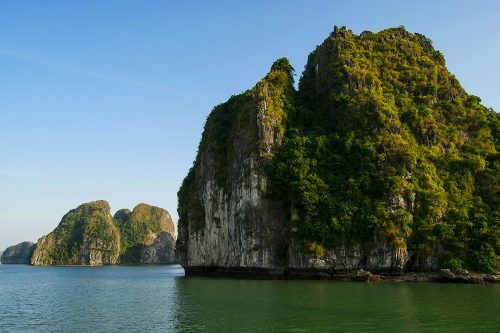 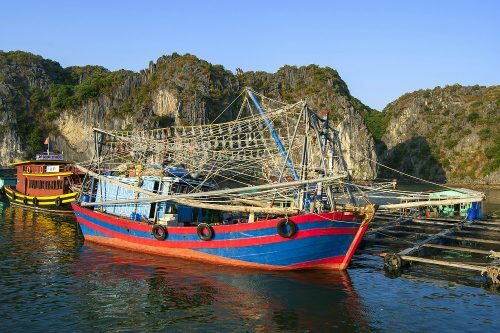 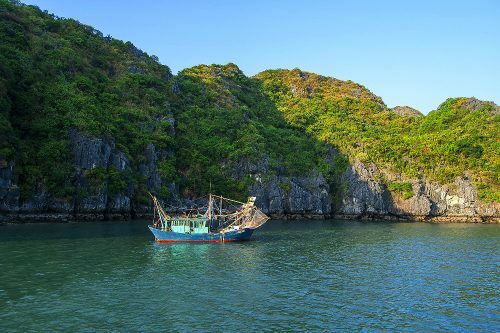 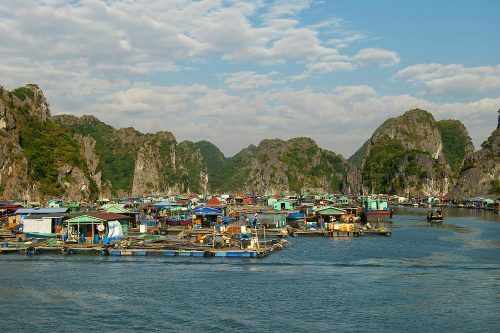 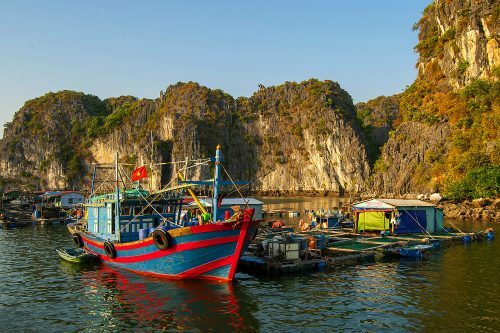 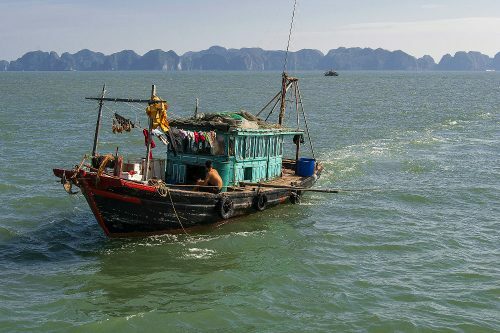 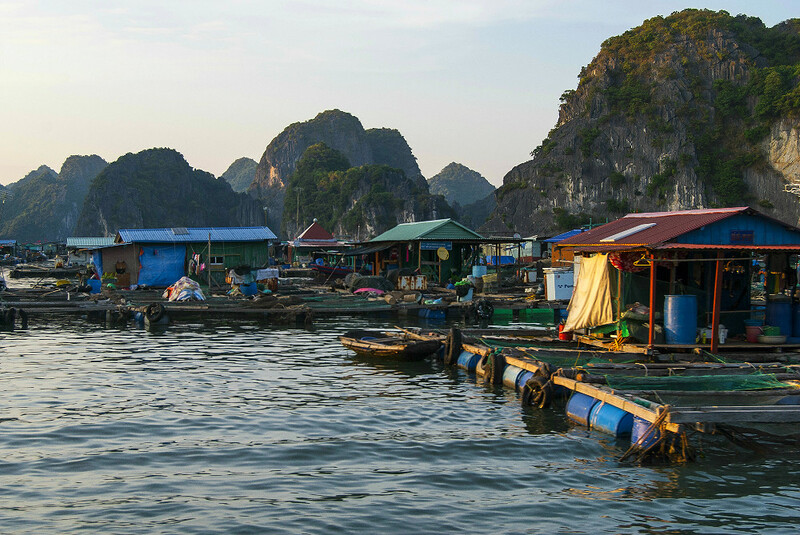 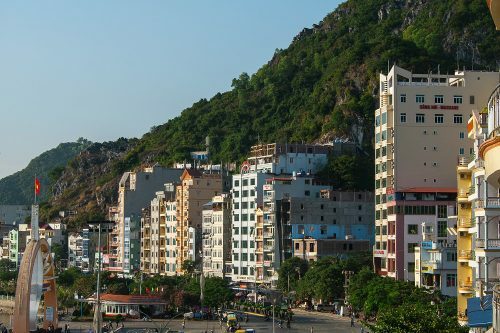 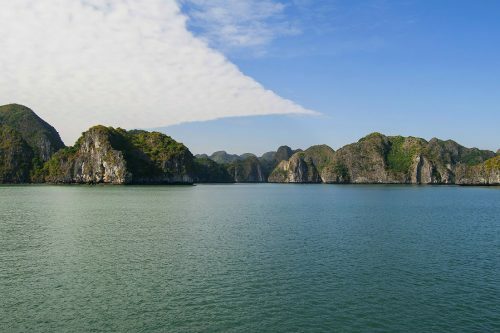 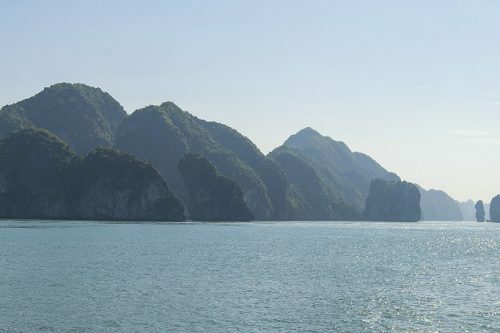 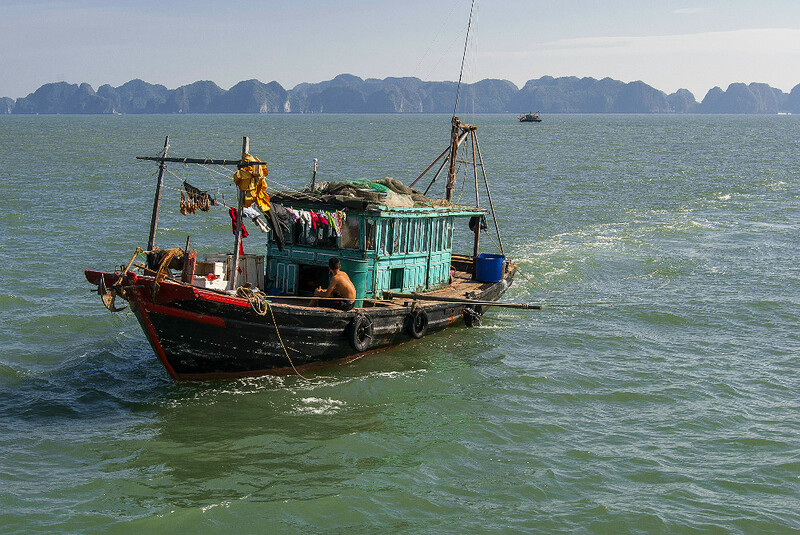 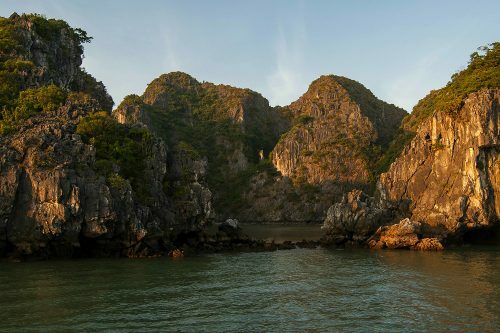 As previously mentioned, I believe people are missing out big time when they choose to go on a Halong Bay tour from Ha Long rather than Cat Ba island. 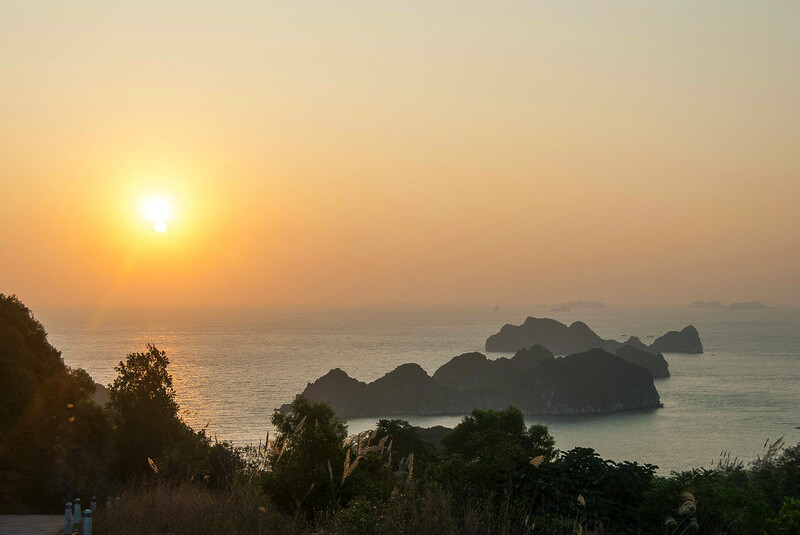 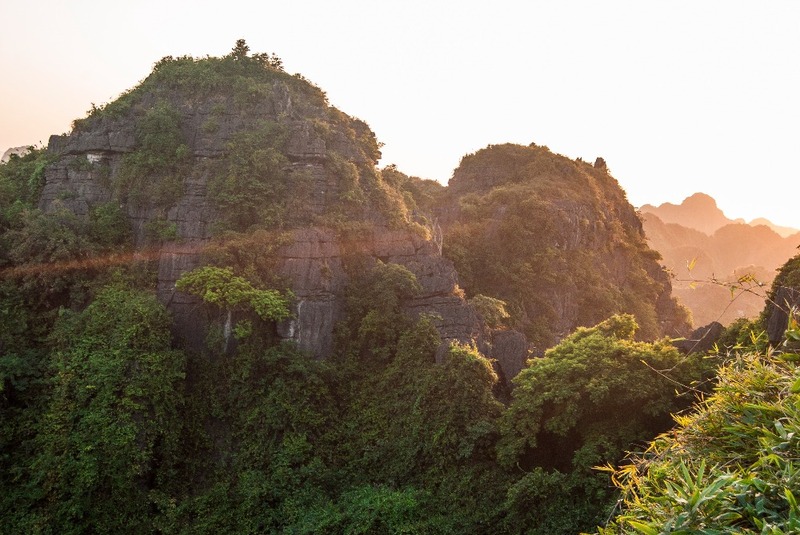 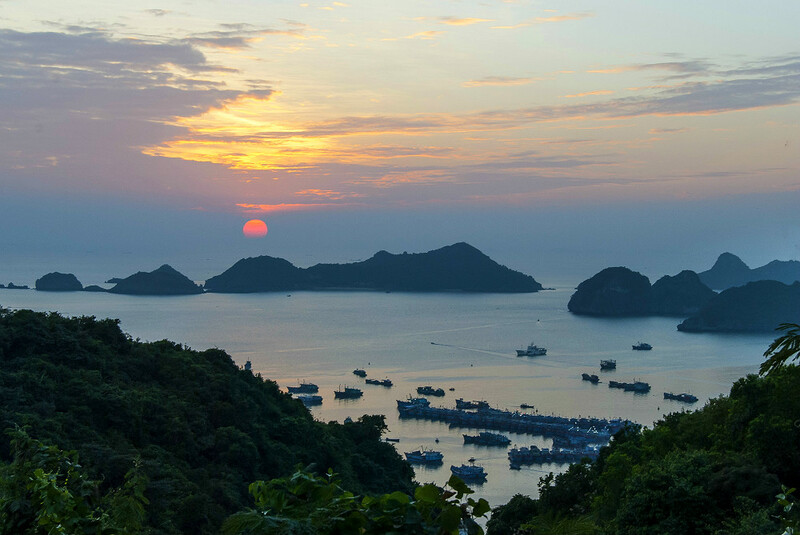 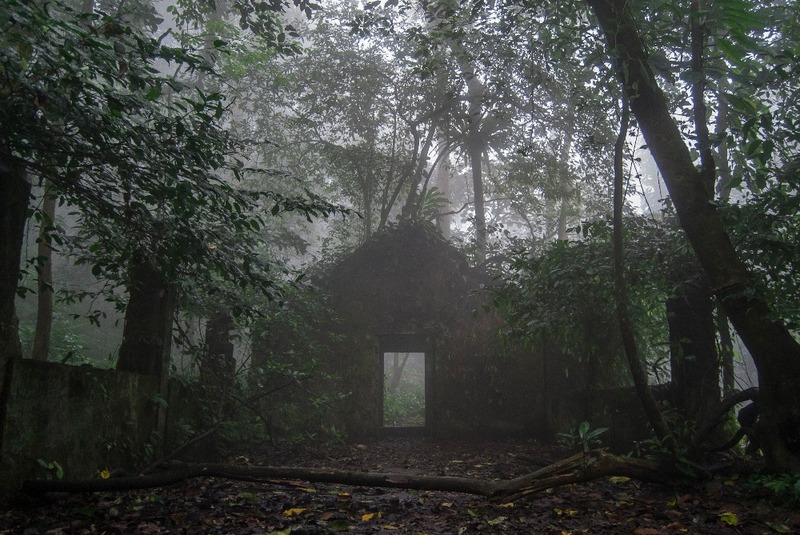 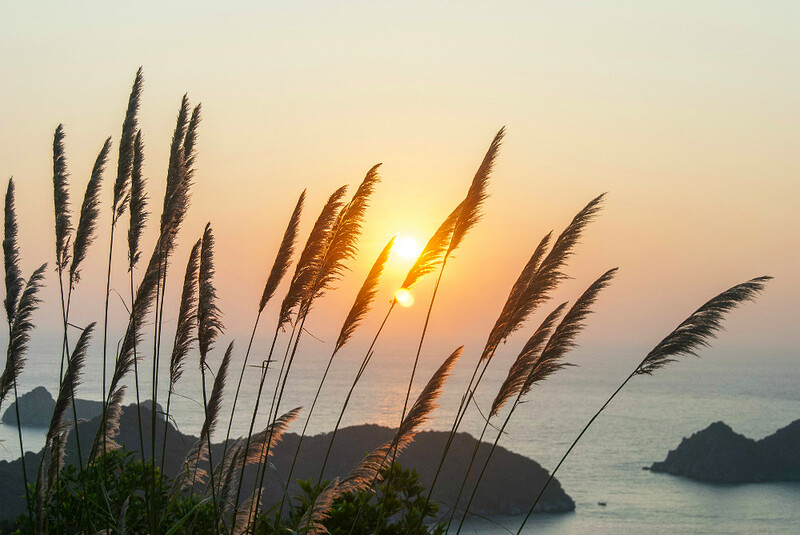 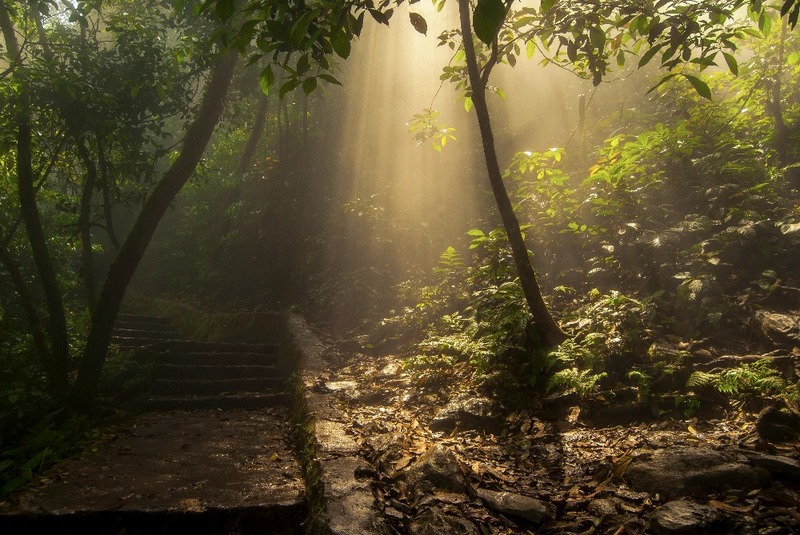 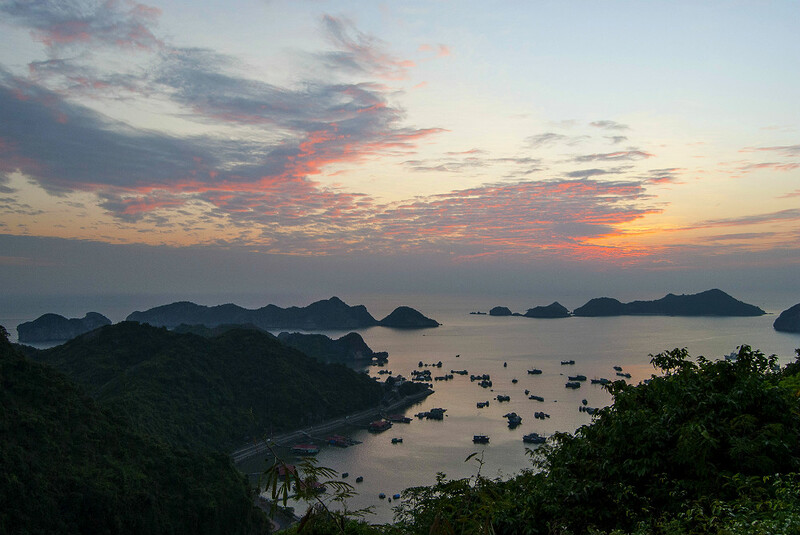 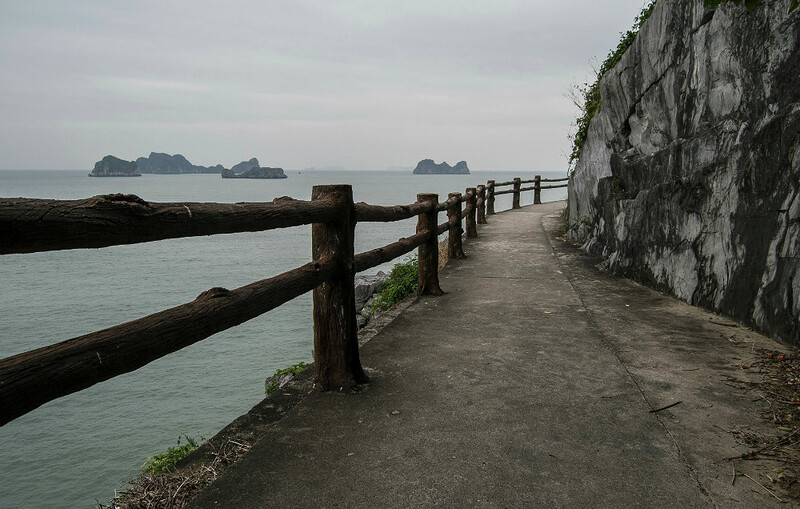 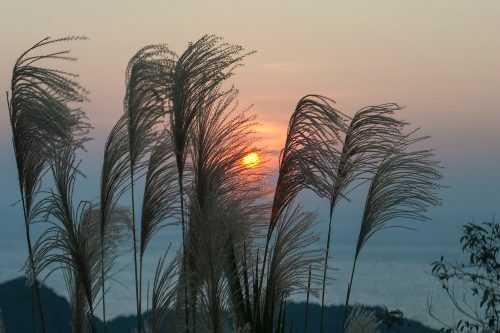 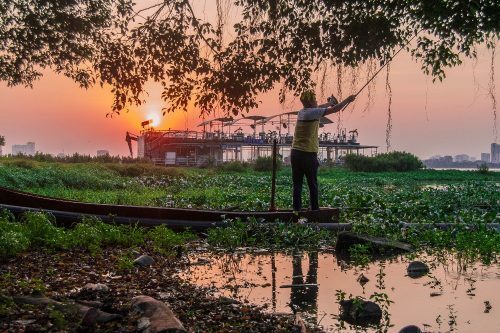 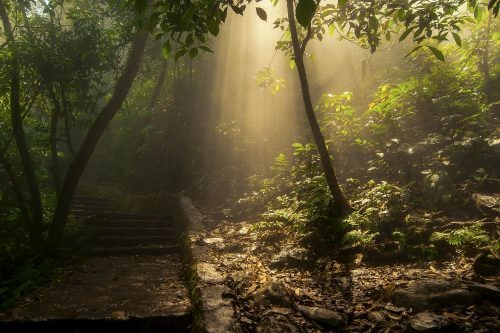 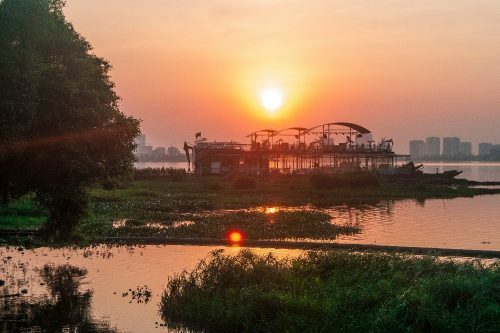 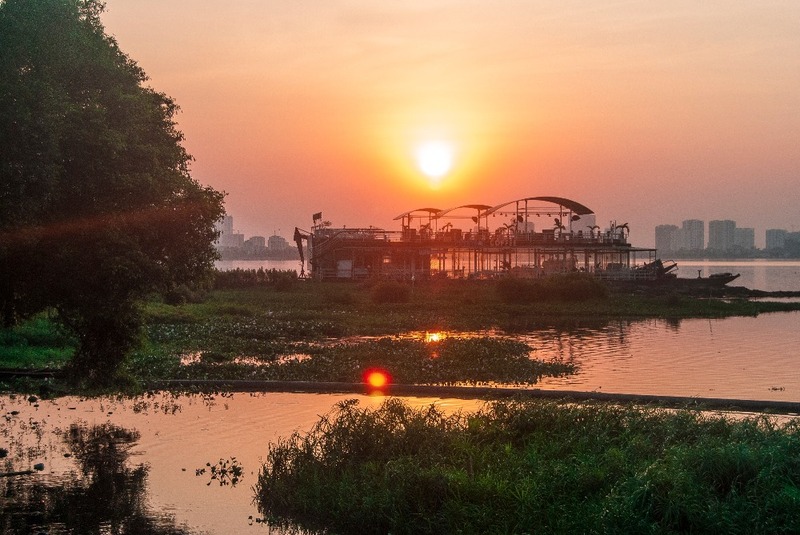 The island has many beautiful spots to explore including Canon Fort where you can catch both the sunset and sunrise or Cat Ba National Park where you can go for a short yet fantastic hike. 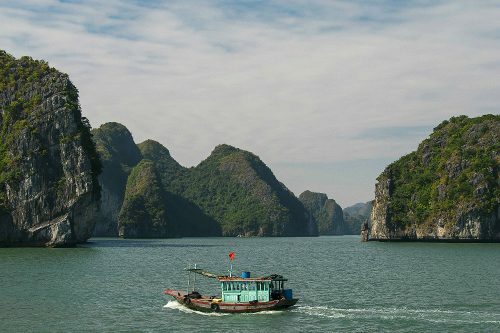 The island is quite small, though, so I believe three days there, including your Halong Bay tour, is enough. 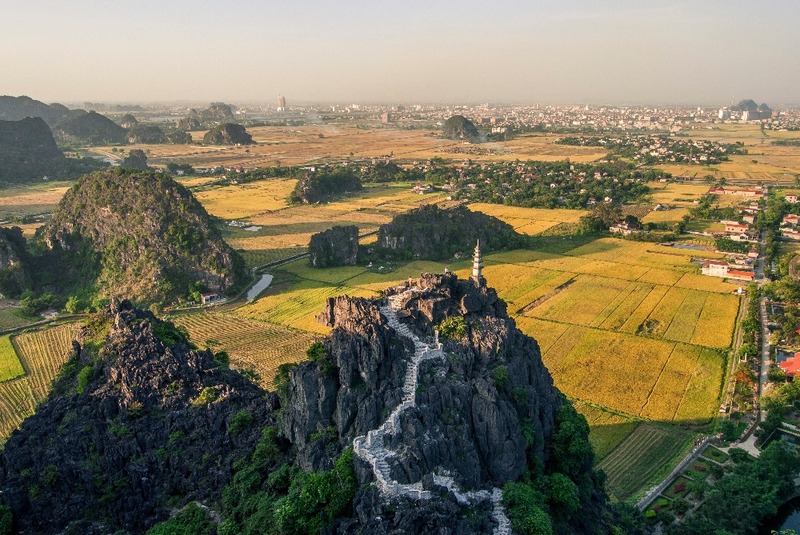 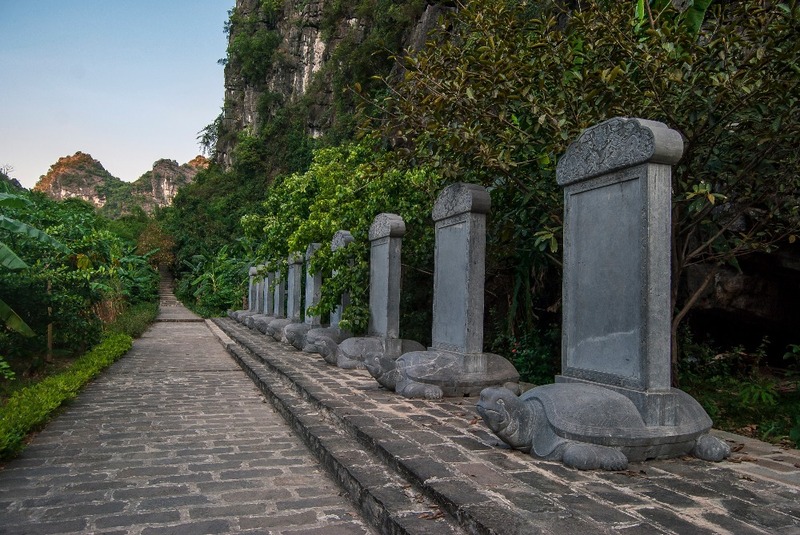 Ninh Binh is, like Cat Ba and Halong Bay, famous because of its unique, dramatic limestone formations that create amazing sights all over the region. 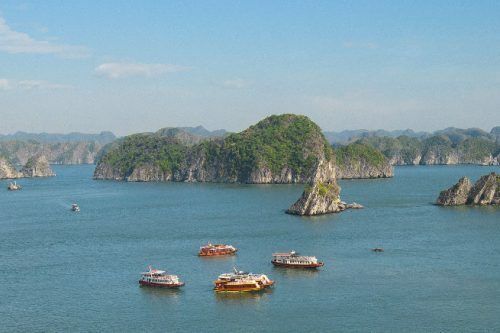 It is less touristy than Halong Bay, therefore cheaper, but also considerably hotter, especially is you visit in the summer. 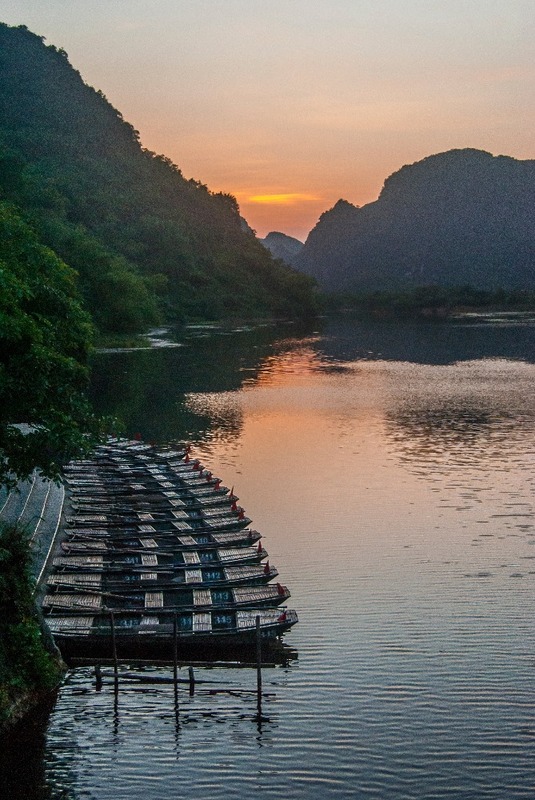 I strongly recommend going for a couple of days and go on a boat tour on the river at sunset. 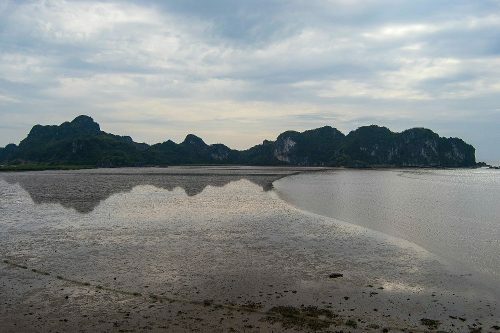 You can book directly from the main office in the national park and, in my opinion, it is absolutely worth it. 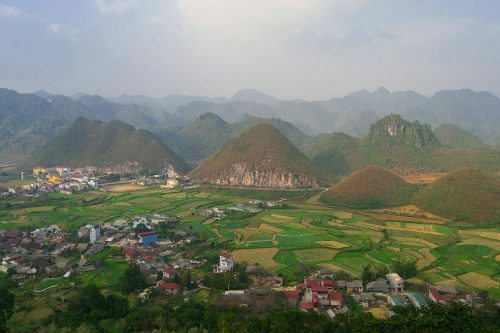 Other things you can do is ride a motorbike around, hike up the famous viewpoint up the Mua Cave or chill in a hammock at your homestay. 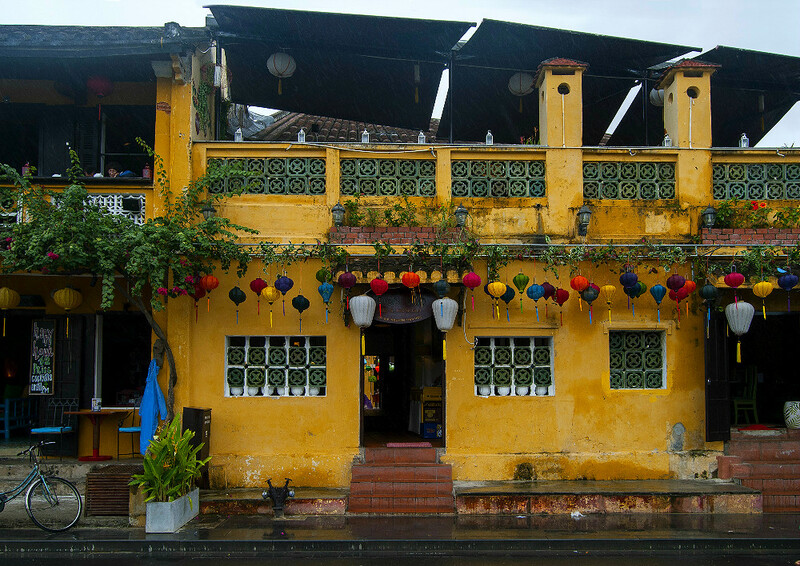 We only stopped in Hue for a day on our way up between Hoi An and Hanoi which means I can’t make many recommendations on the area. 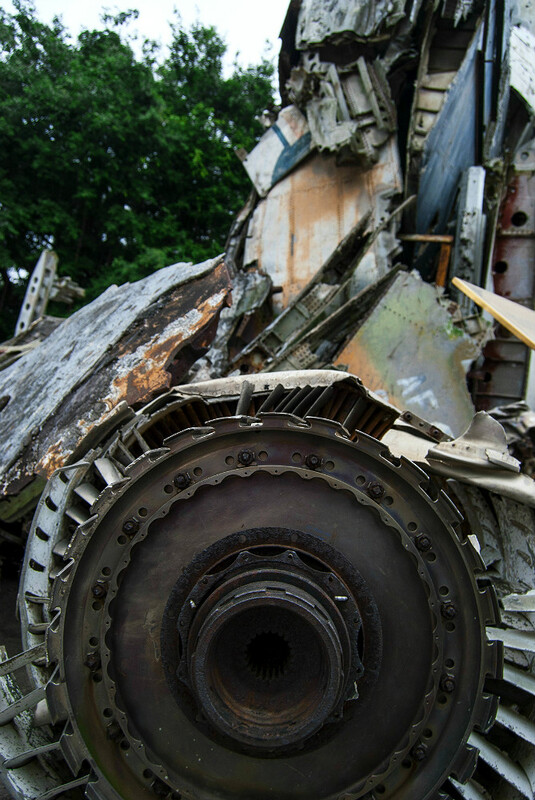 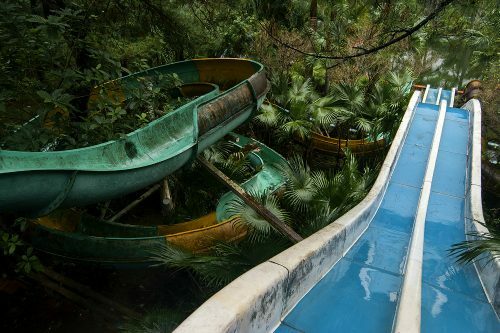 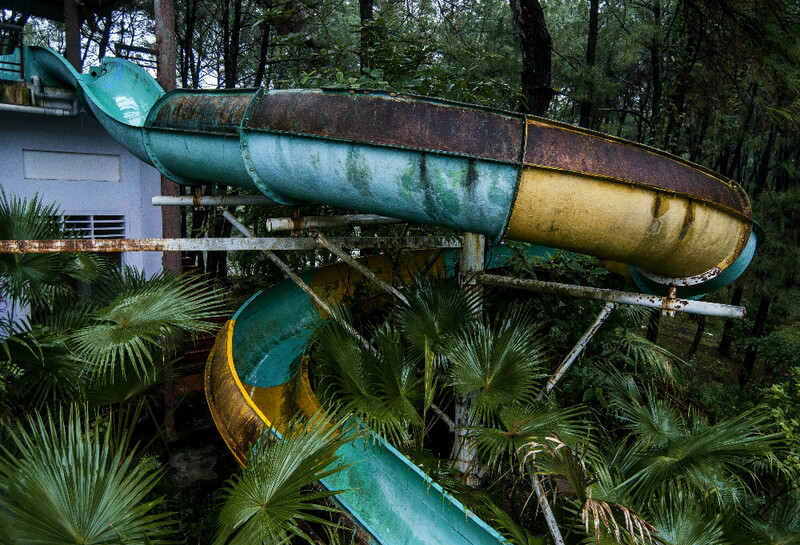 What I can tell you, though, is that you must visit the city’s abandoned water park. 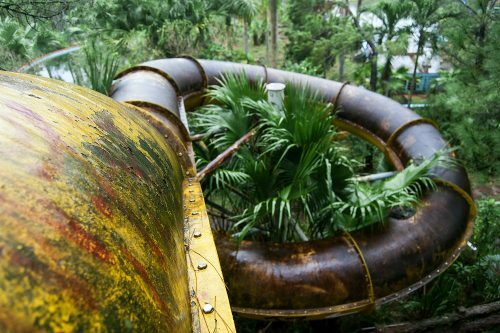 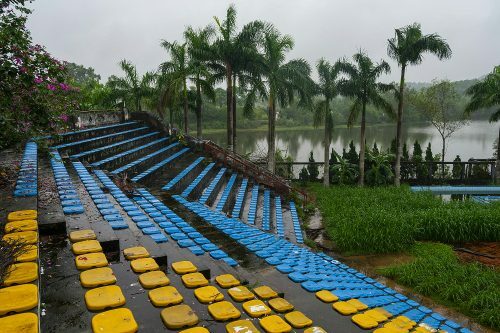 It has become more popular in the past couple of years, but we went on a rainy day and there was barely anyone else than us. 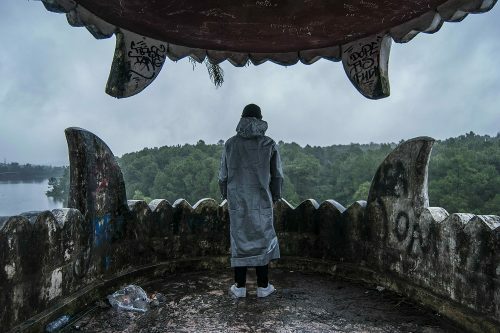 Its a true photographer’s playground, and an overcast day will definitely give you the opportunity to snap some sweet moody shots. 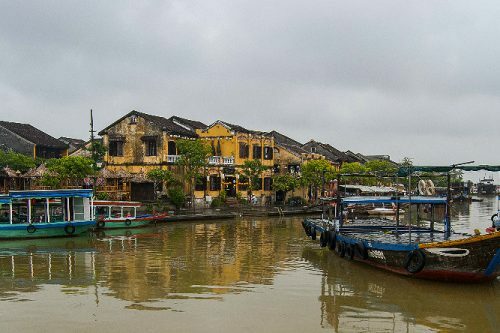 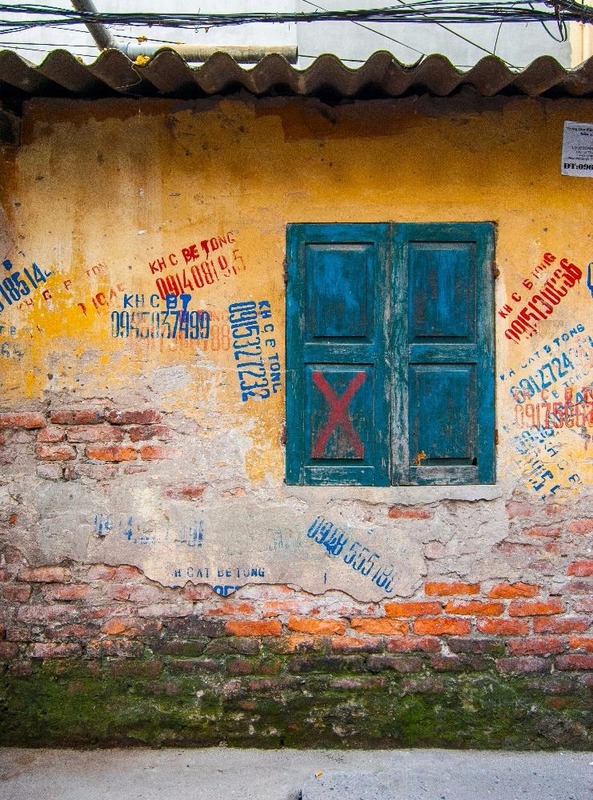 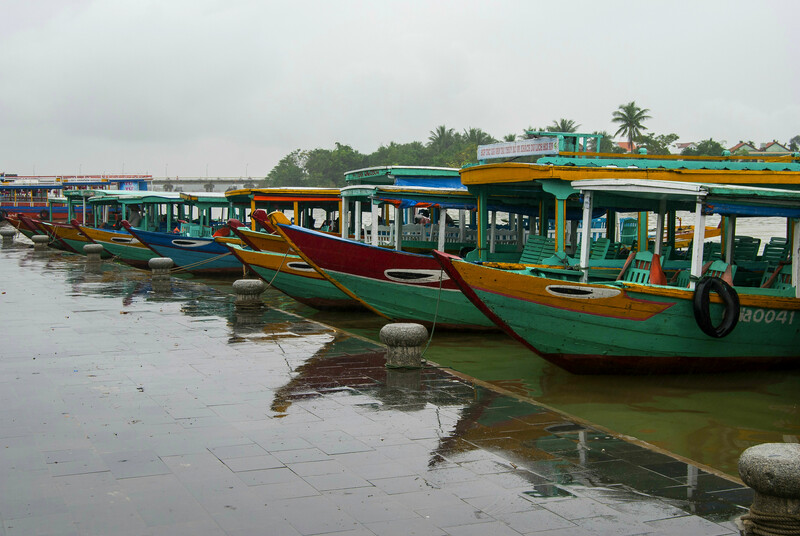 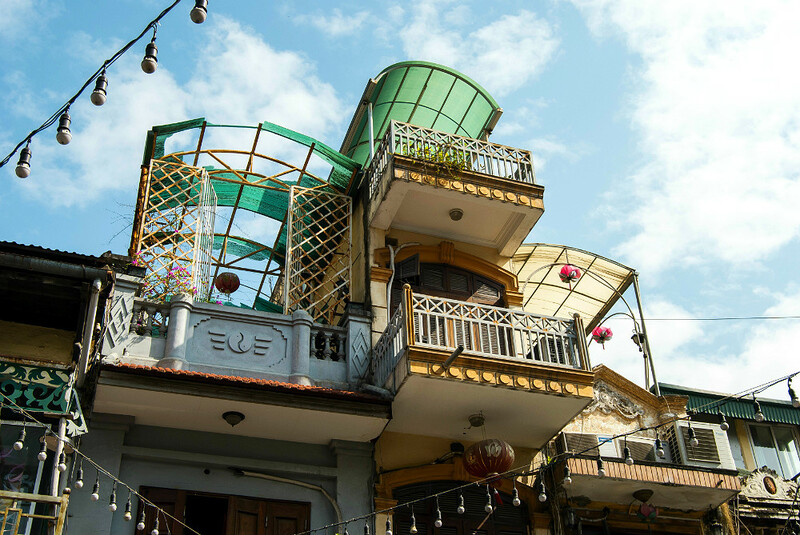 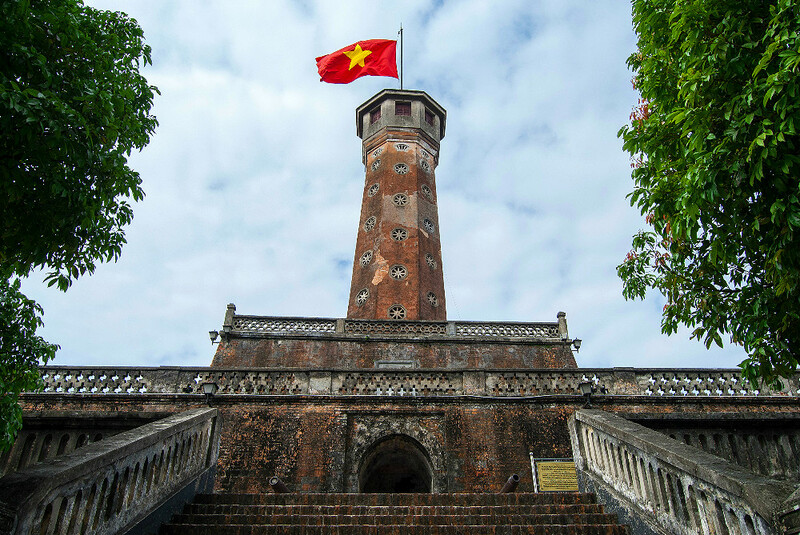 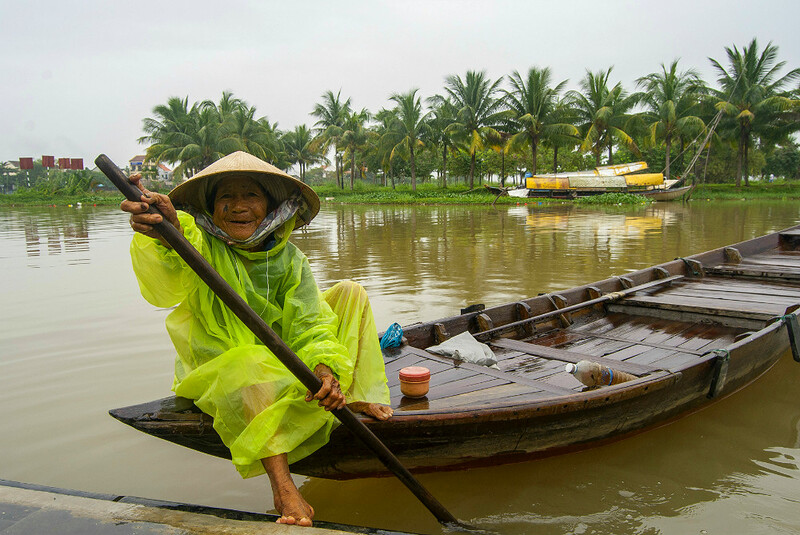 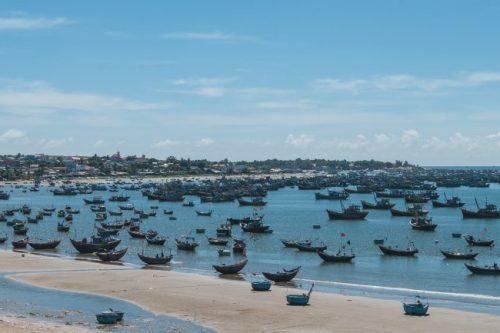 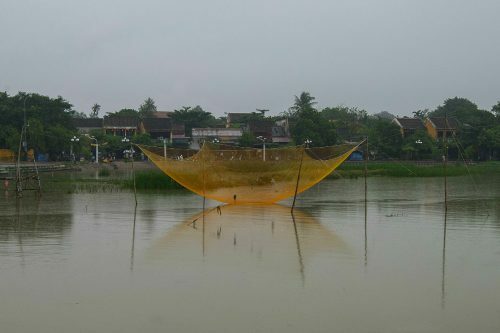 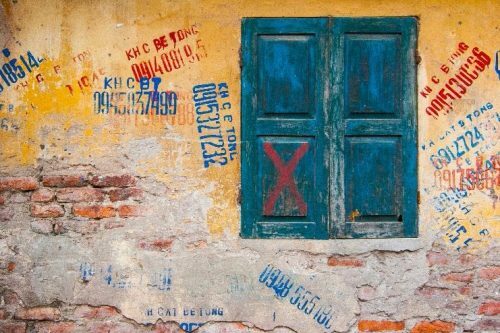 Hoi An is a culturally rich town located in the middle of Vietnam and is a popular stop for anyone who’s traveling from one end of the country to the other. 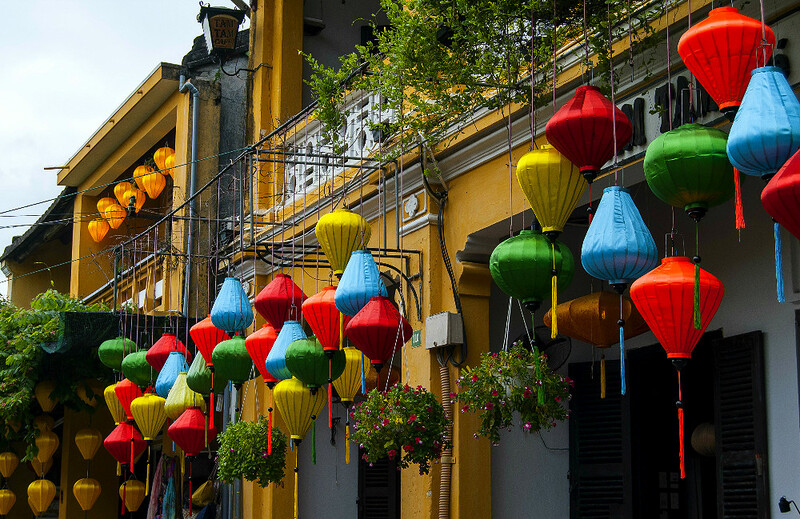 It is the perfect spot to snap some old buildings, locals at work, boats, beaches and the Instagram-classic street full of lanterns. The old town is filled with cute little stores selling all sorts of handcrafted items. 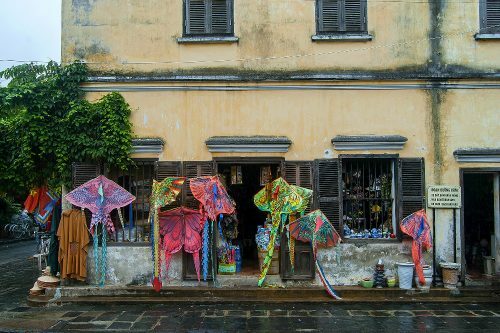 If you want to buy some gifts for family and friends, Hoi An has all you need, including a lot of silk and leather at very low prices. 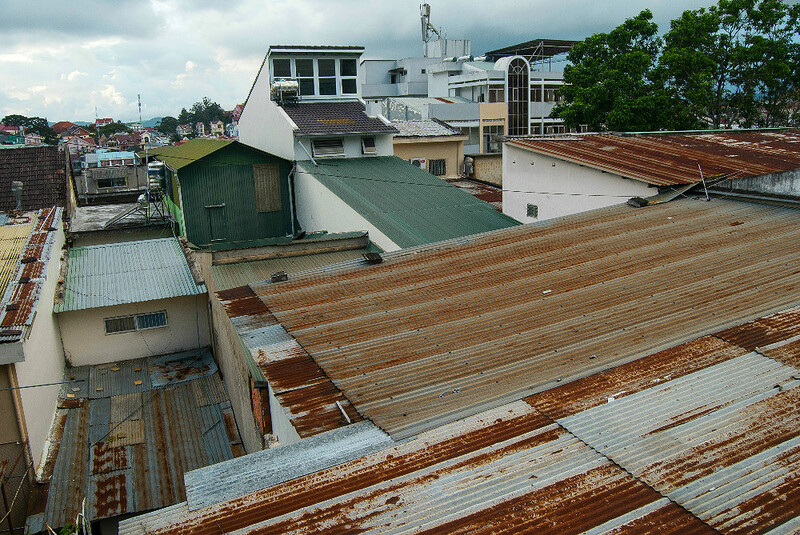 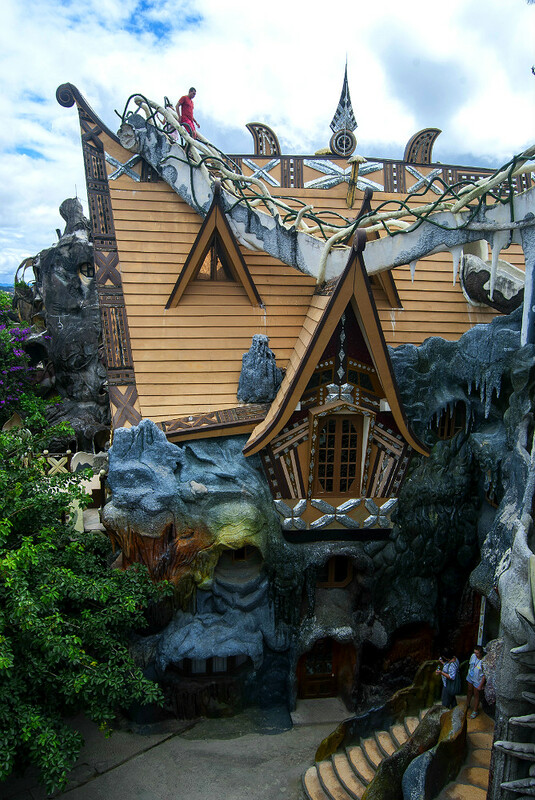 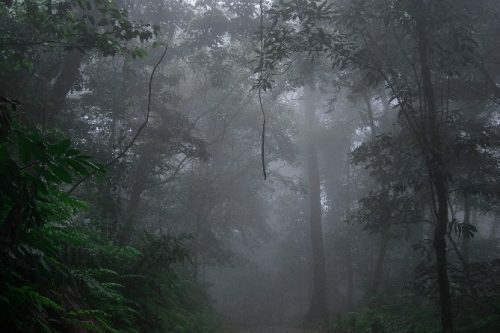 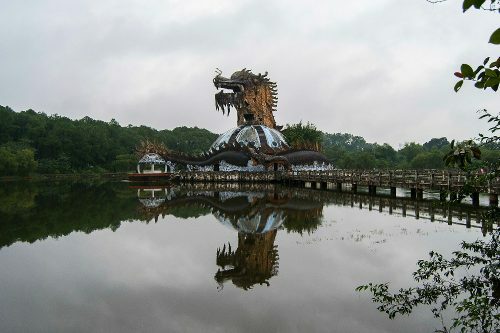 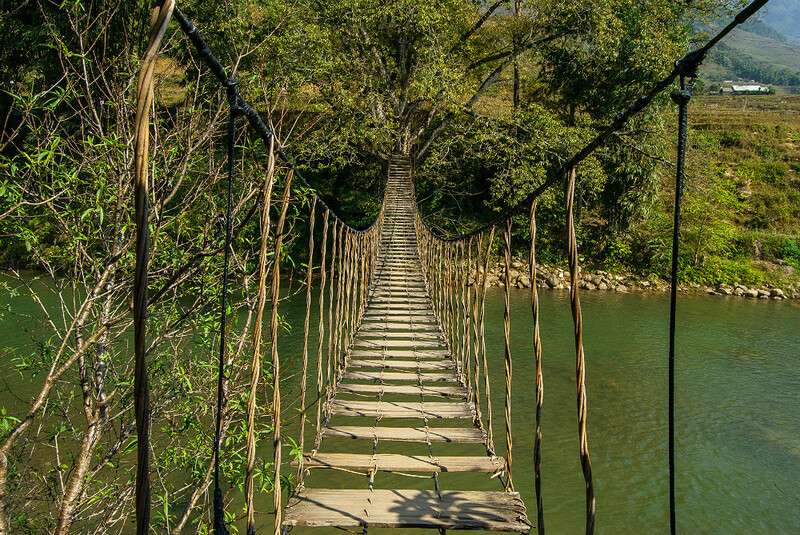 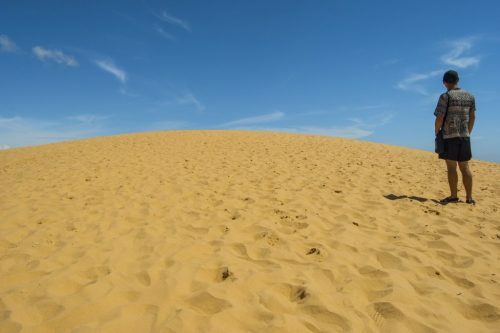 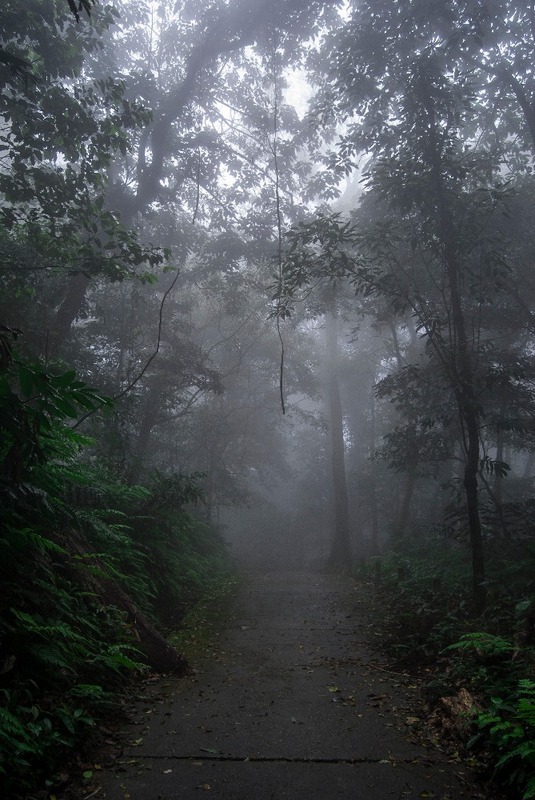 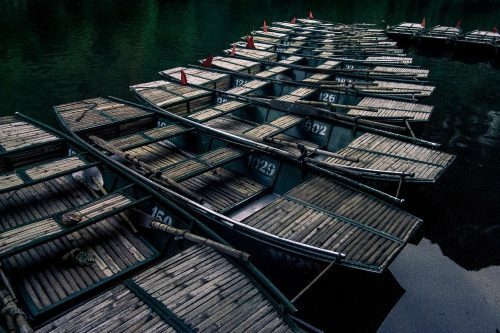 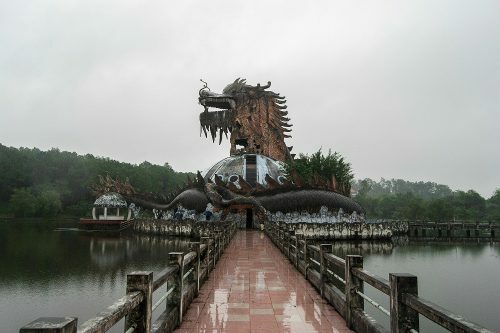 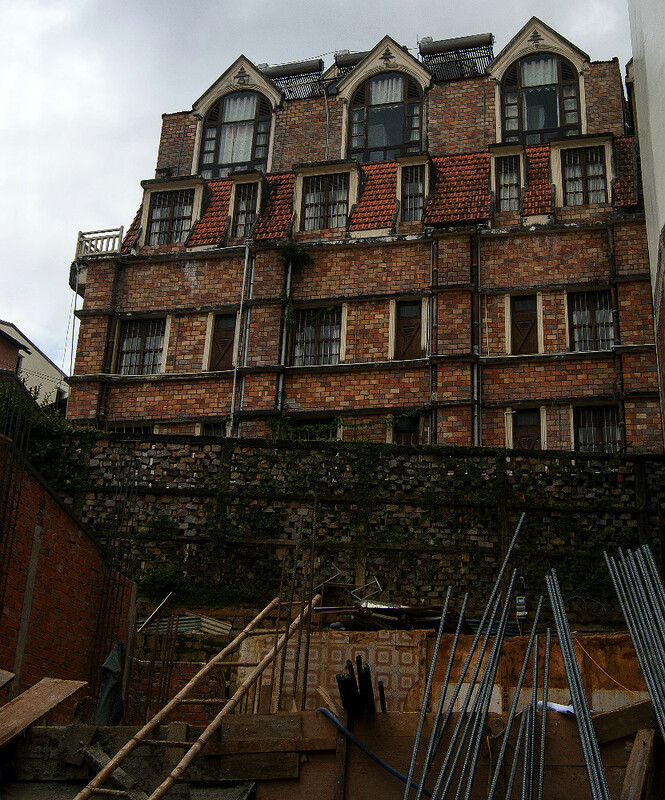 Dalat is the adventure capital of Vietnam. 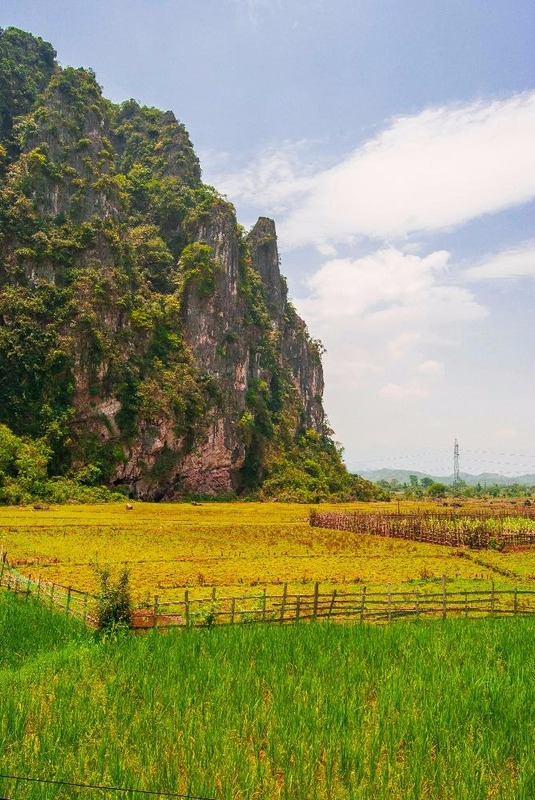 Located in the highlands north of Ho Chi Minh City, the area is packed with perfect locations for canyoning, abseiling and ziplining. We booked through CanyoningDalat.com and had a full package for $30 USD including transportation, lunch and quality pictures taken throughout the day. 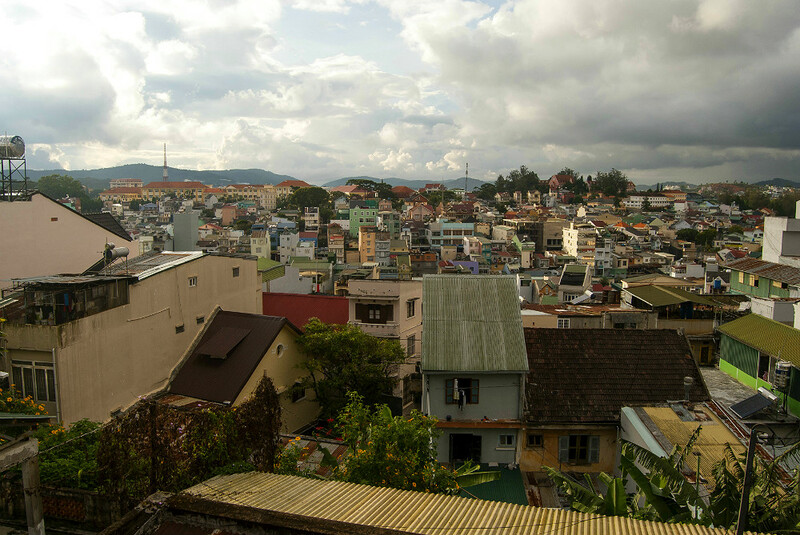 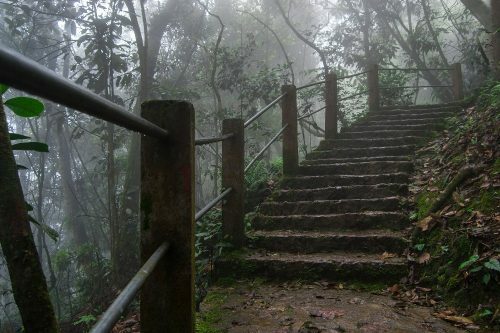 If you’re not a fan, there are plenty of other things you can do in Da Lat including hikes and tours to nearby villages. 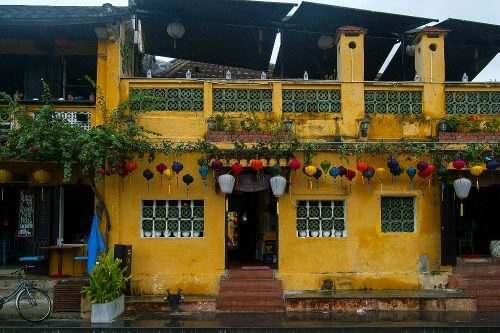 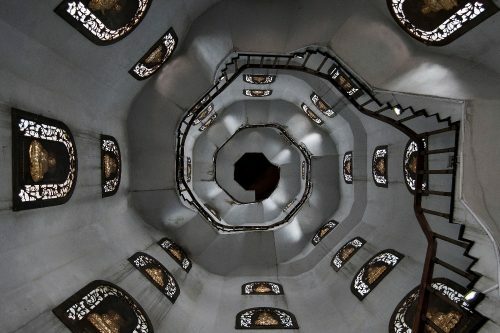 The city itself has a lot of charm and a few sights you just can’t miss out on like the Crazy House and, most importantly, the Hundred Roofs bar, which you just MUST visit (without looking it up online before!). 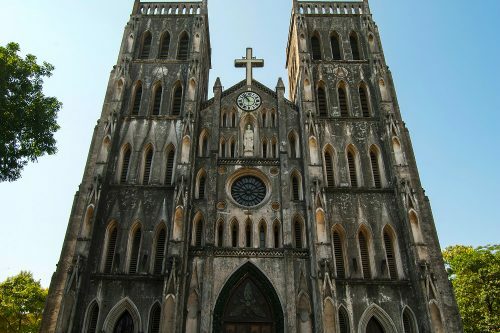 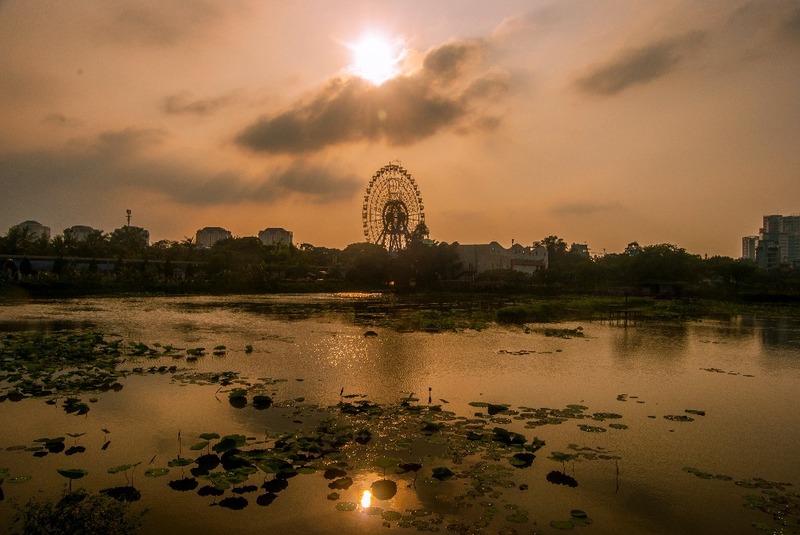 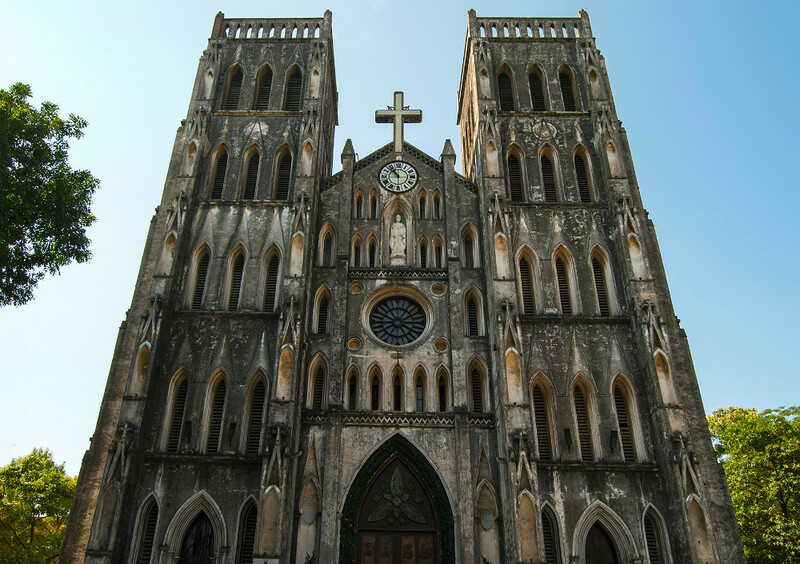 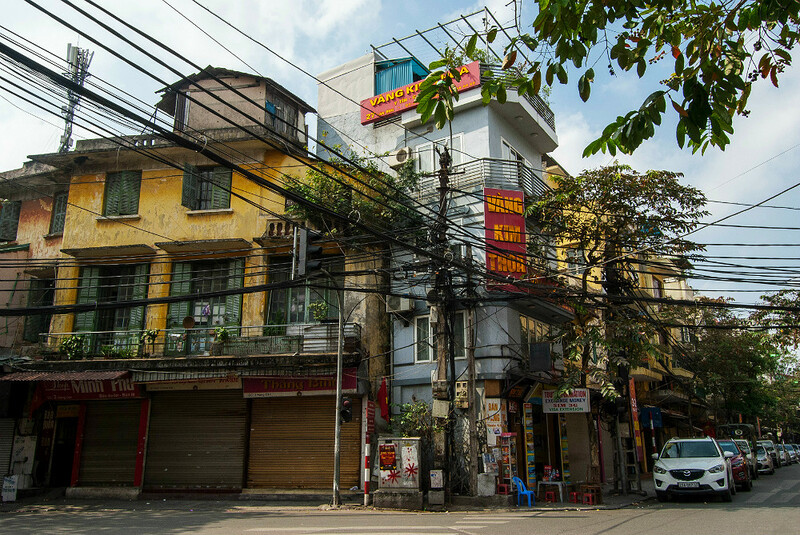 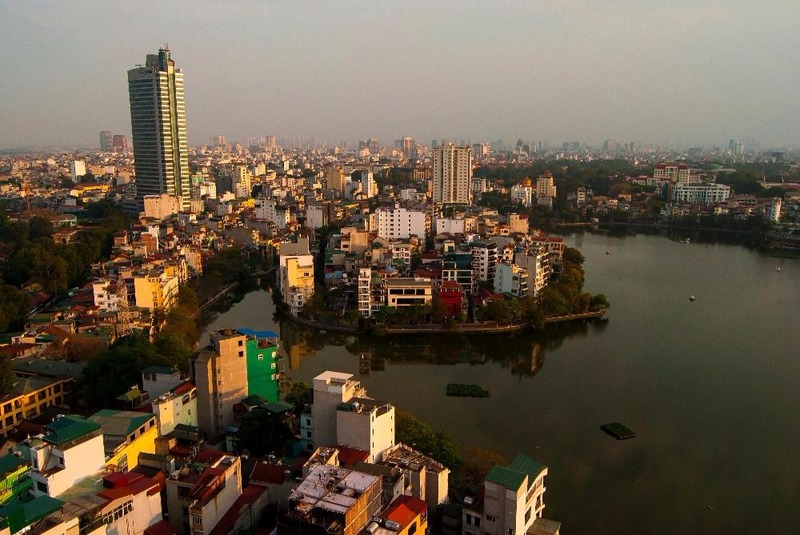 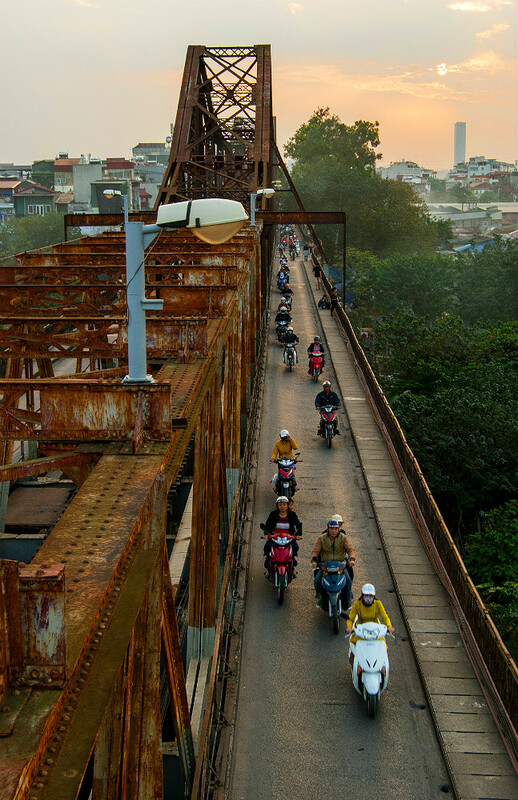 Ho Chi Minh is Vietnam’s busiest city located in the southern end of the country. 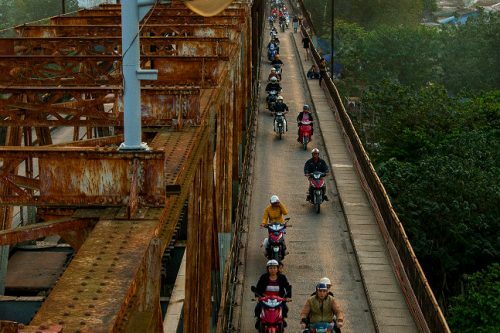 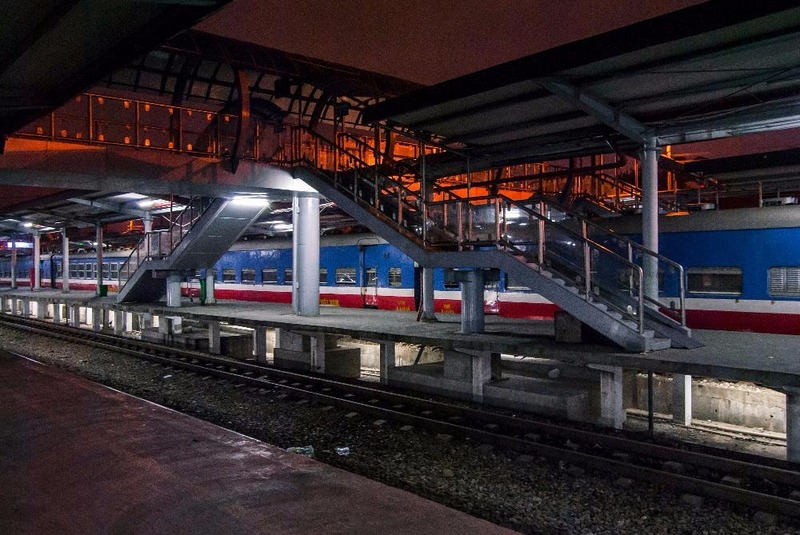 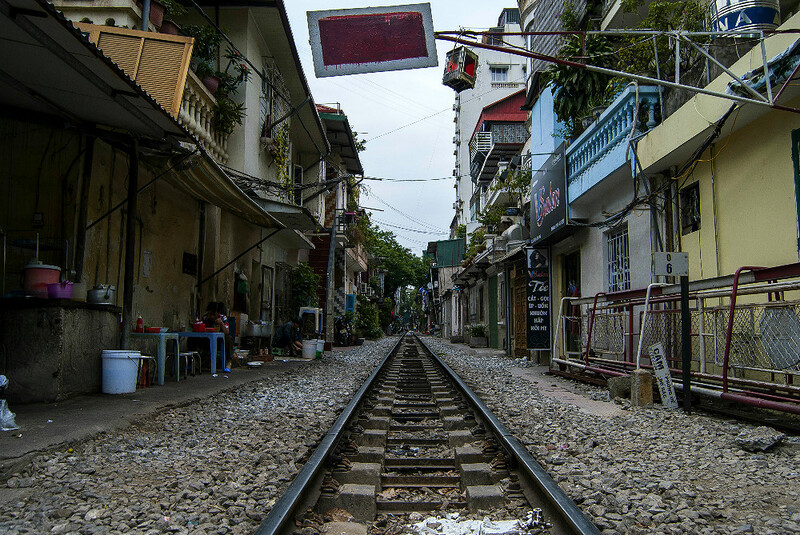 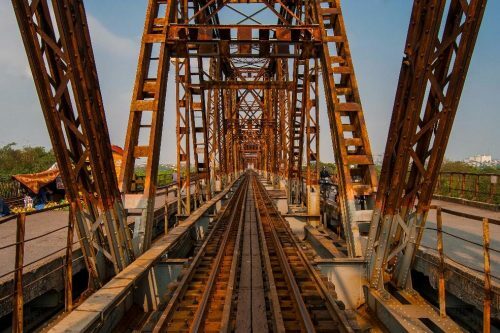 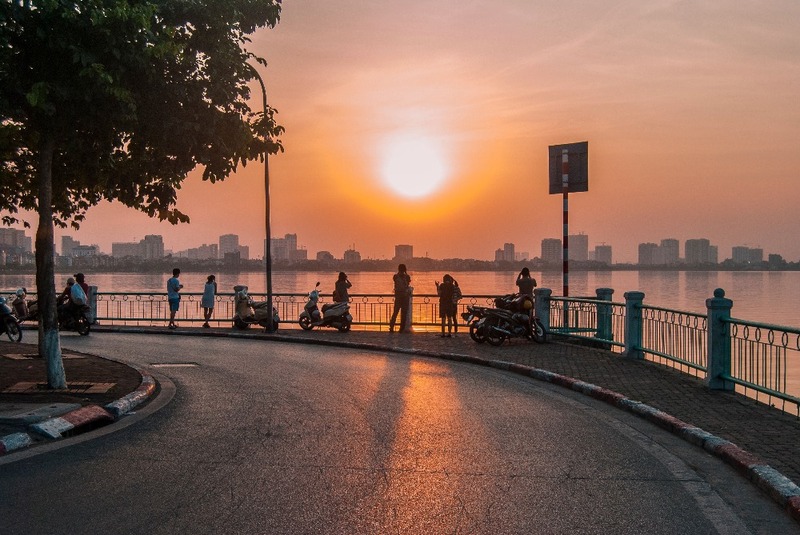 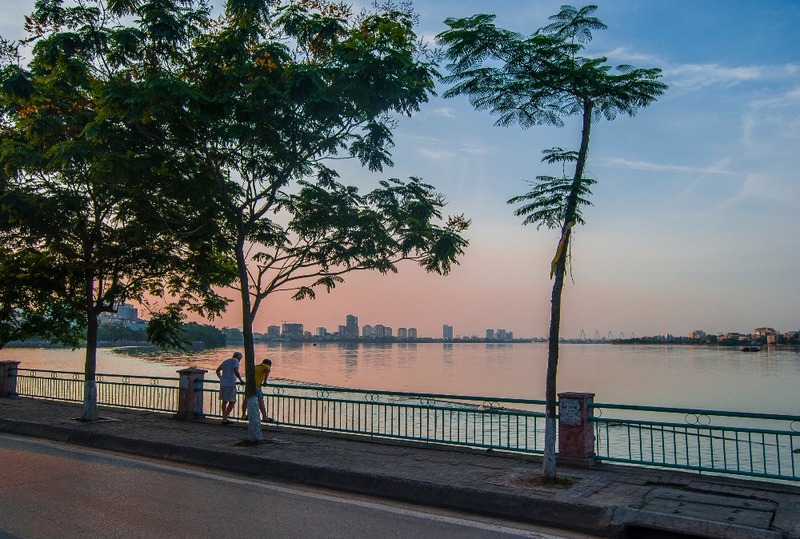 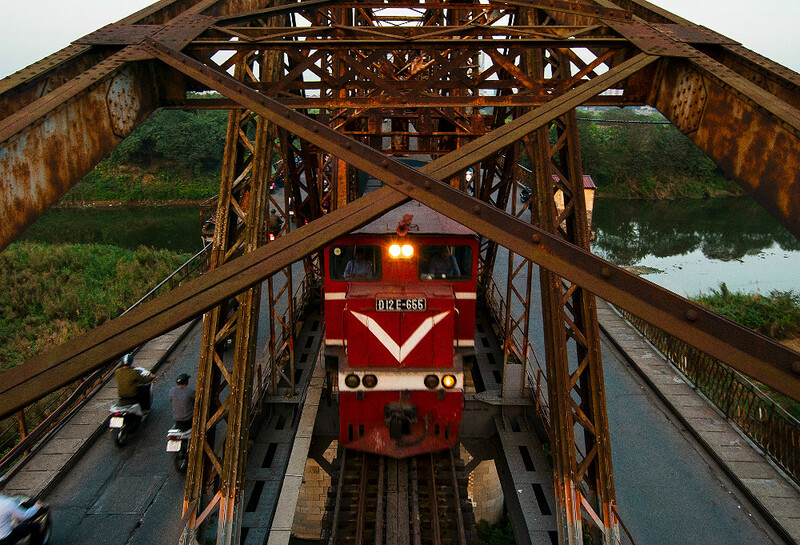 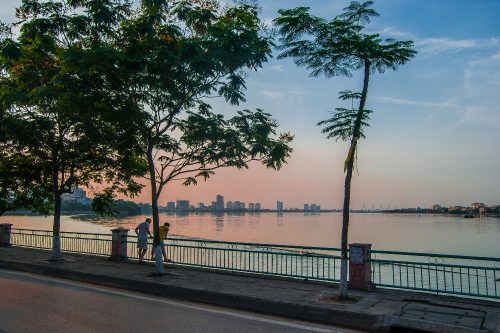 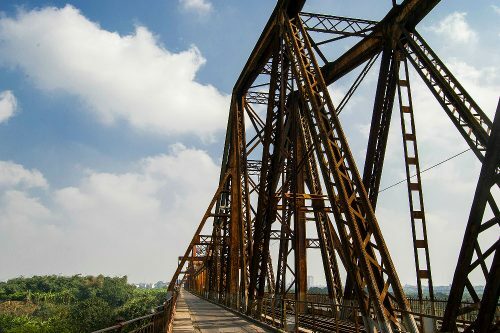 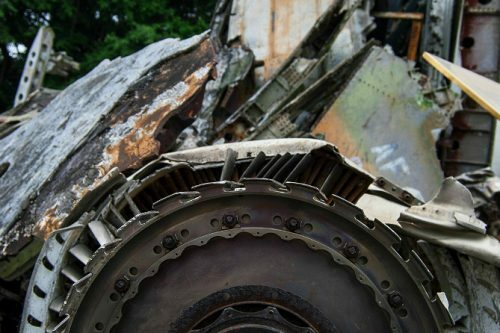 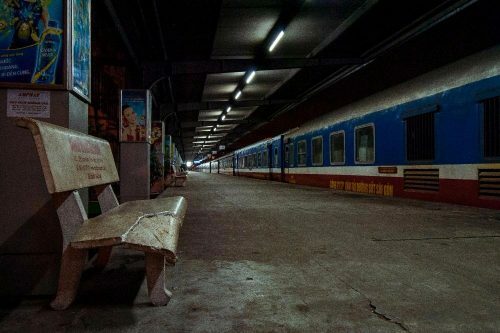 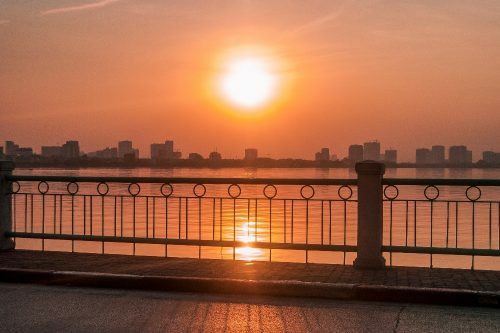 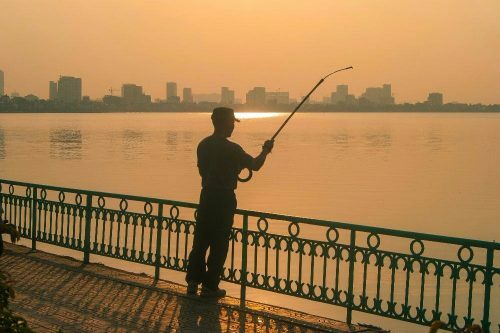 Most people who travel to Vietnam will transit via Ho Chi Minh at some point and wonder if it is worth to stick around for a while. 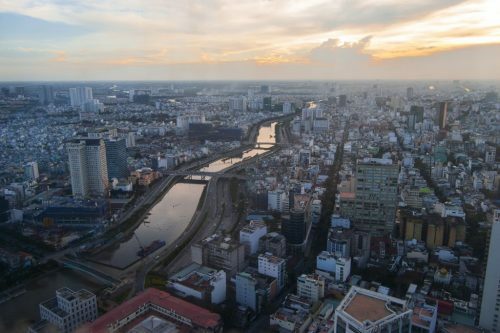 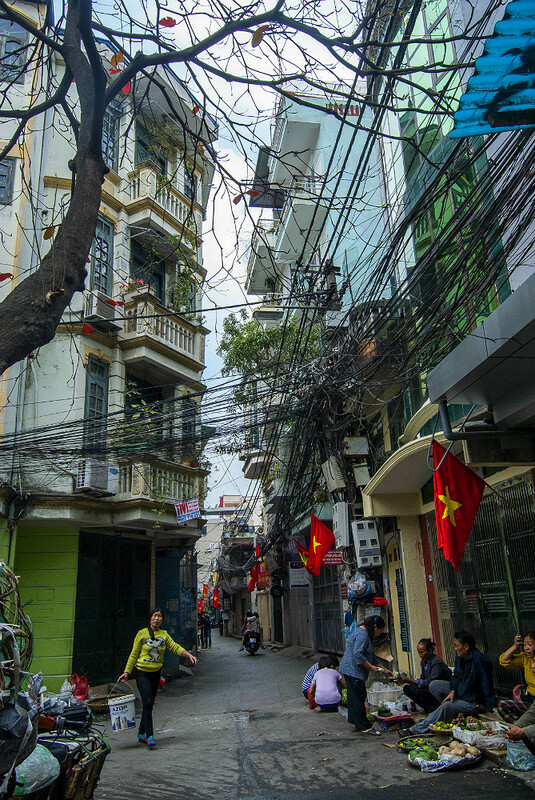 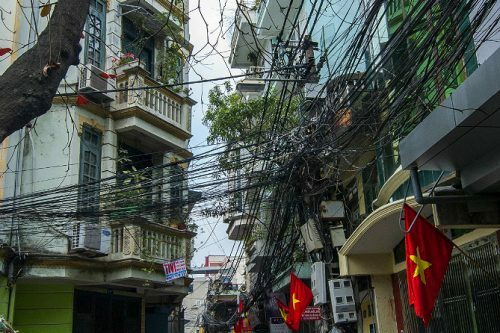 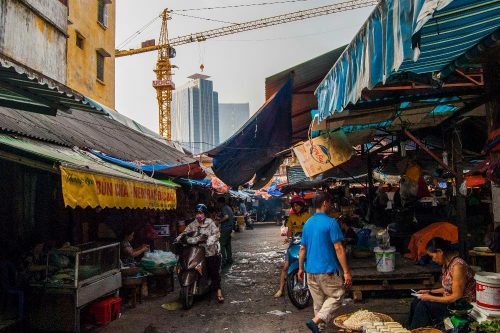 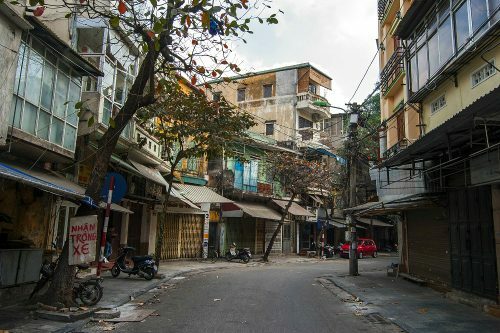 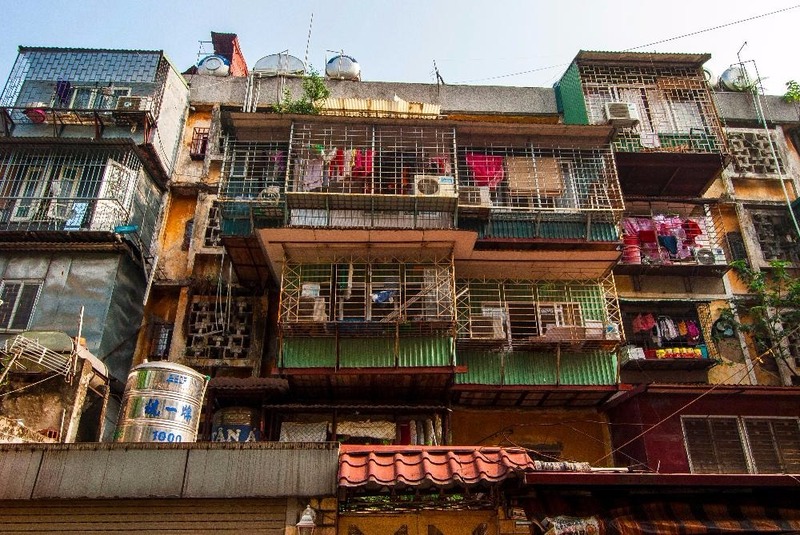 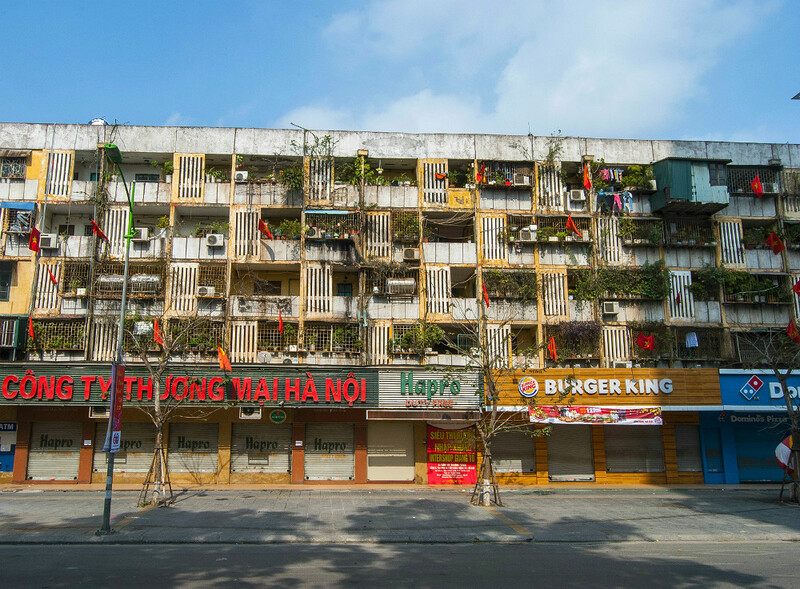 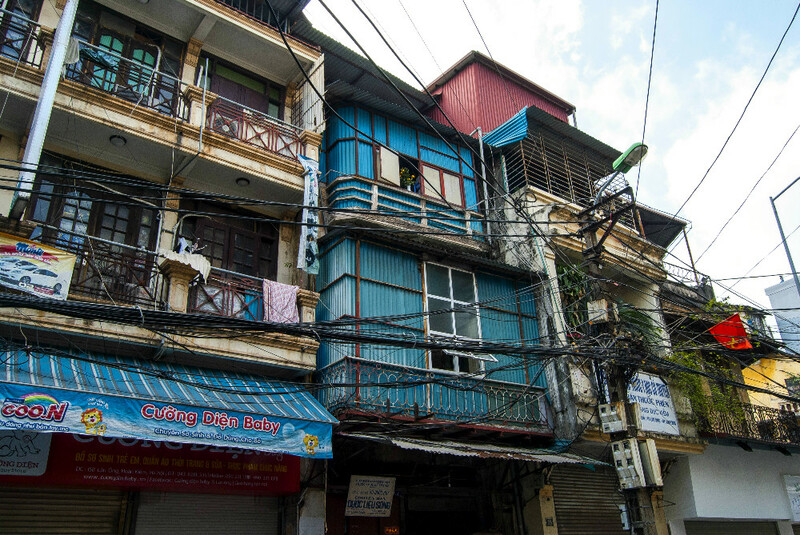 In my opinion, Ho Chi Minh is just another big city without anything making it much different from all the other big cities. 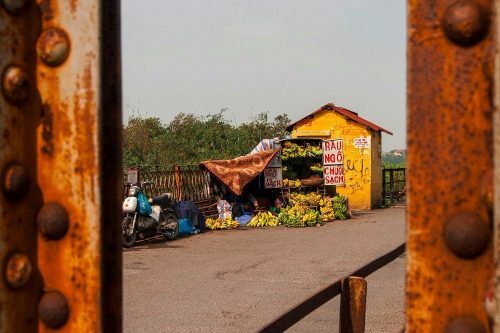 However, if you are traveling for a while and are looking for some convenience, then you might find it refreshing to have access to your favourite western products. 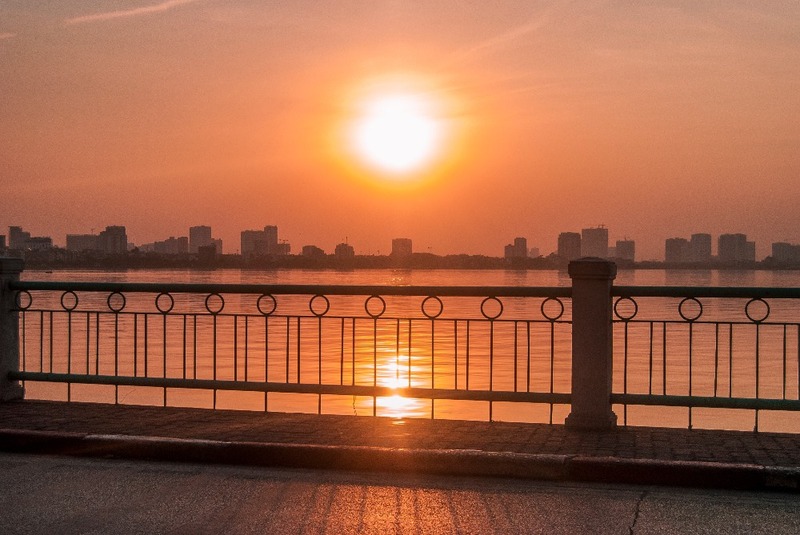 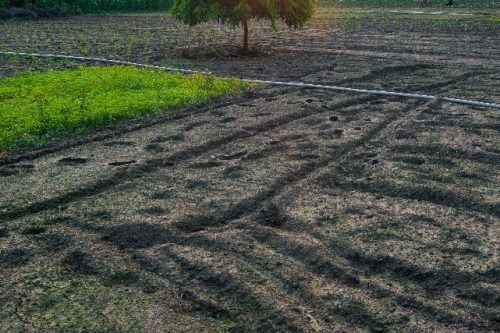 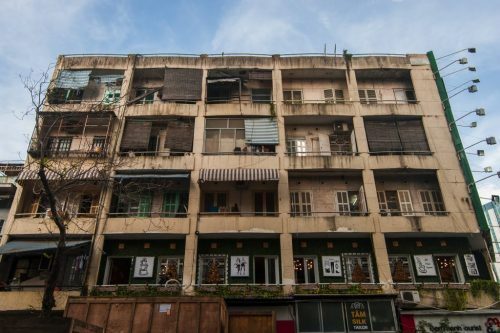 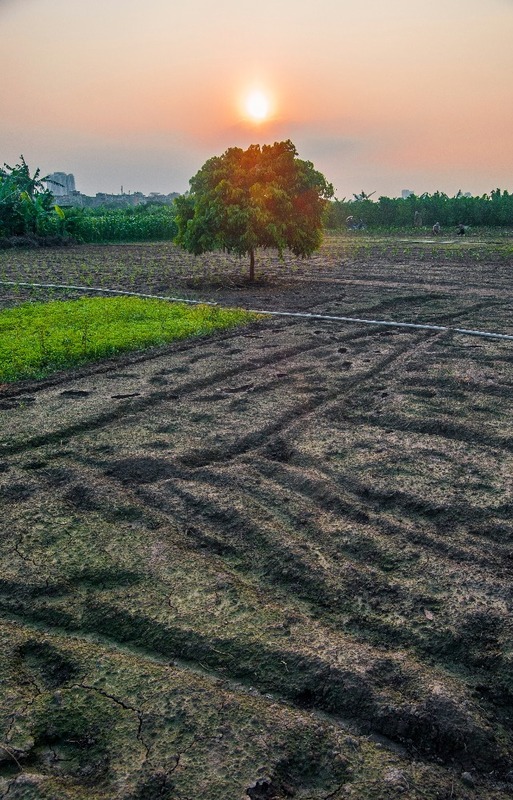 Just like most large cities in South East Asia, be prepared for the year long (extremely) hot climate.